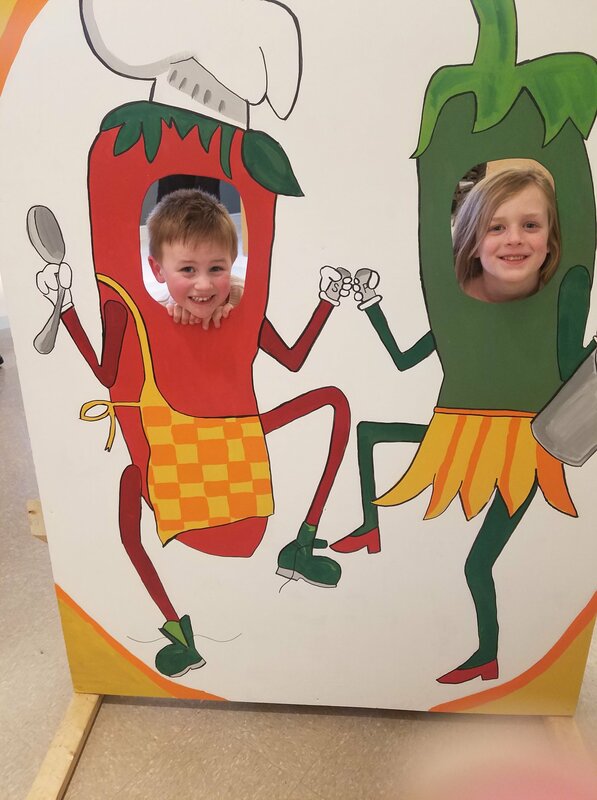 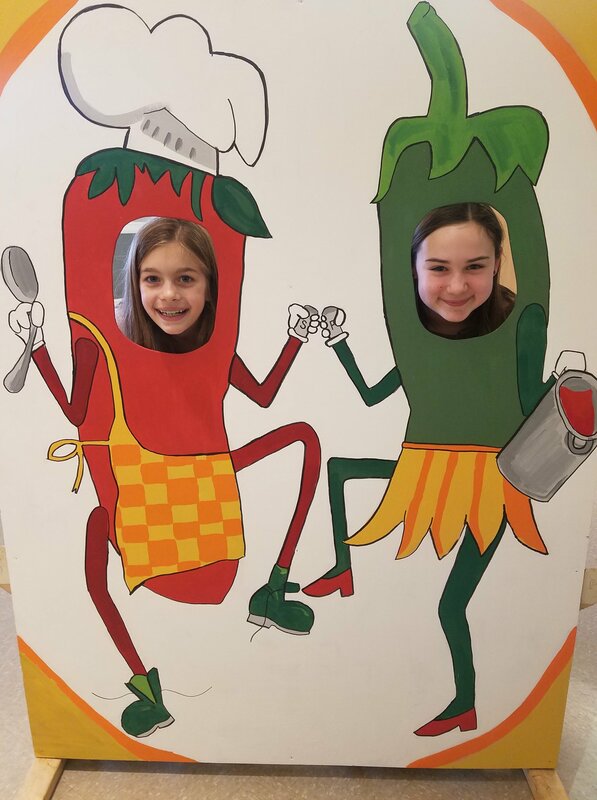 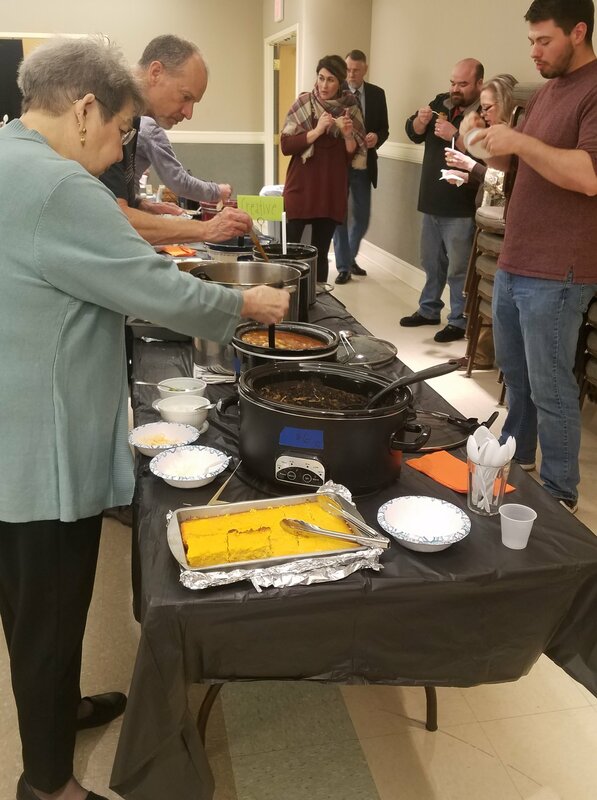 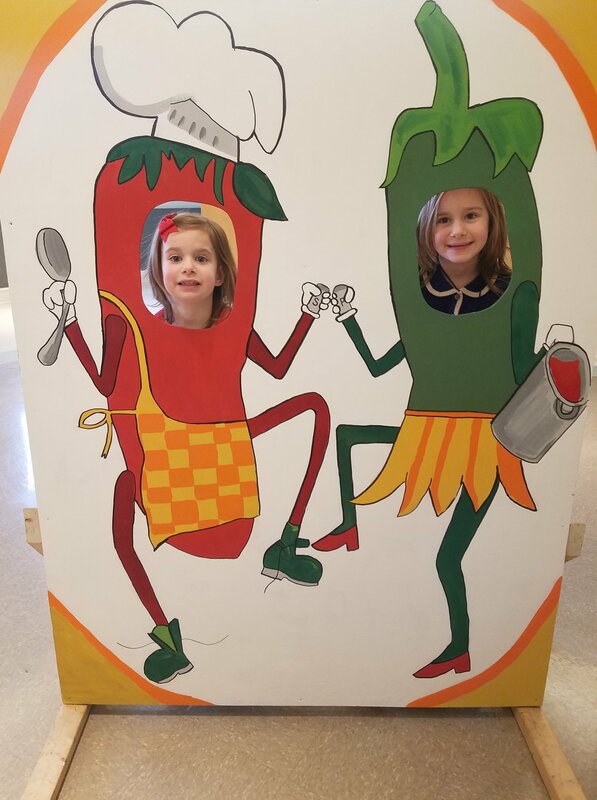 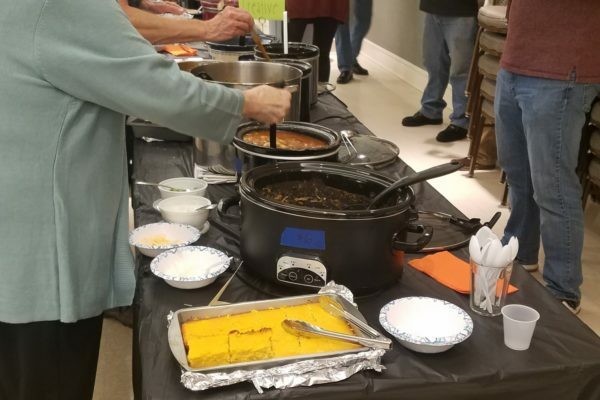 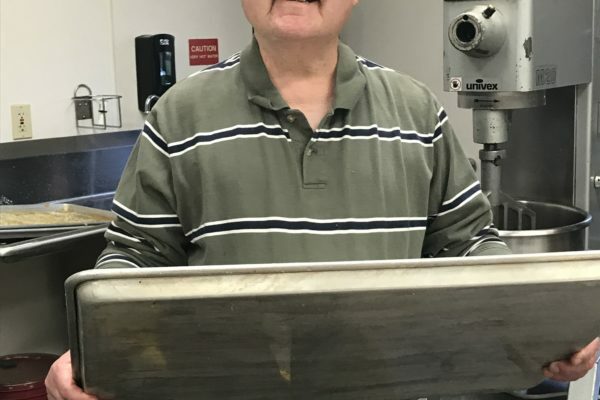 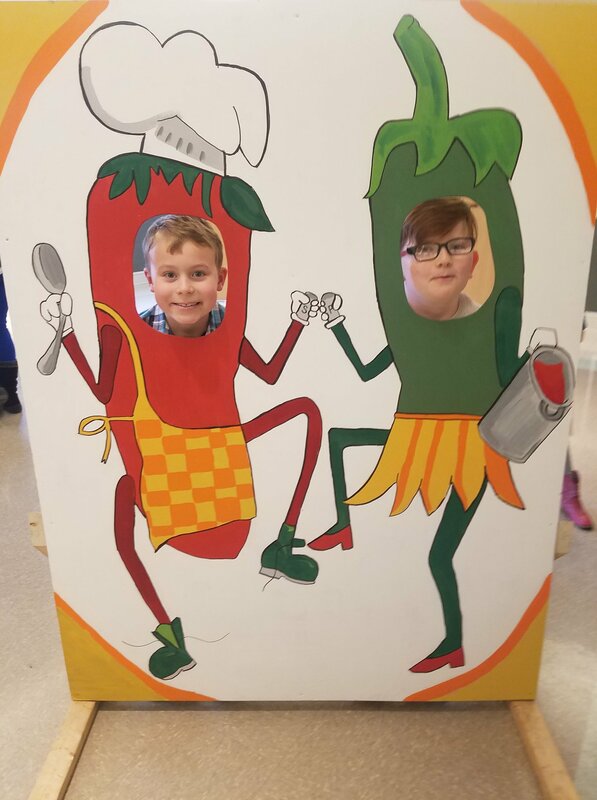 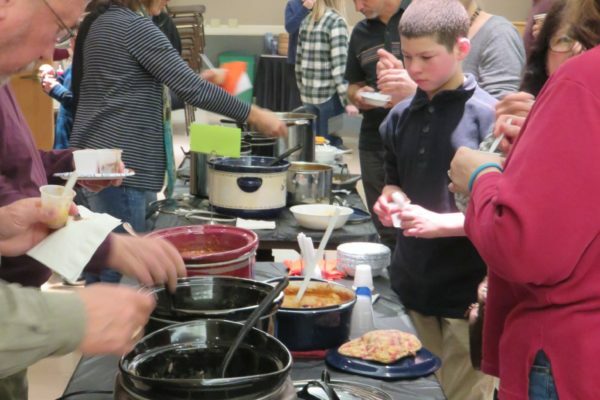 Our annual Chili Cook Off features a wide variety of traditional and creative chilies with our chili chefs vying to have their chilies voted best in class and to be awarded the much coveted Chili Trophy! 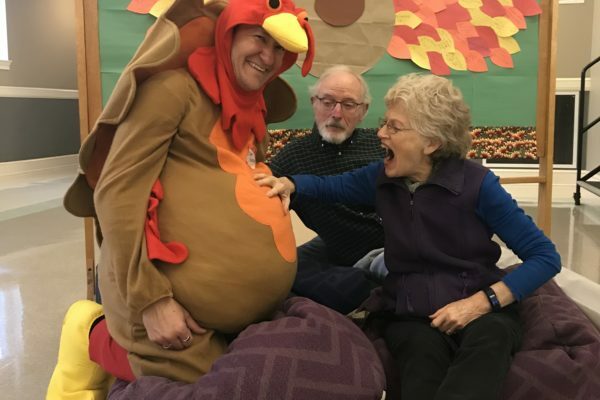 It is a wonderful family experience each year. 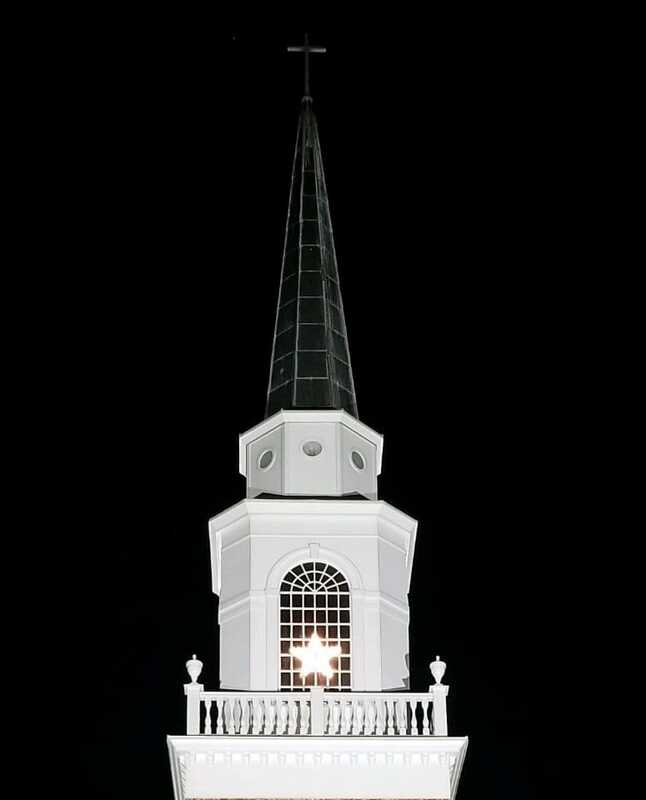 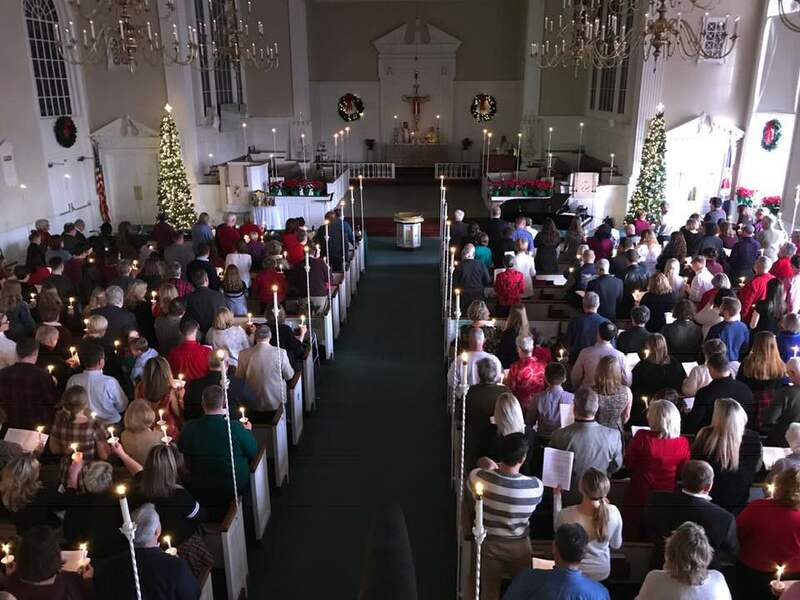 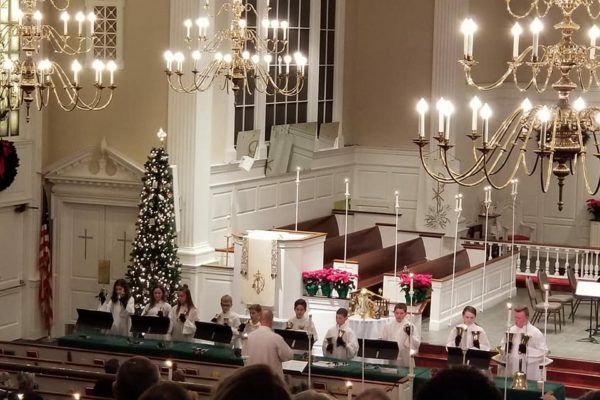 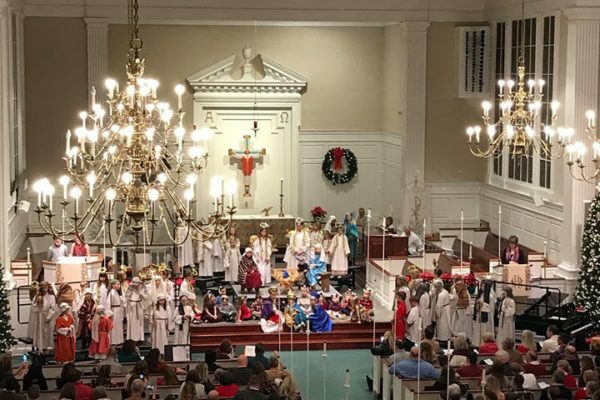 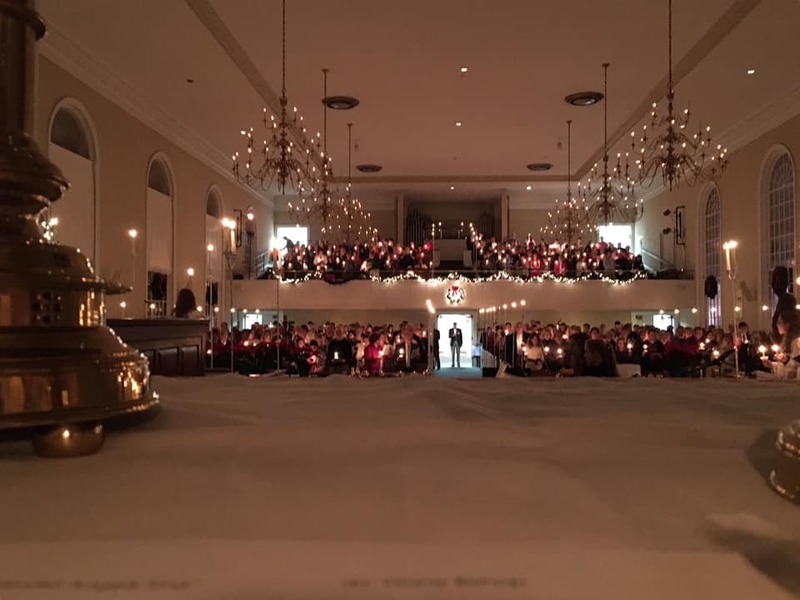 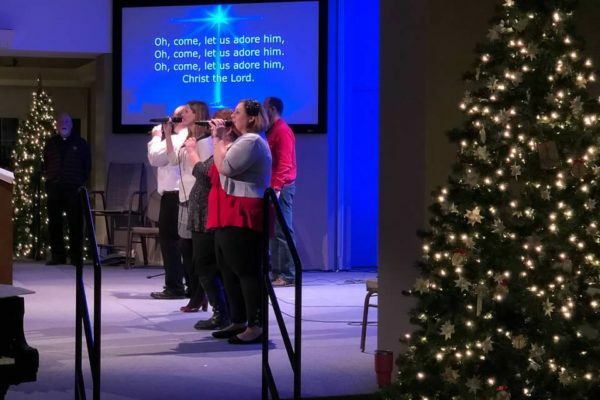 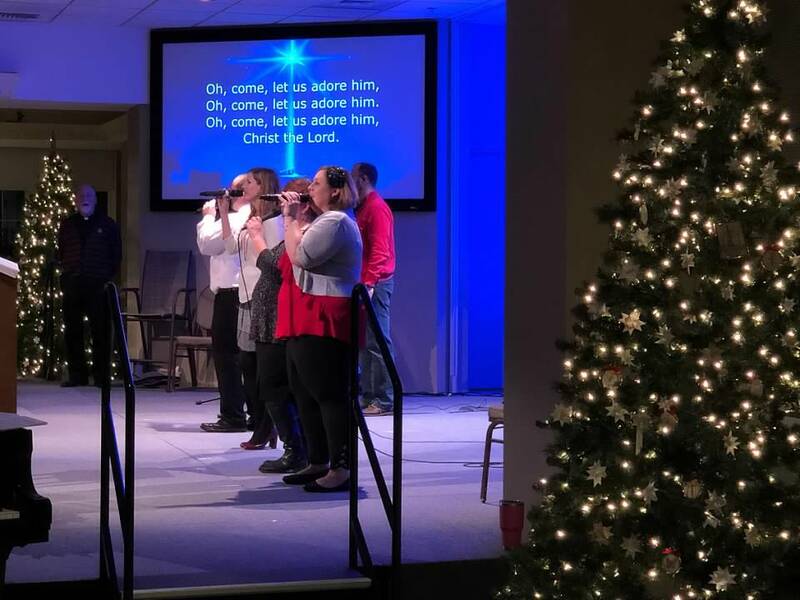 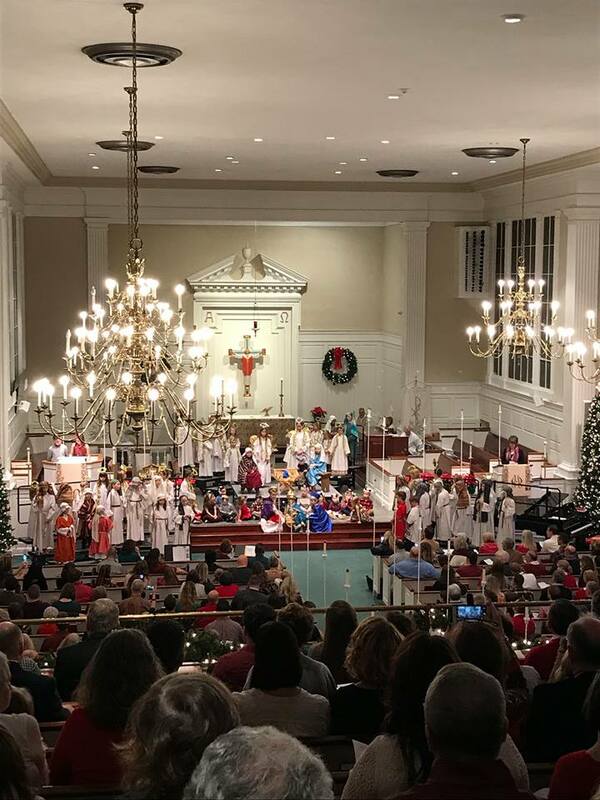 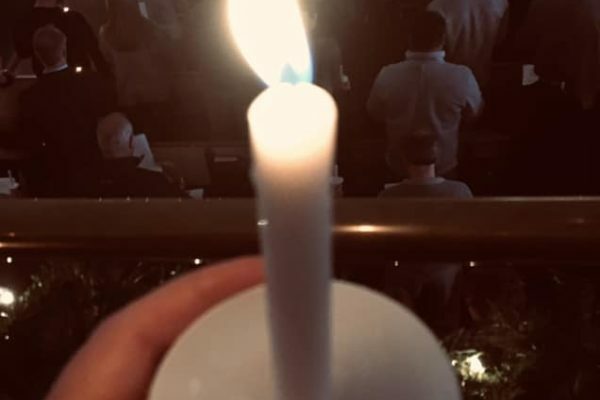 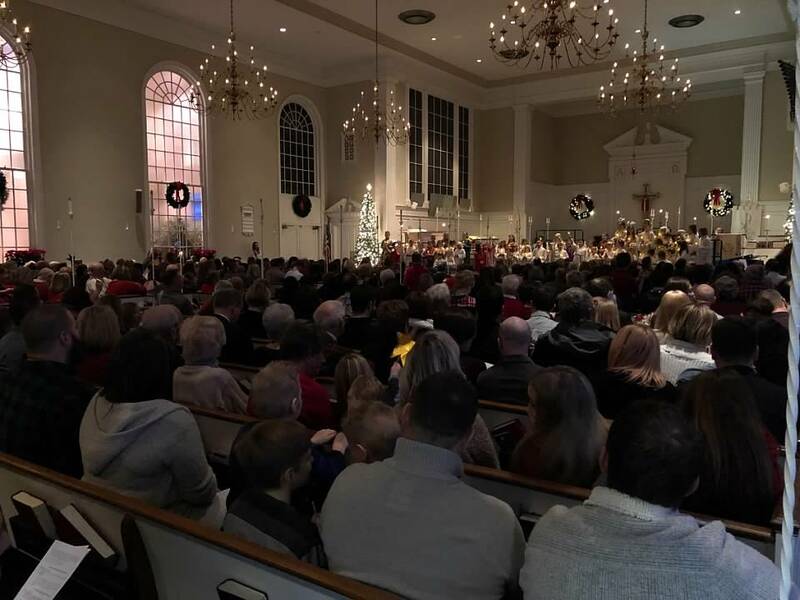 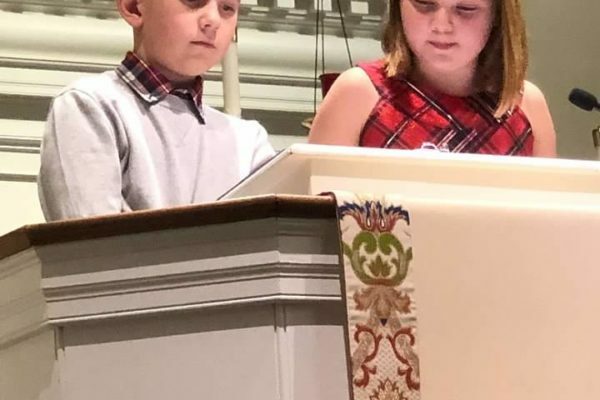 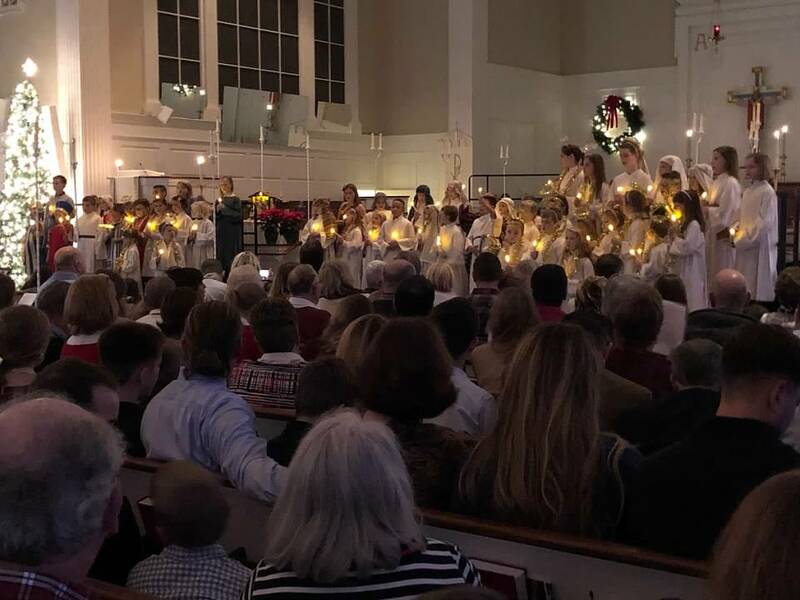 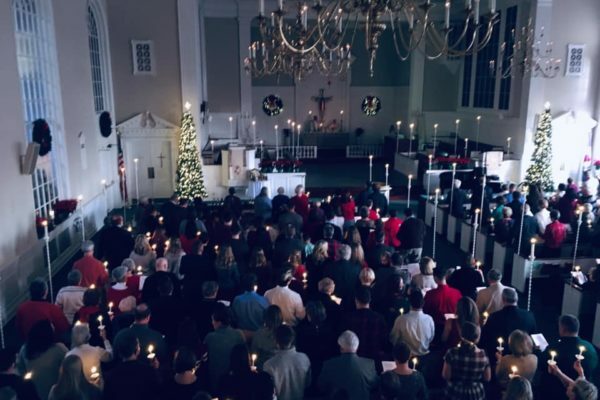 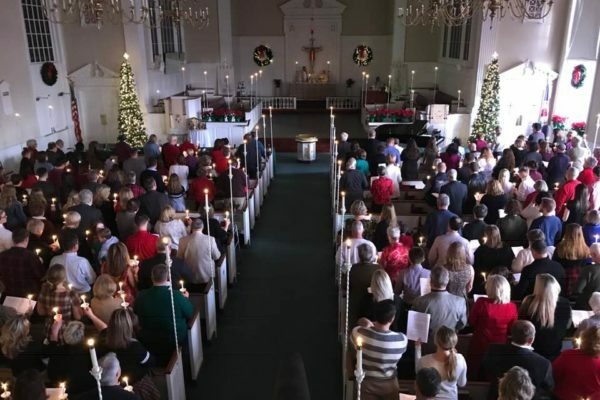 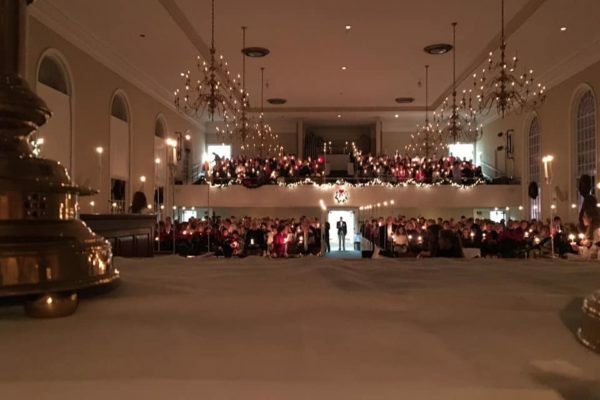 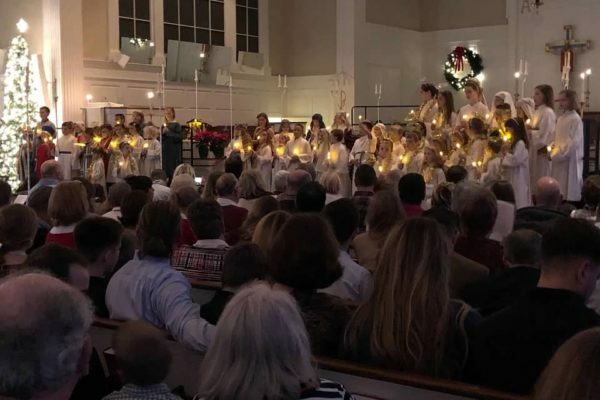 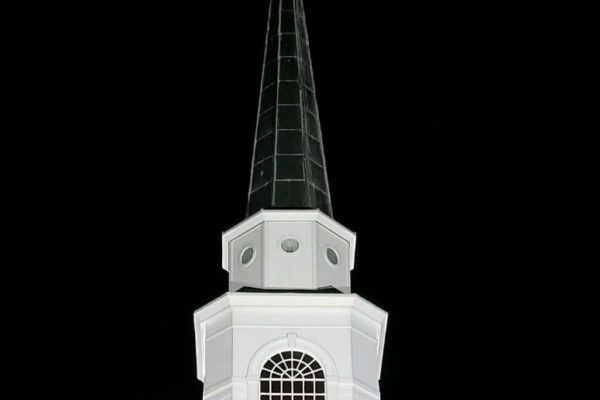 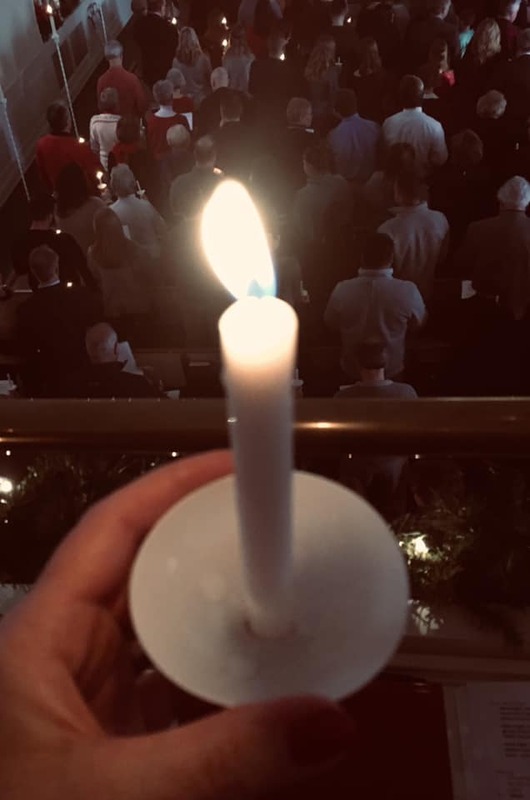 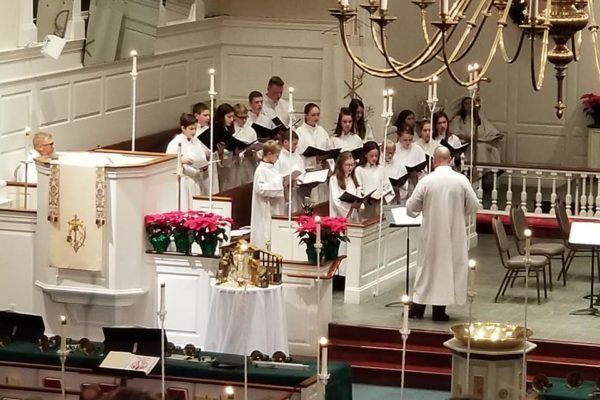 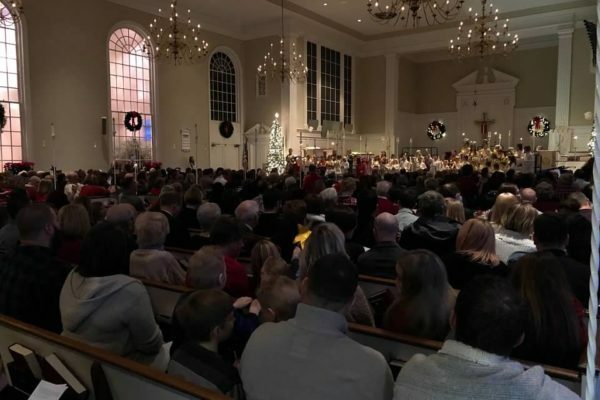 The following are images, in no particular order, from our various Christmas Eve services – 2:00 pm Traditional Service; 4:00 pm For Kids By Kids service; 7:00 pm Contemporary Service; 8:30 pm Traditional Service; 11:00 pm Lessons and Carols Service. 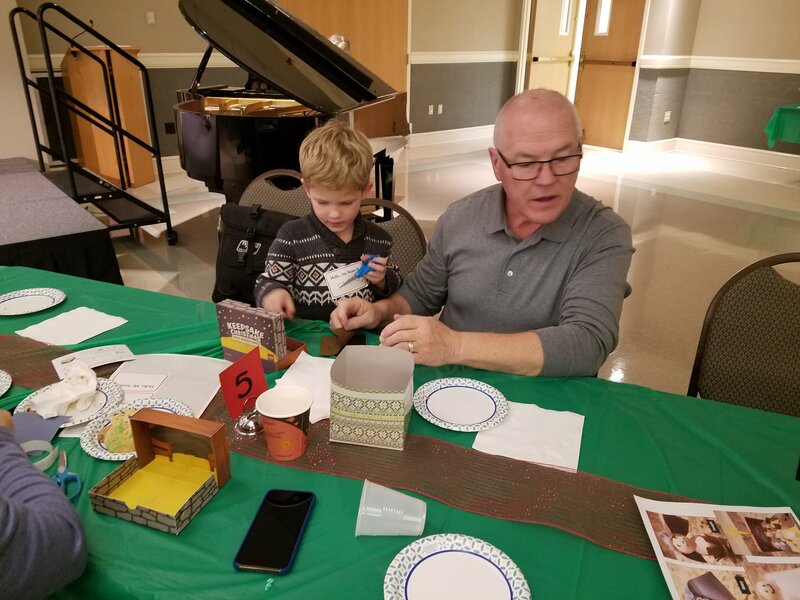 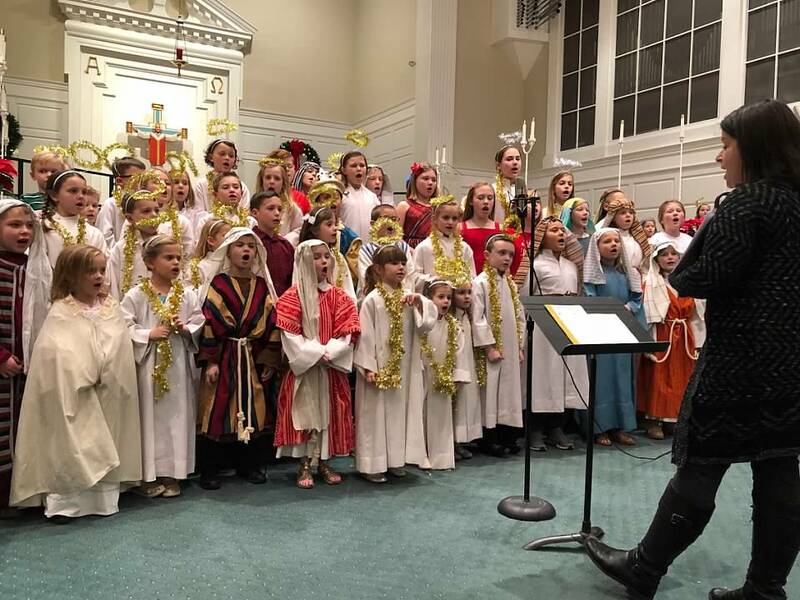 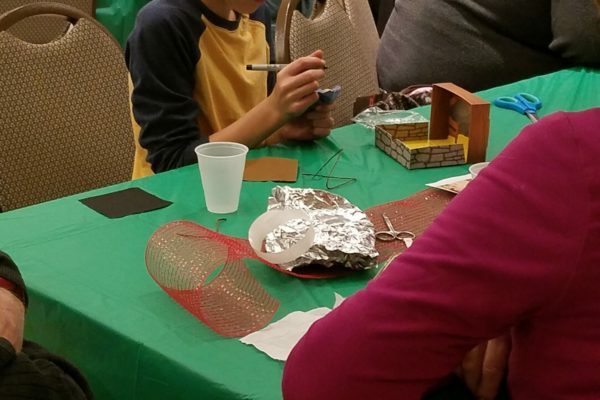 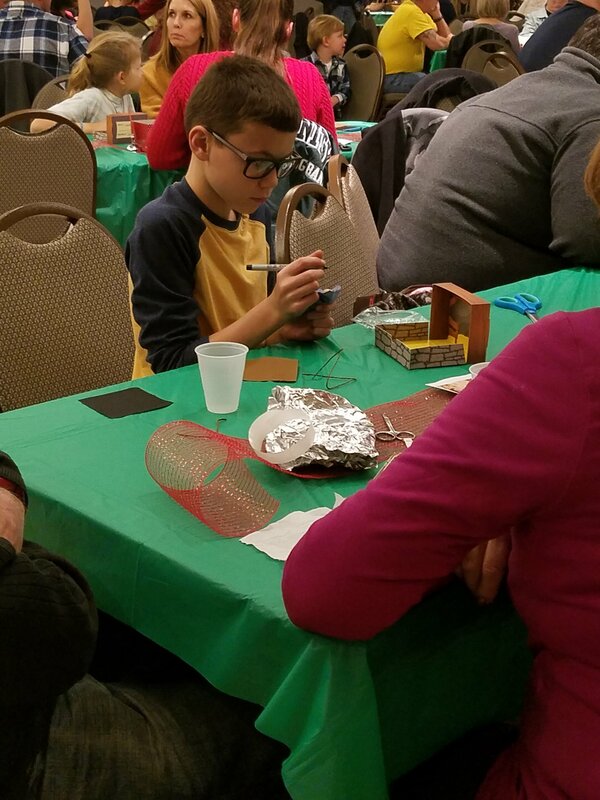 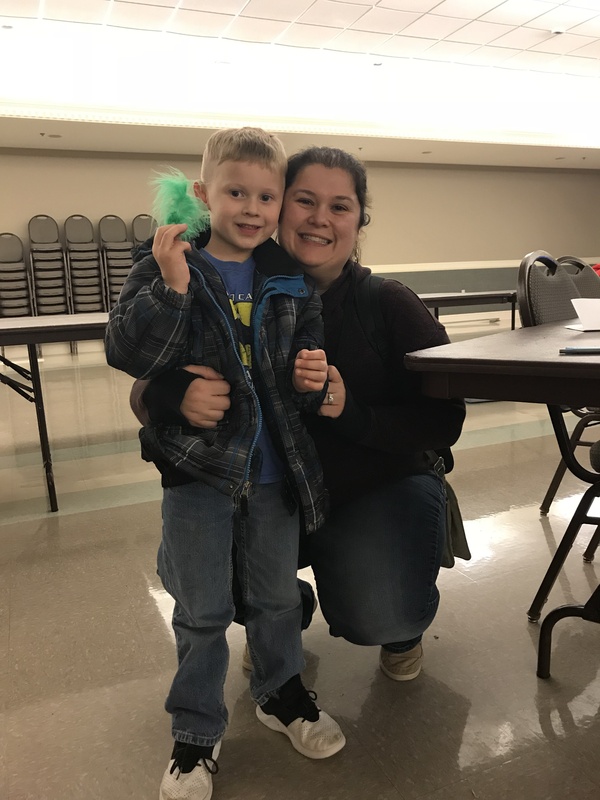 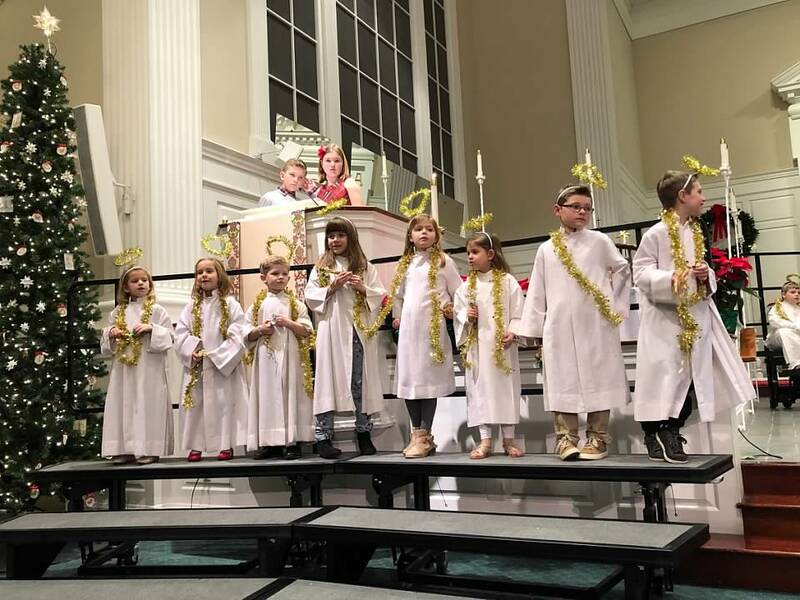 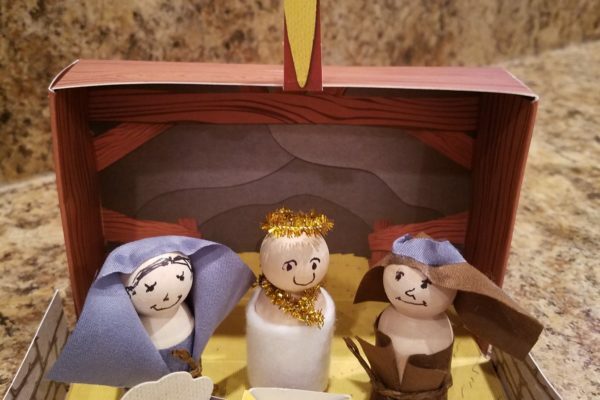 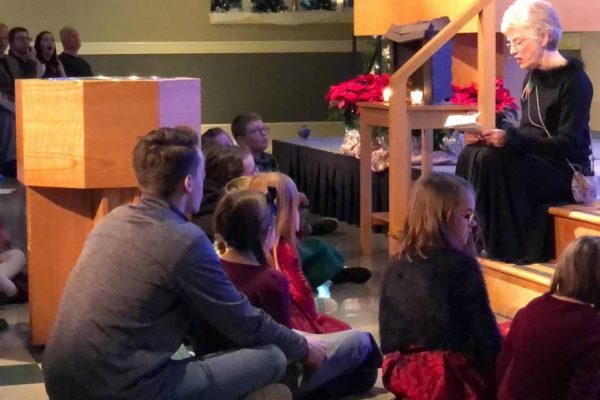 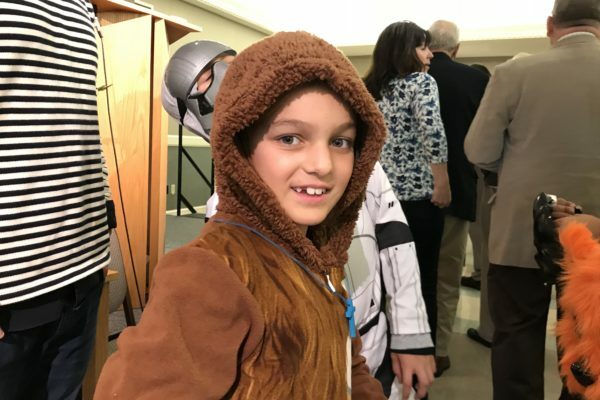 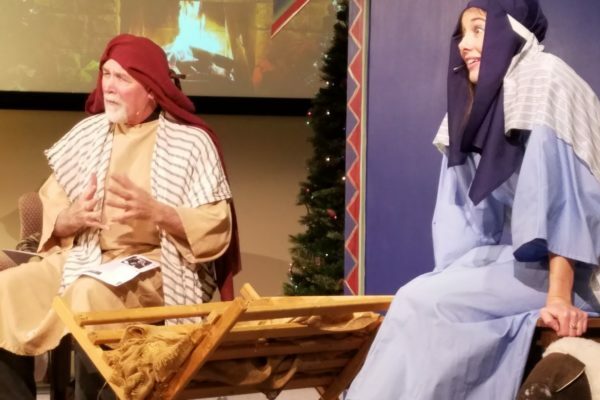 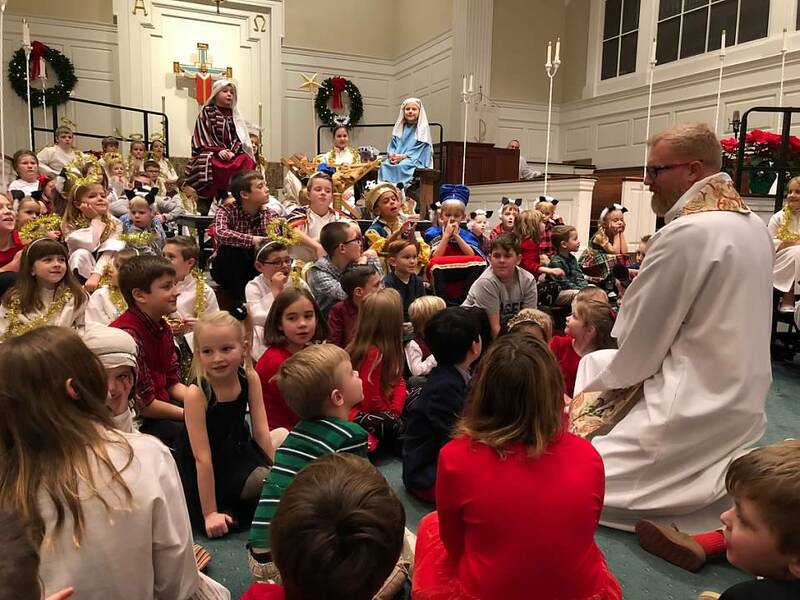 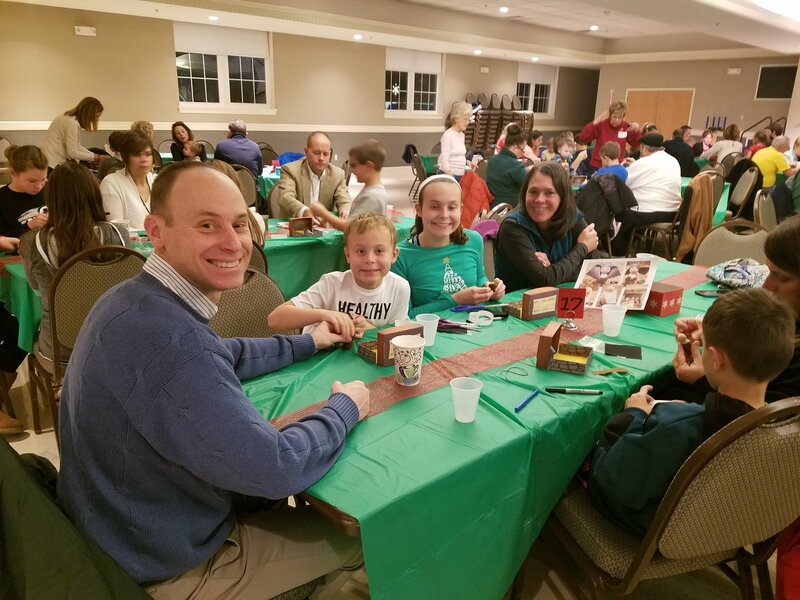 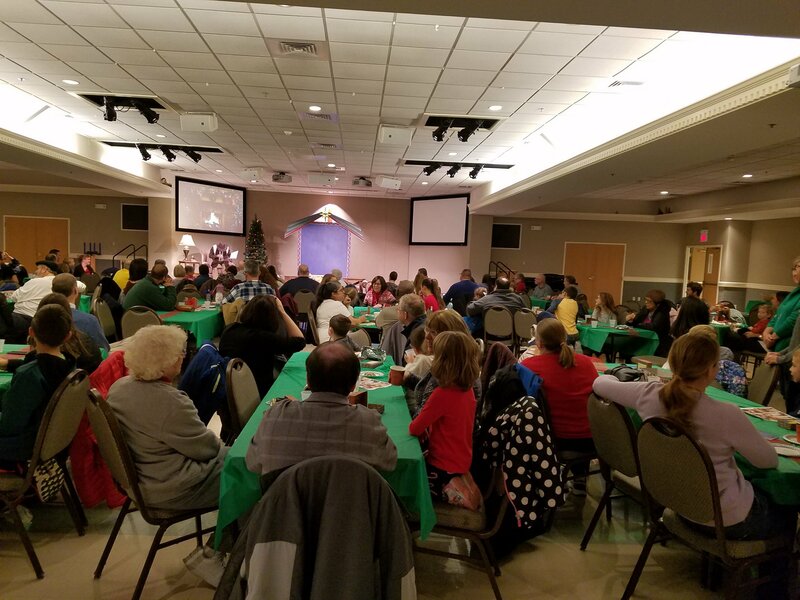 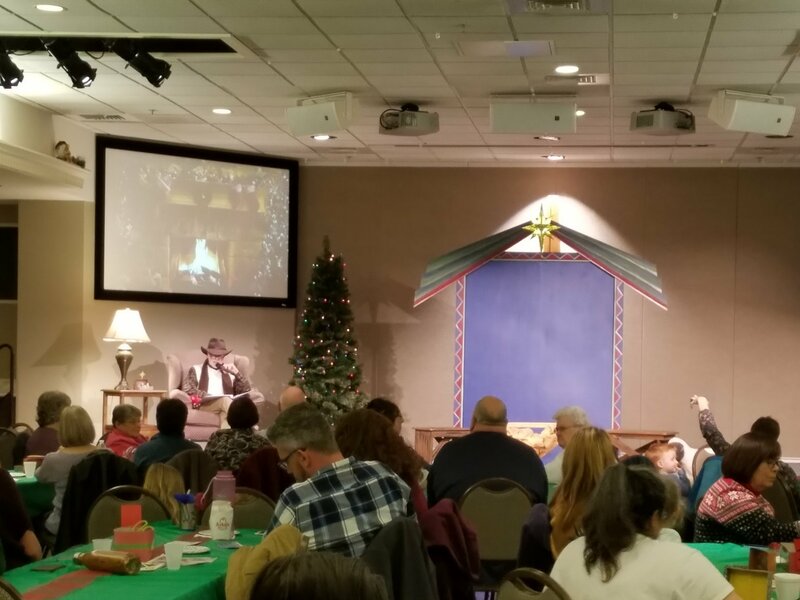 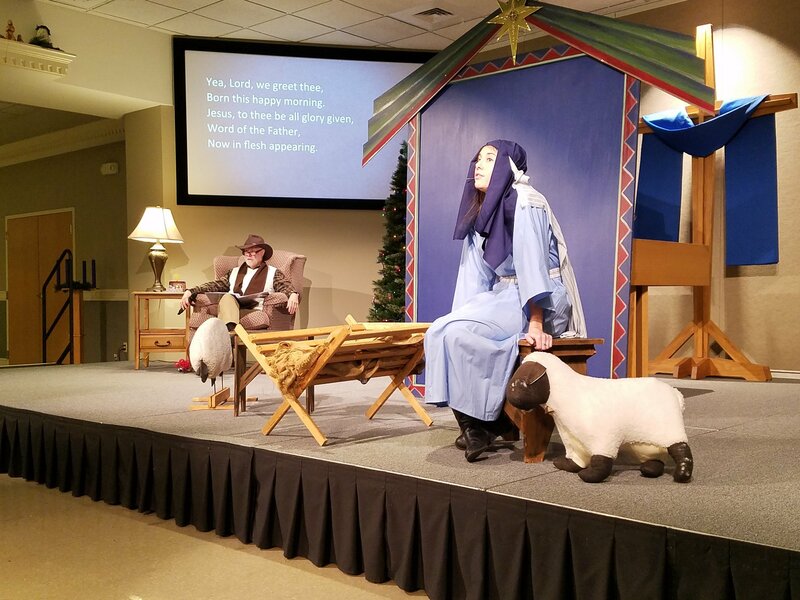 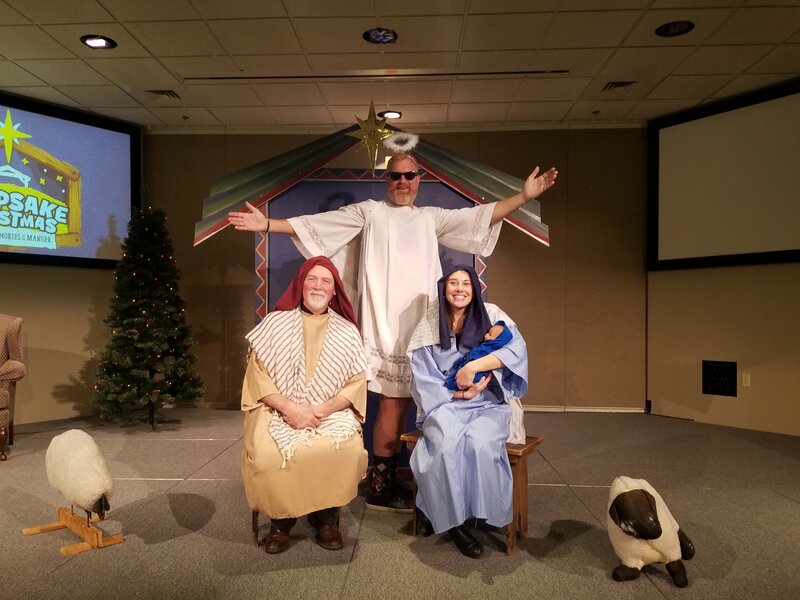 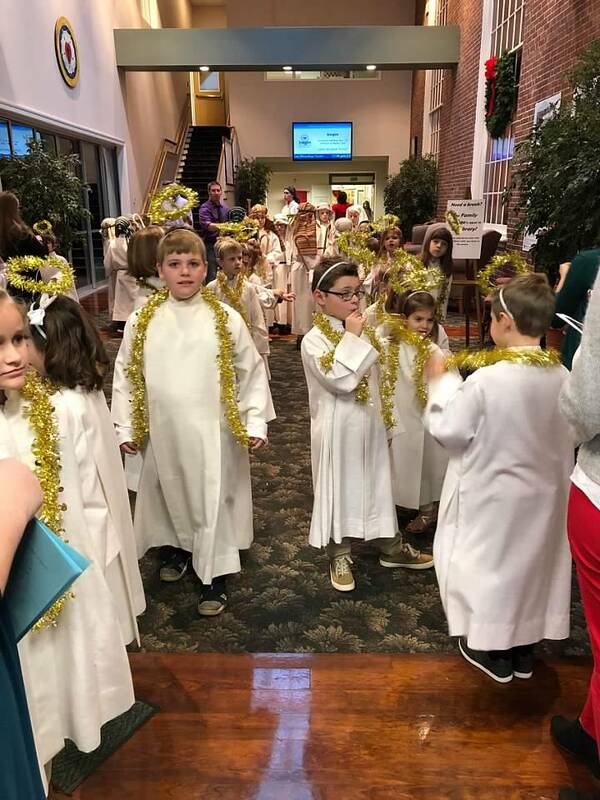 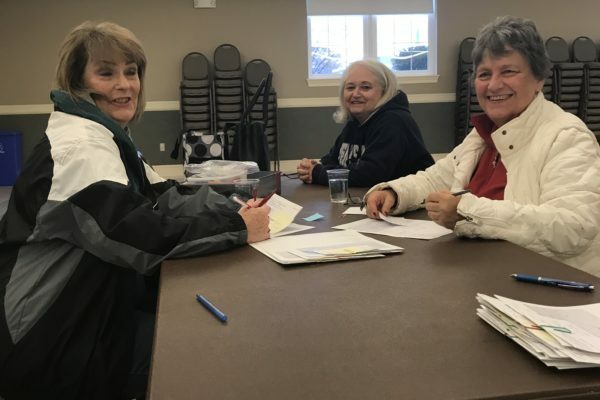 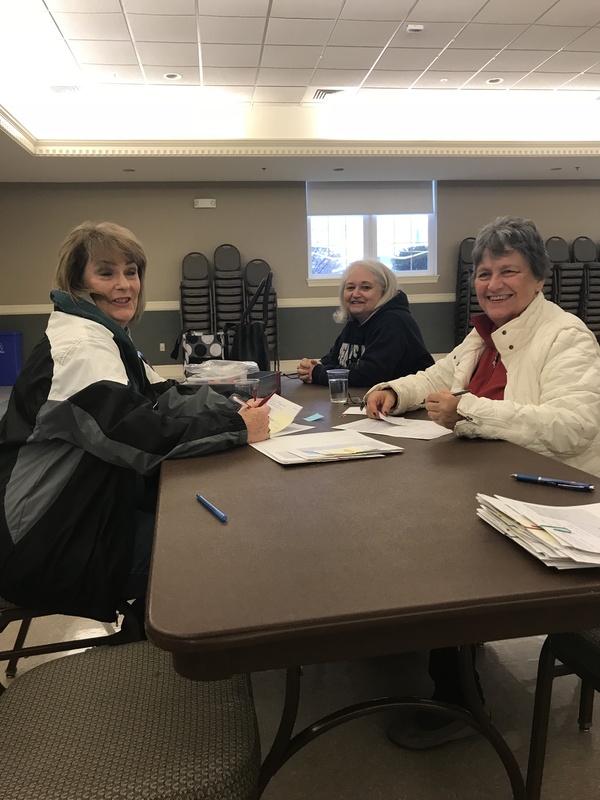 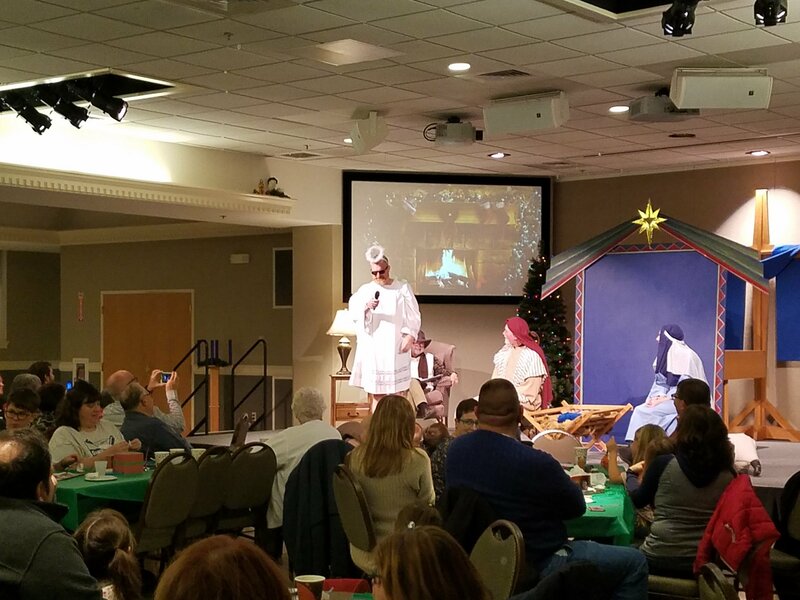 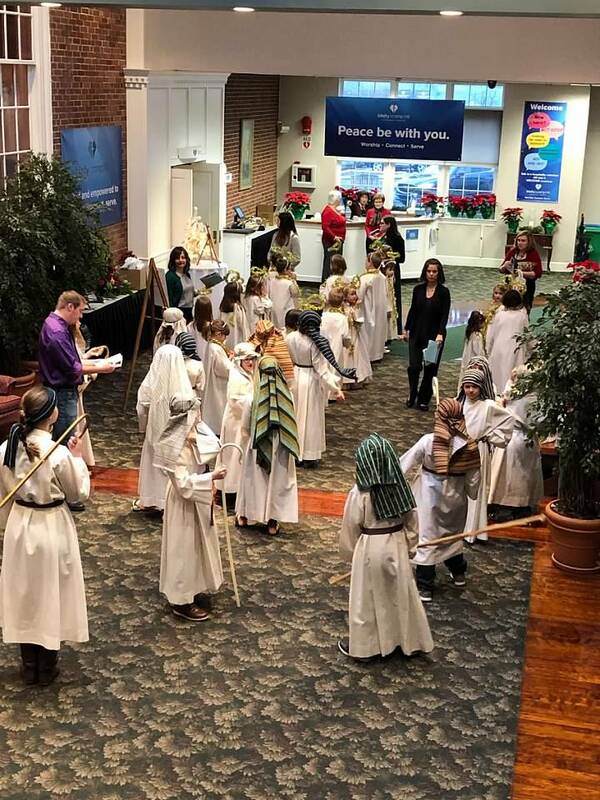 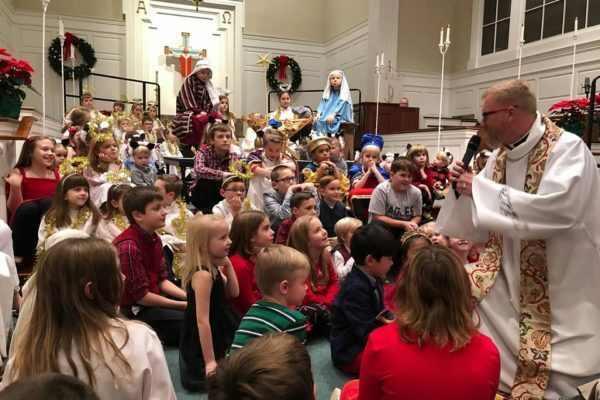 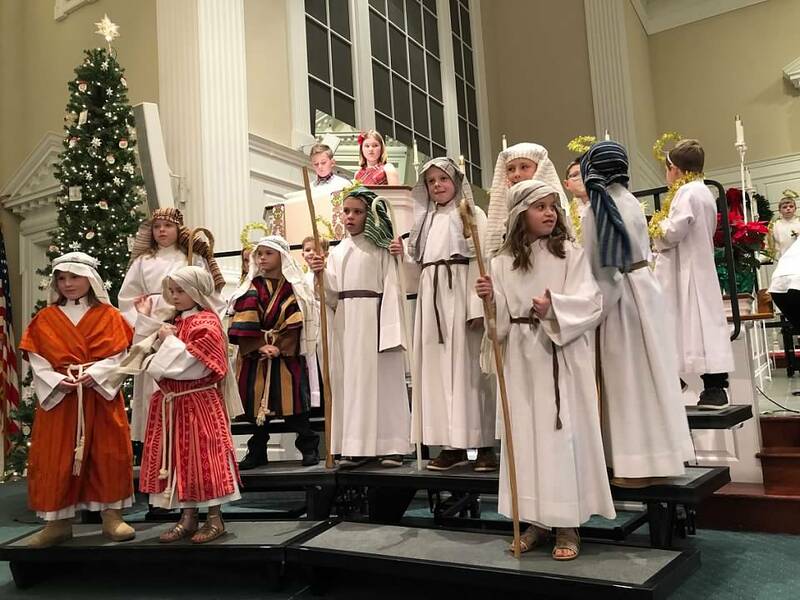 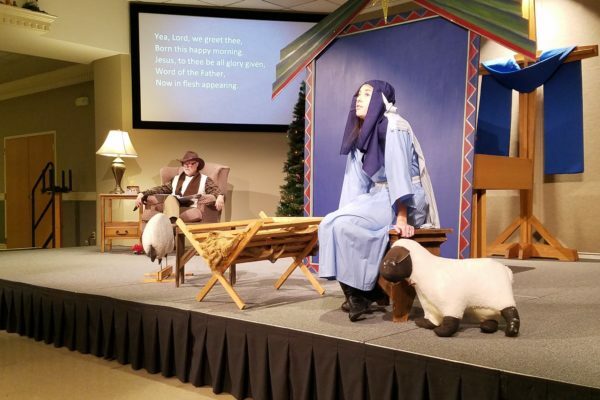 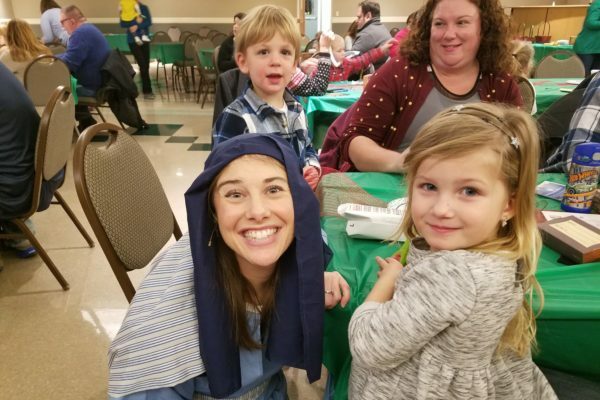 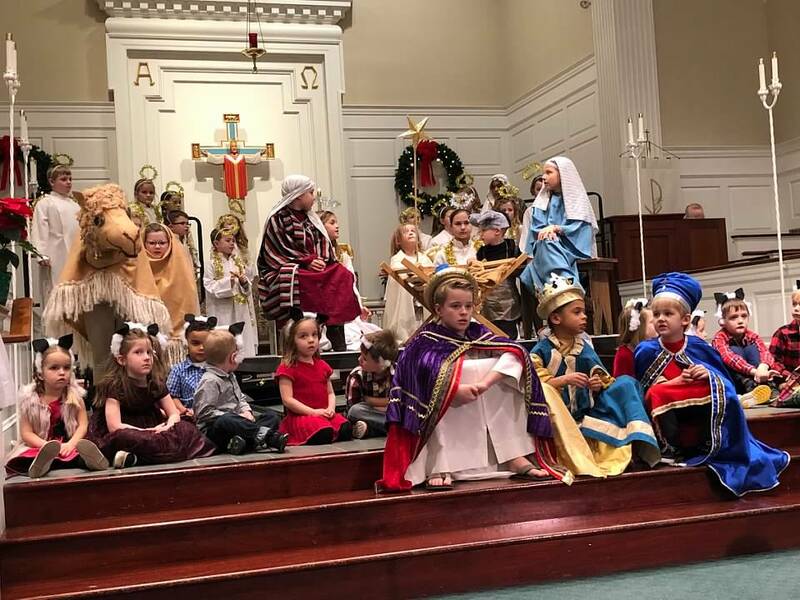 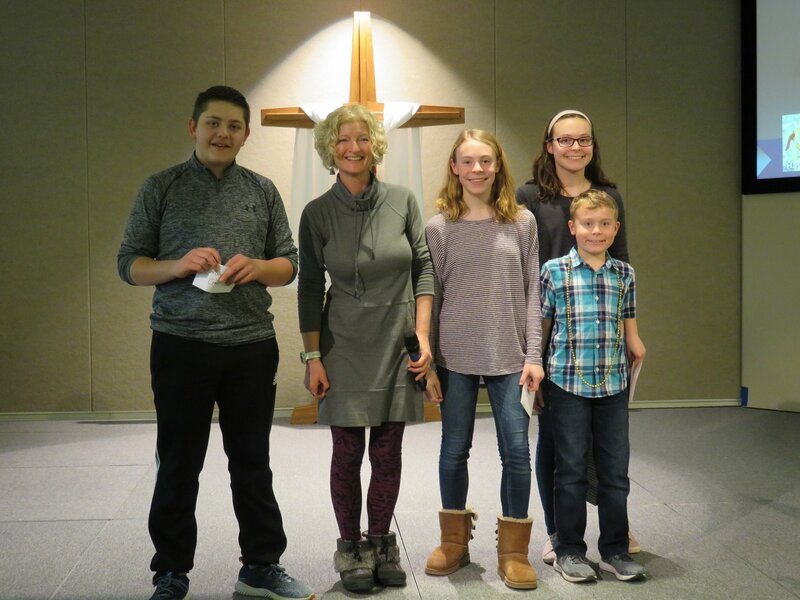 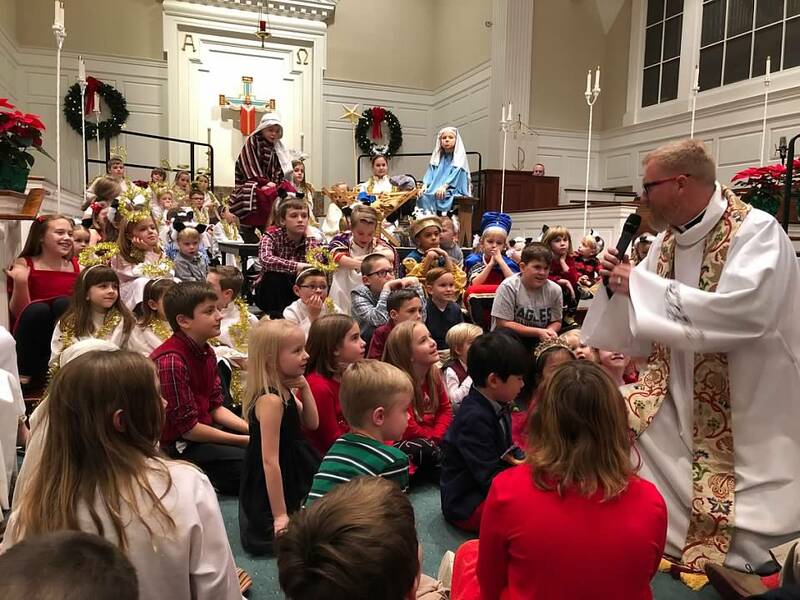 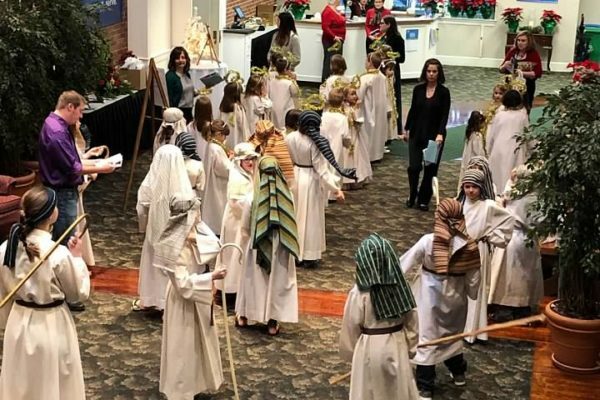 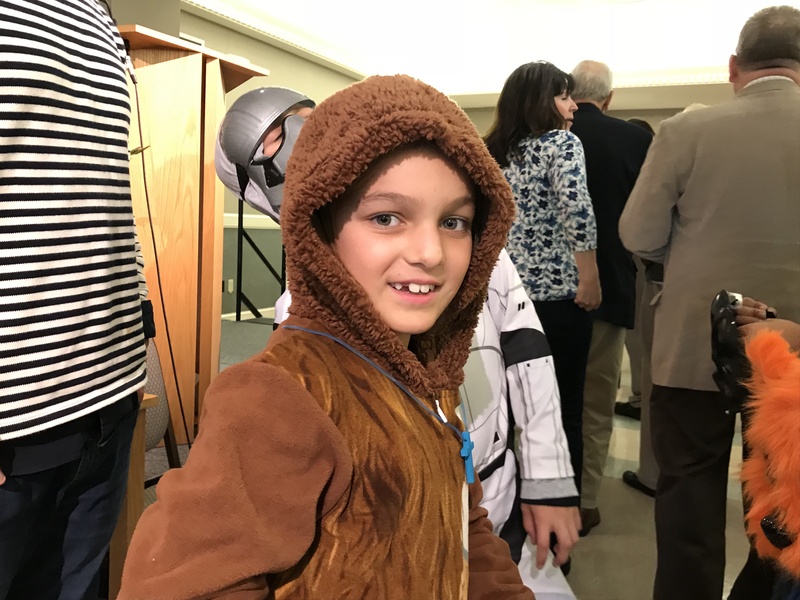 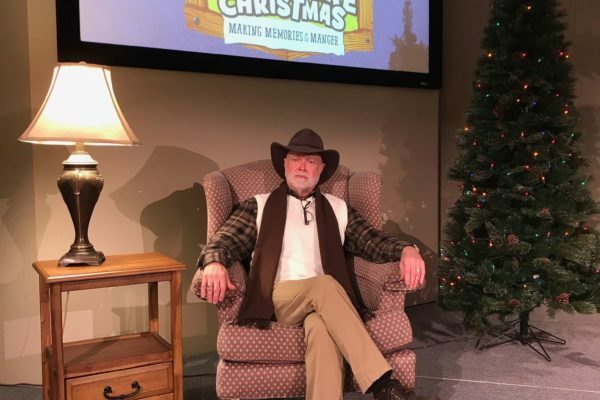 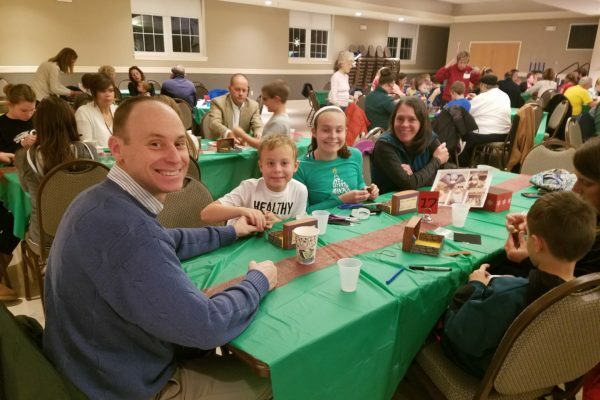 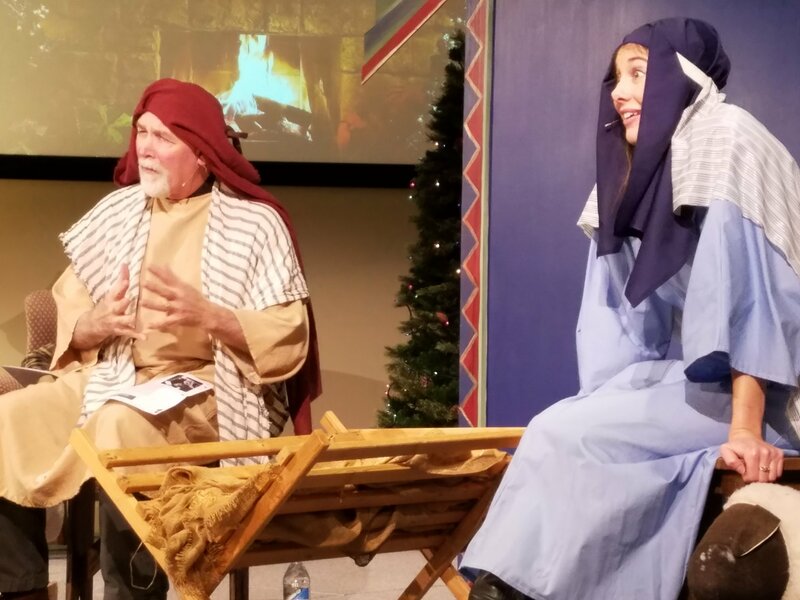 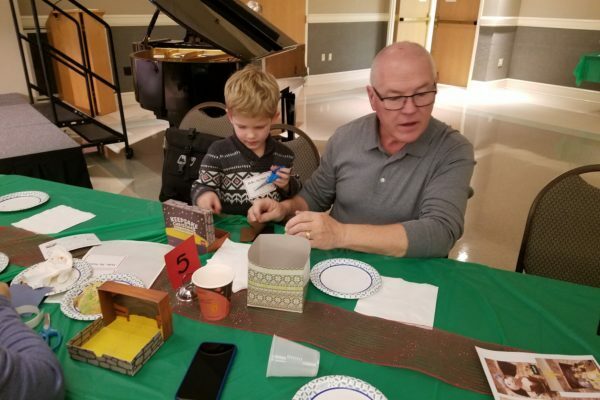 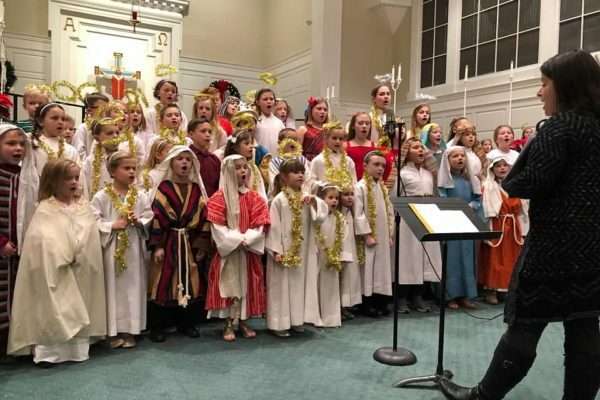 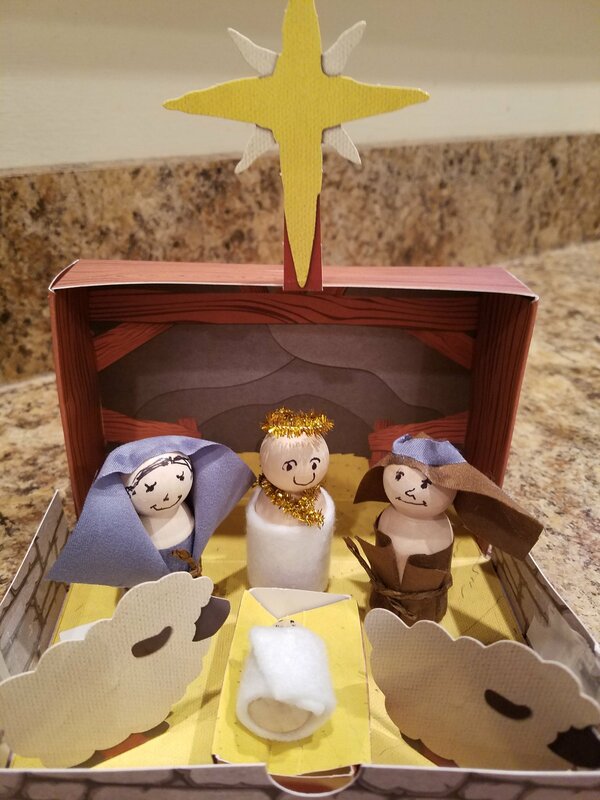 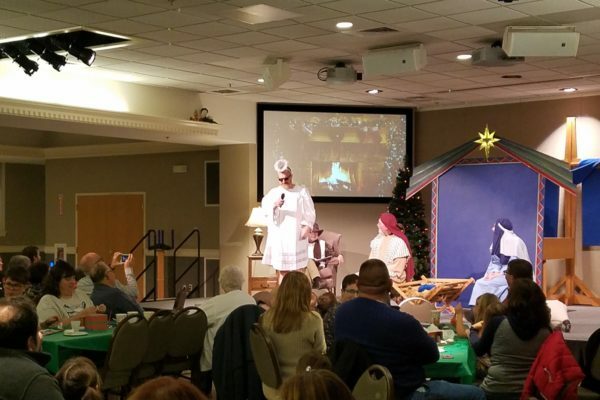 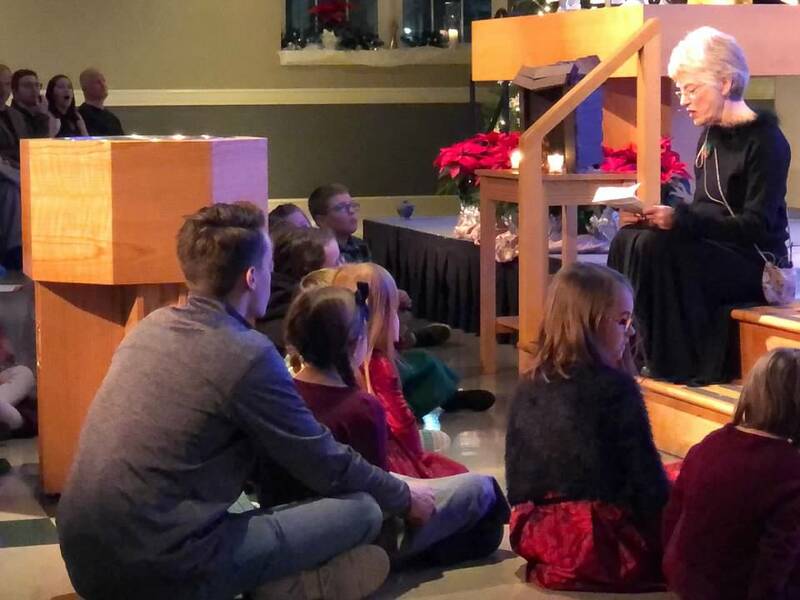 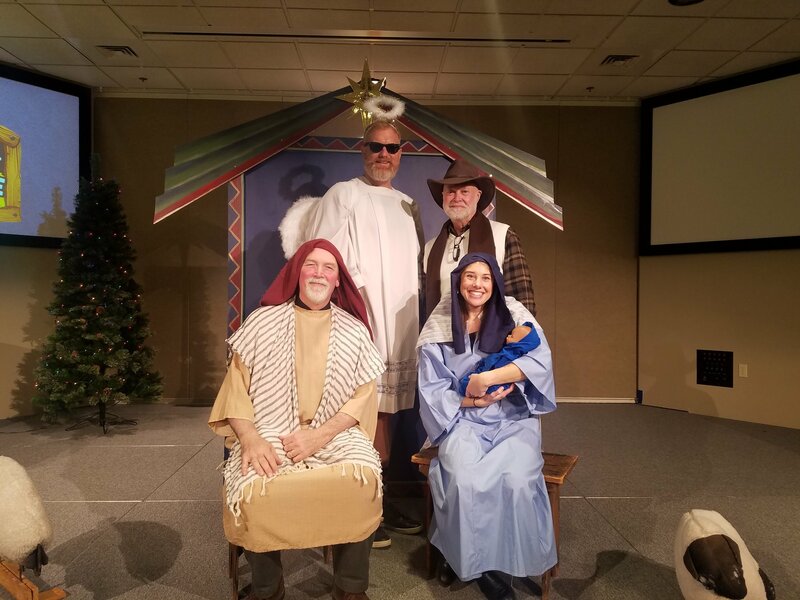 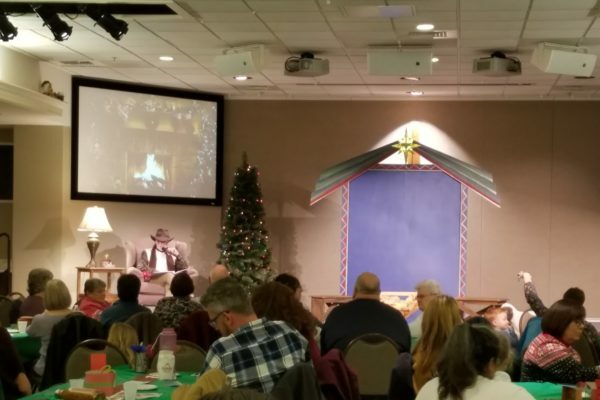 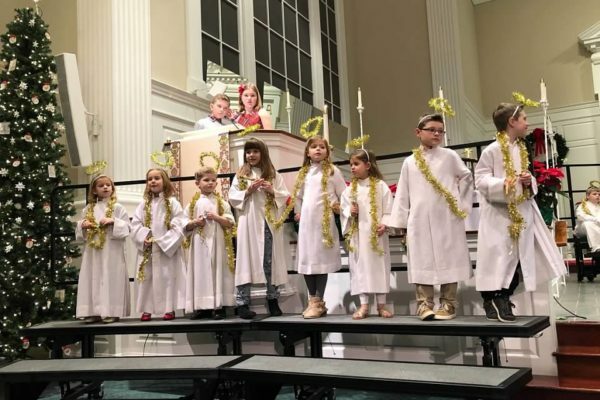 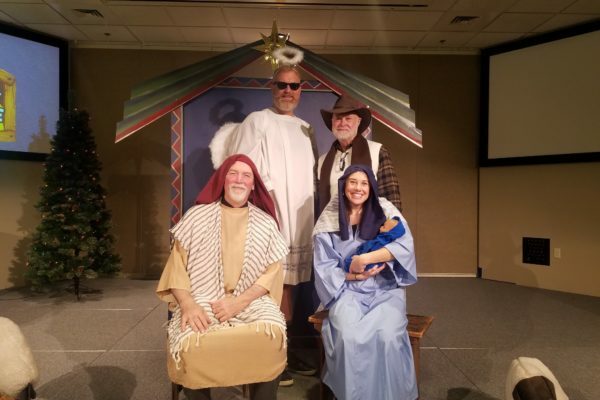 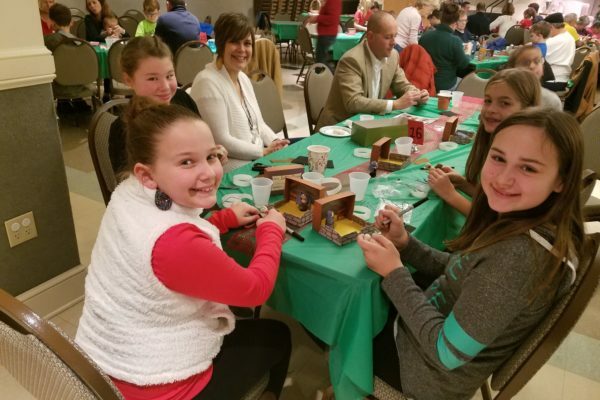 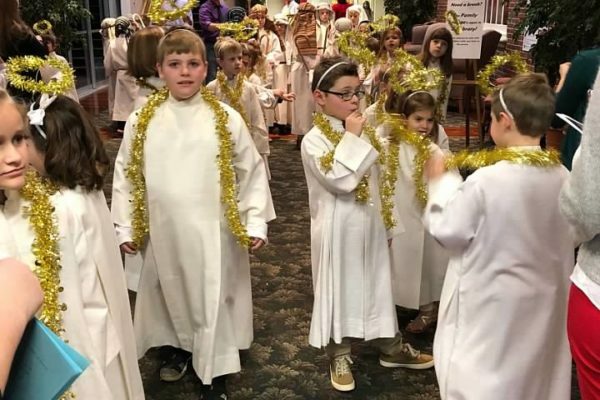 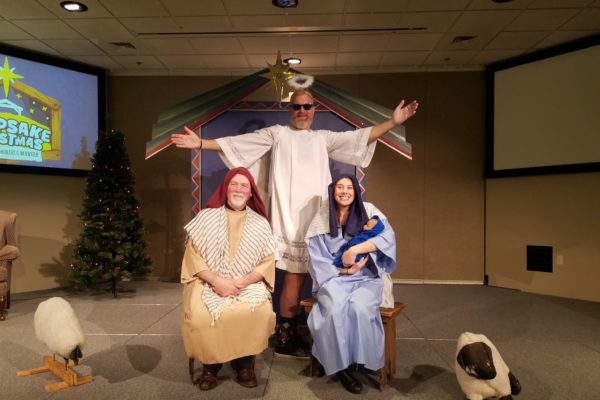 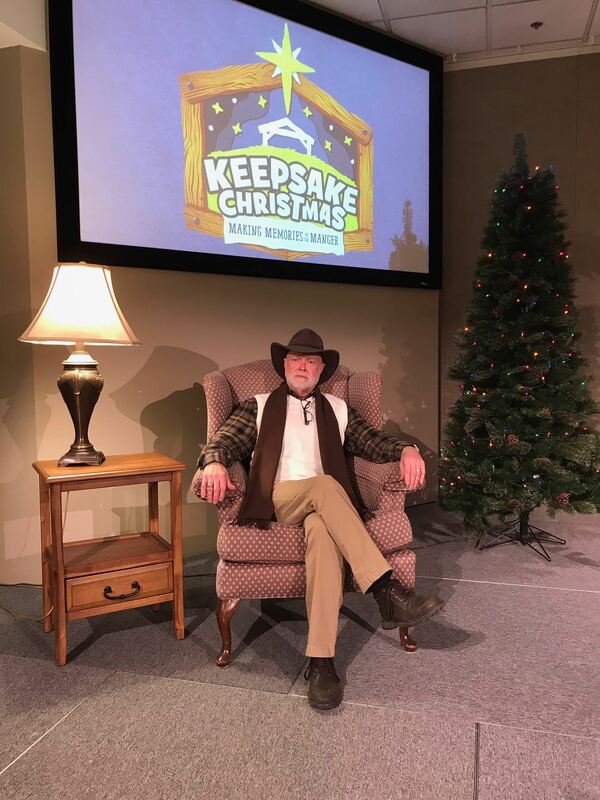 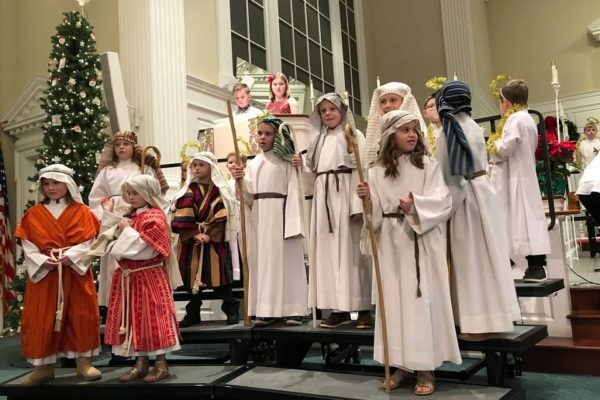 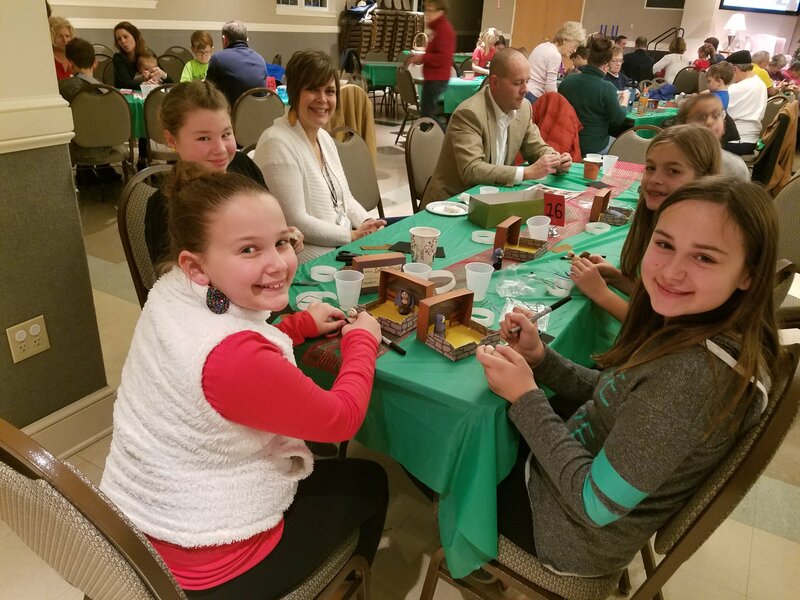 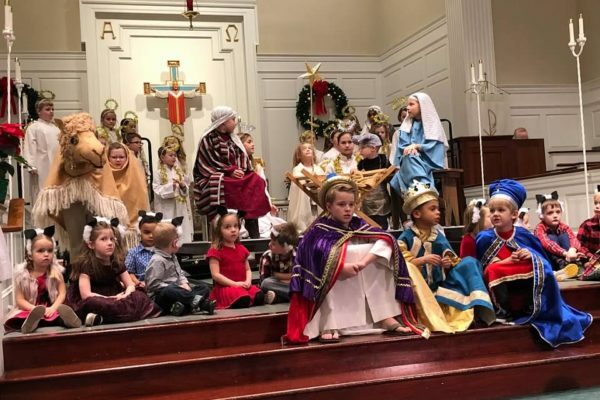 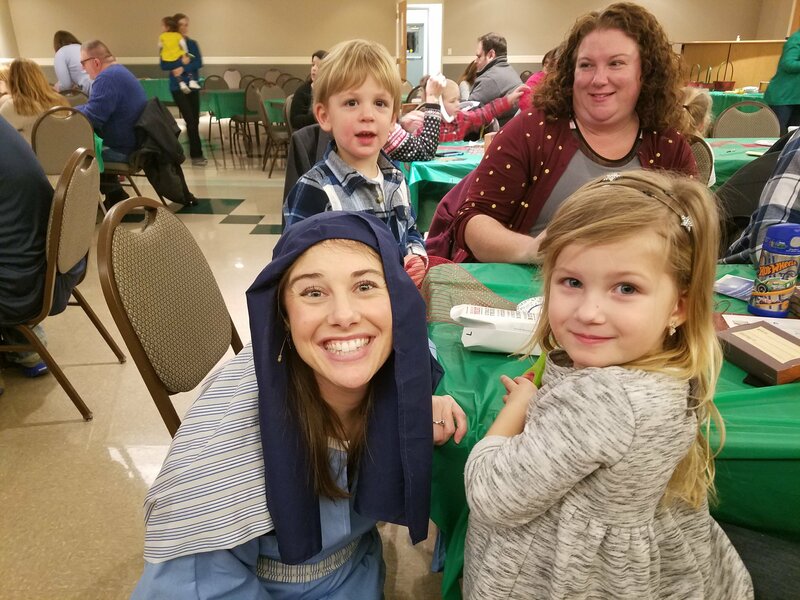 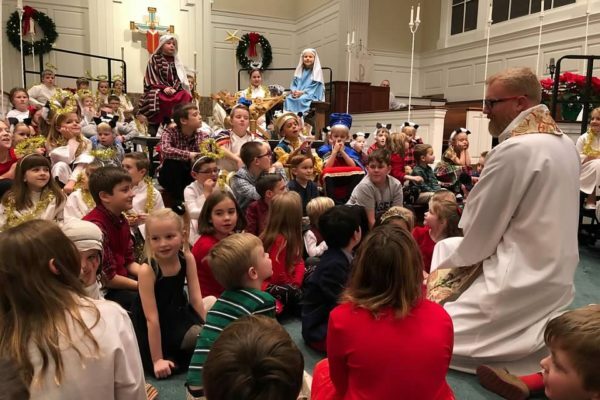 On November 30, 2018, adults and children of all ages came together to hear a special telling of the Christmas story and create a Keepsake Nativity scene that they can cherish year after year! 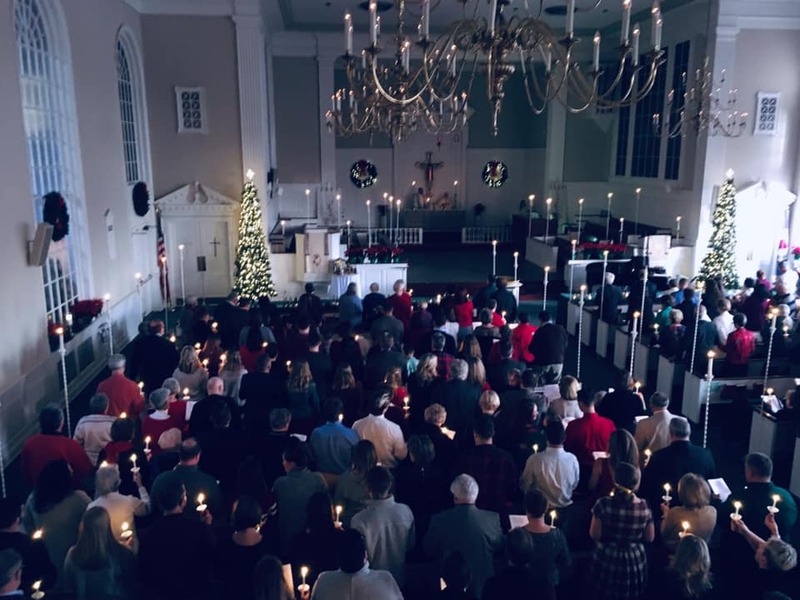 Thank you to all who shared this special evening with us. 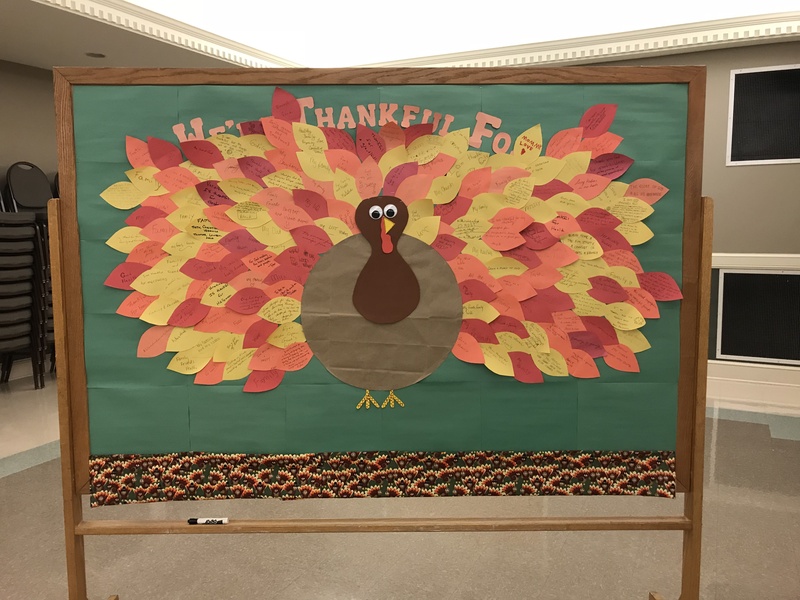 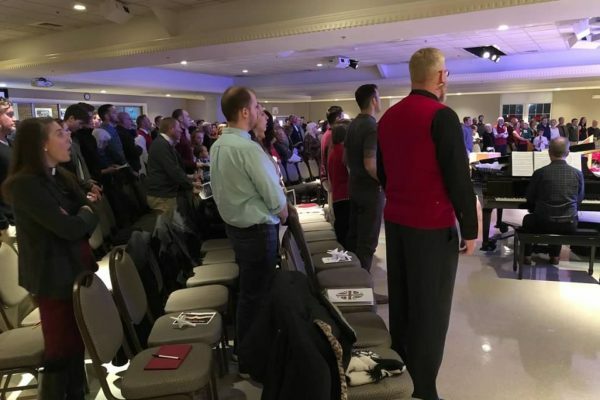 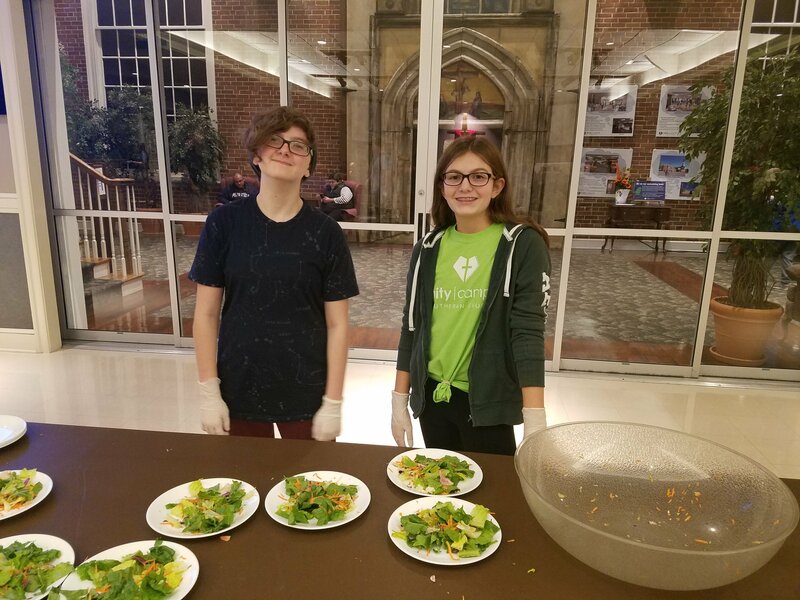 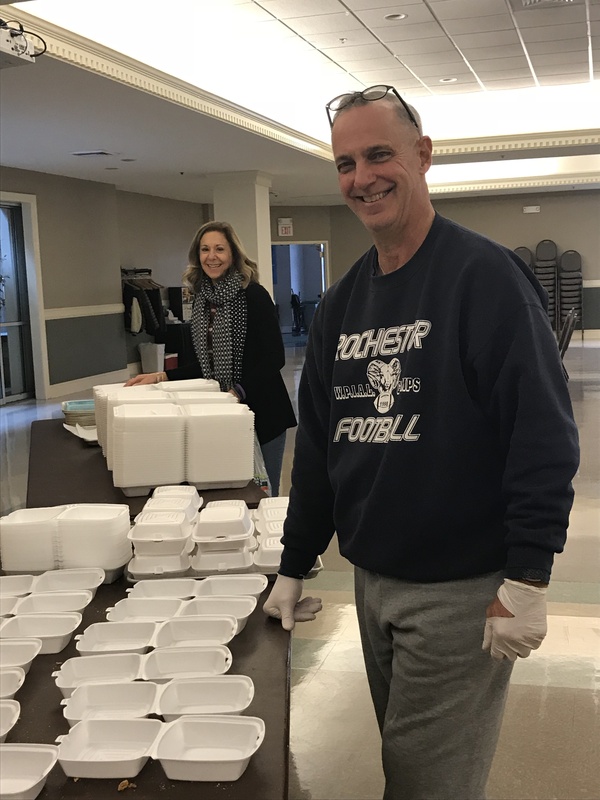 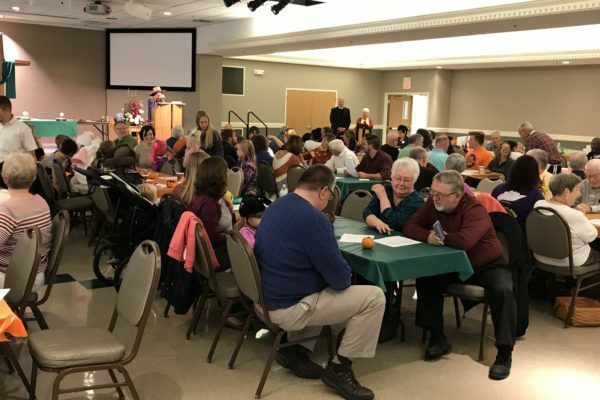 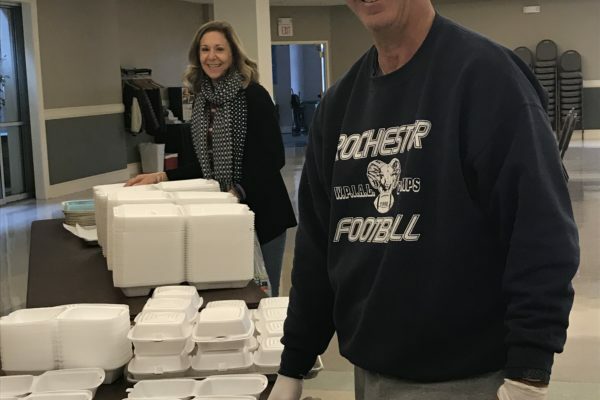 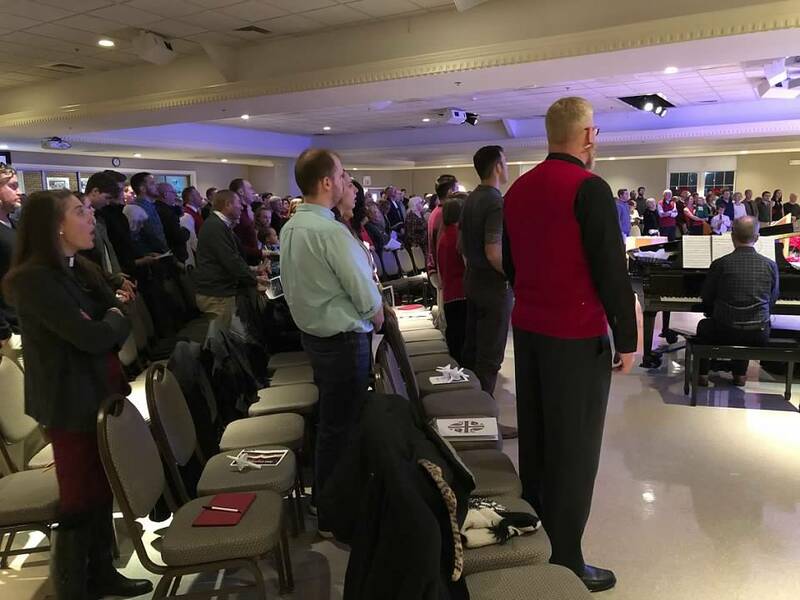 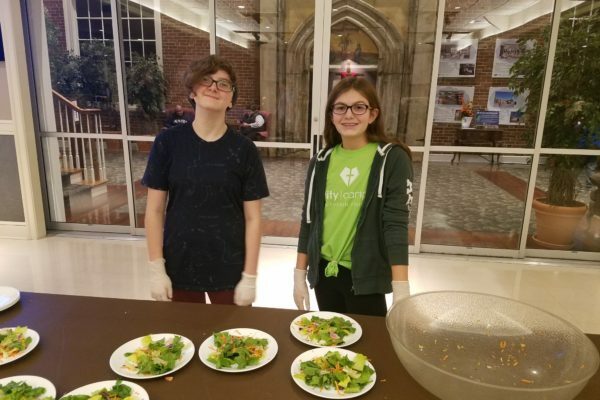 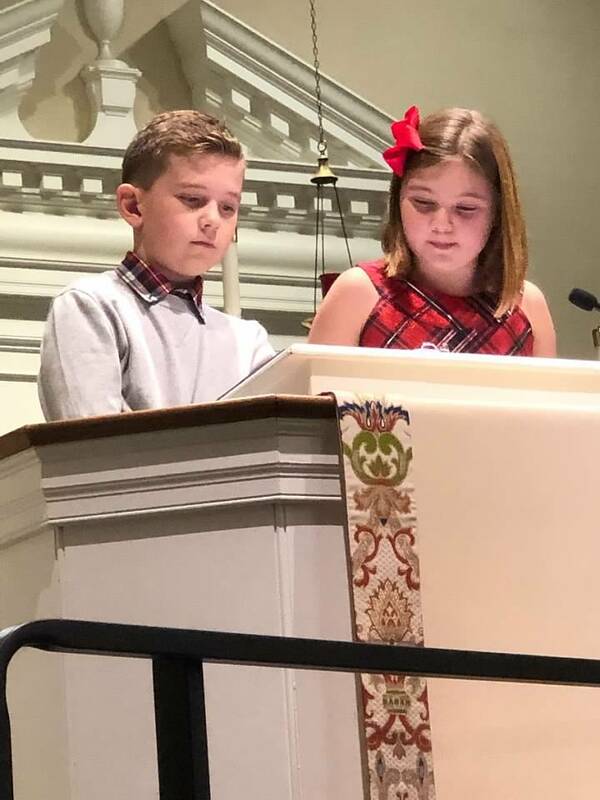 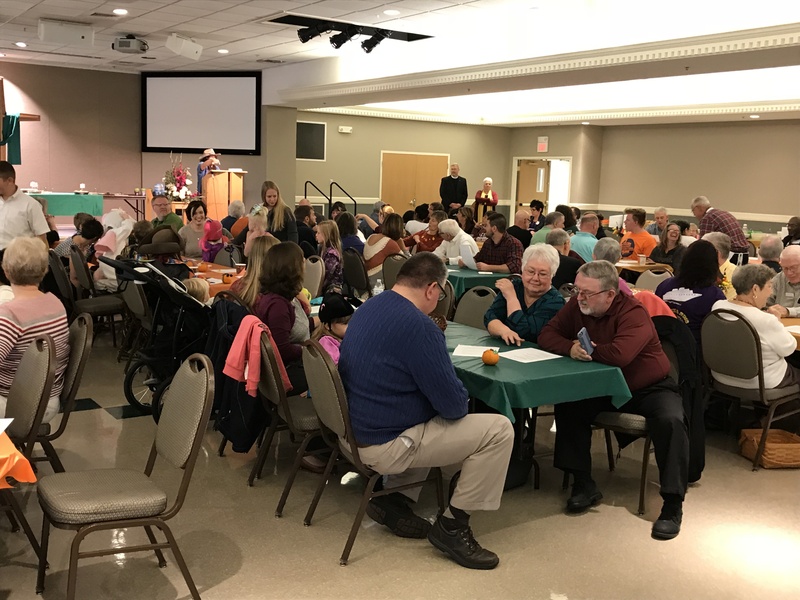 On Sunday, November 18, 2018, Trinity held its annual Thanks & Giving event where we share from our abundance as our way of giving thanks to God for all His wonderful gifts. 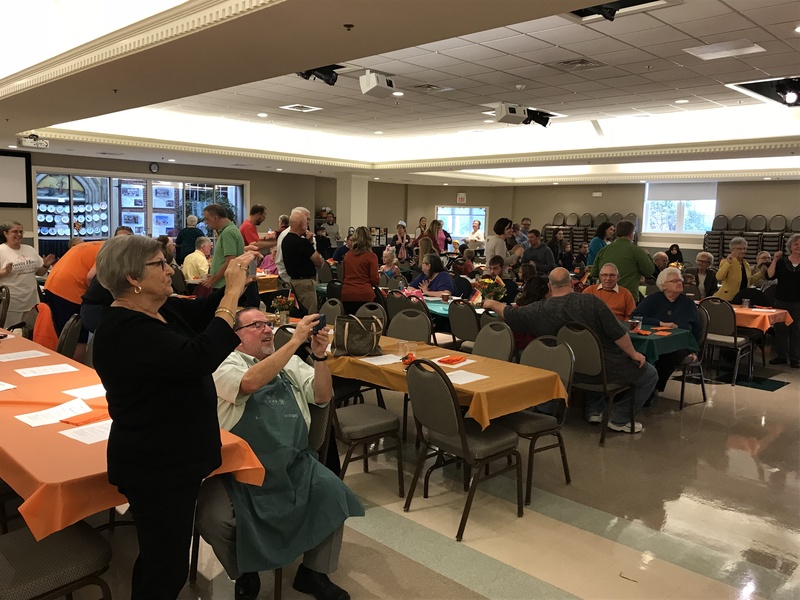 THANK YOU to all 130+ volunteers who made these results happen! 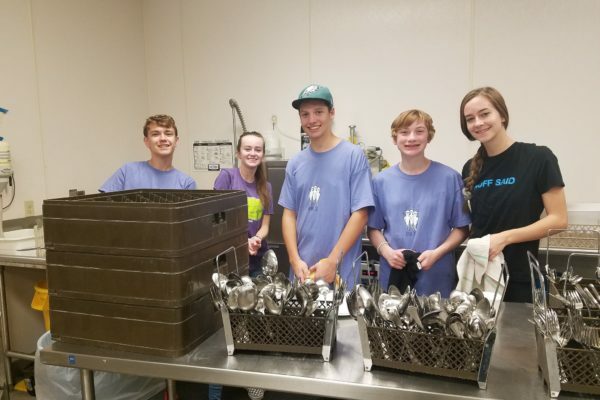 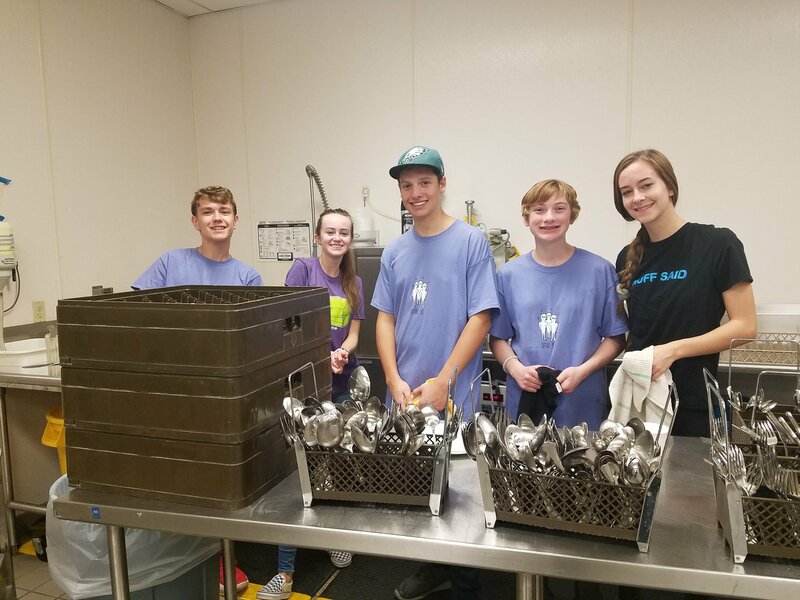 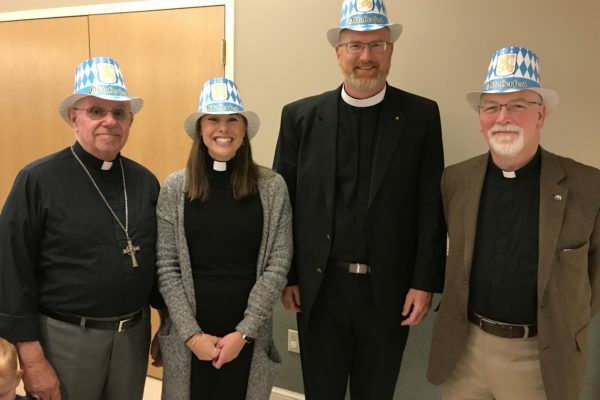 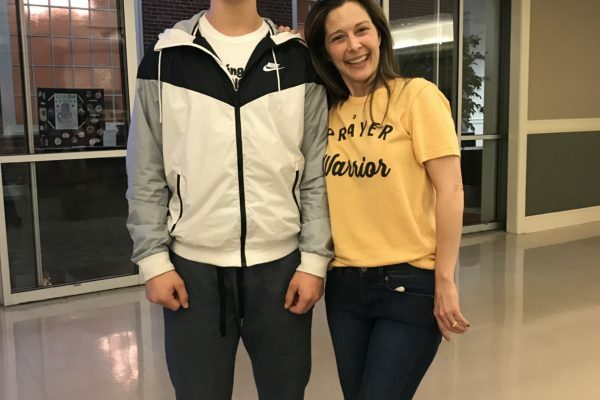 October 21, 2018 marked a special day at Trinity. 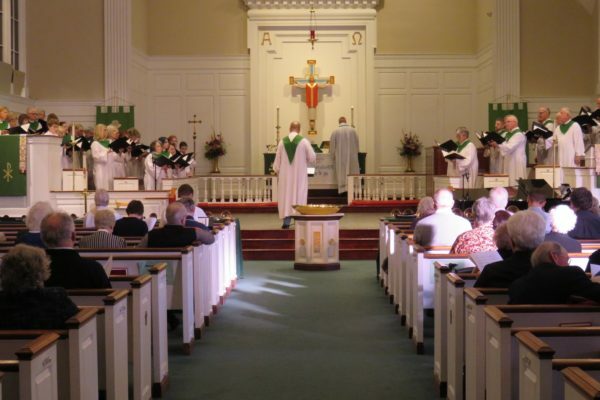 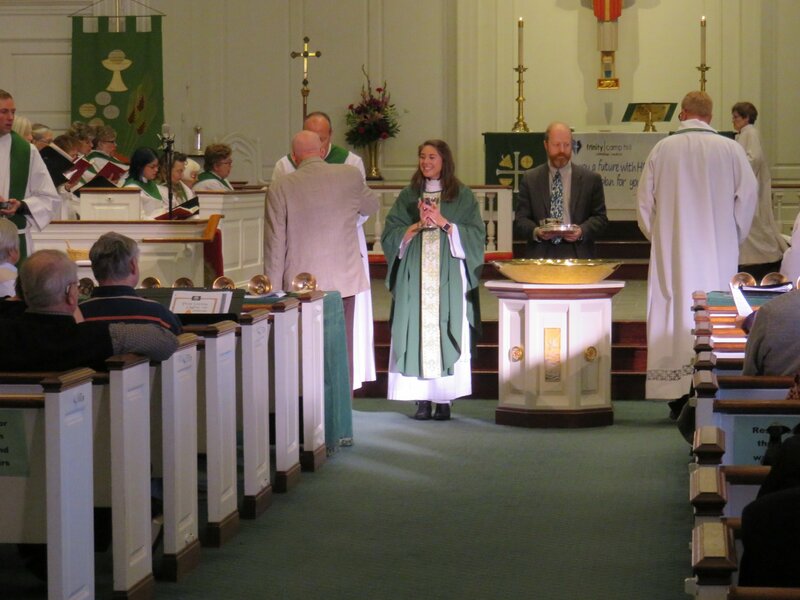 In a special worship service, Rev. 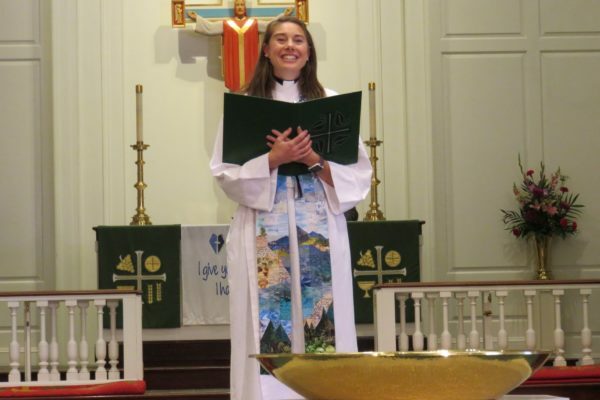 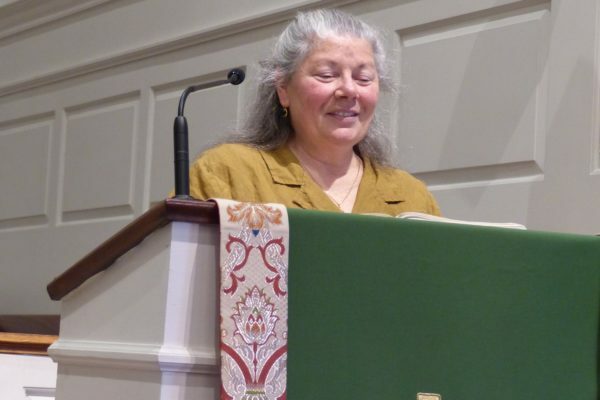 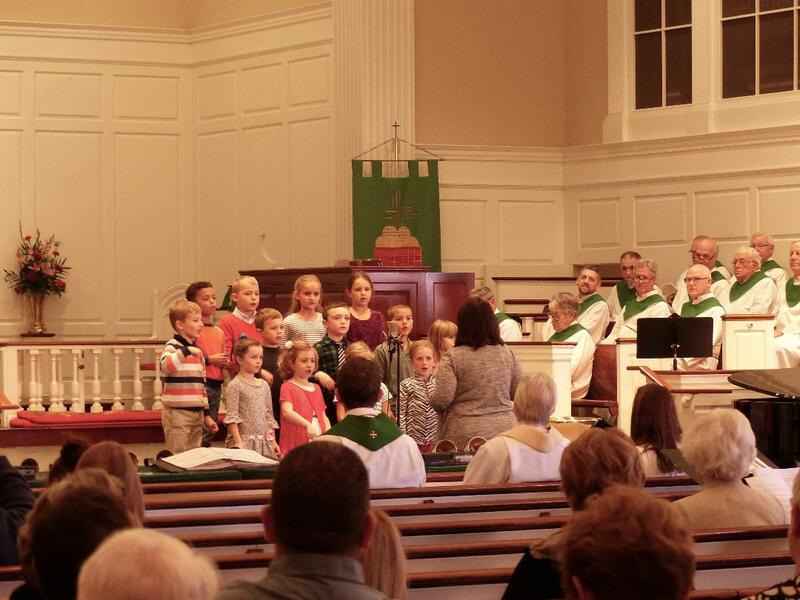 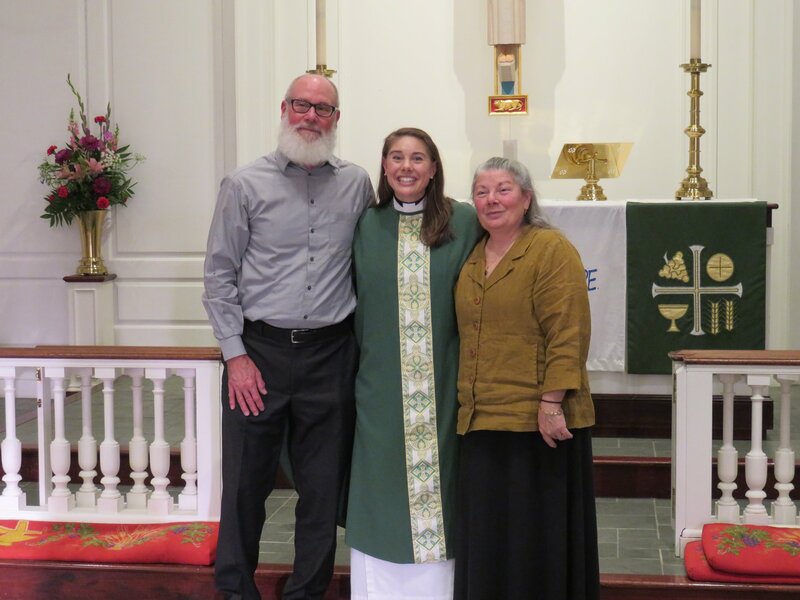 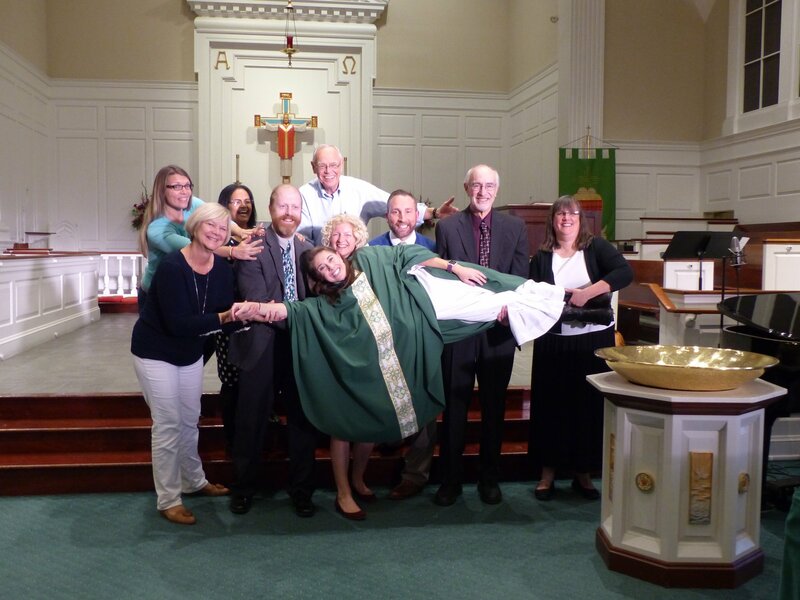 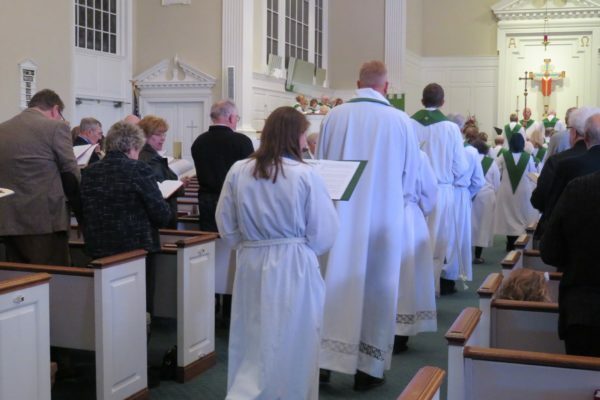 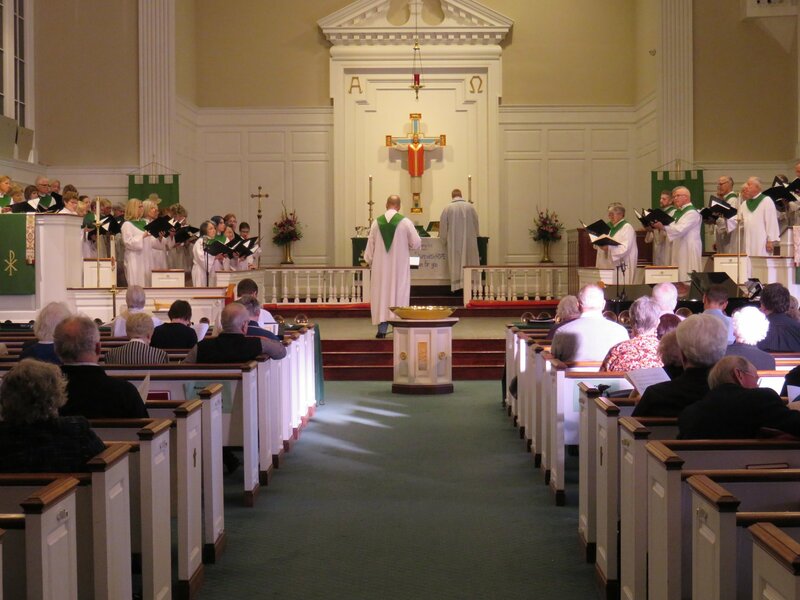 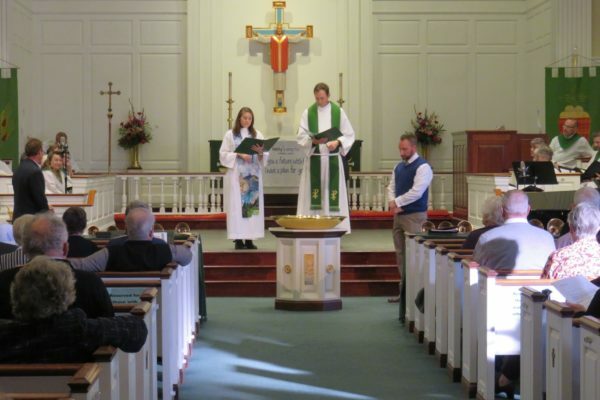 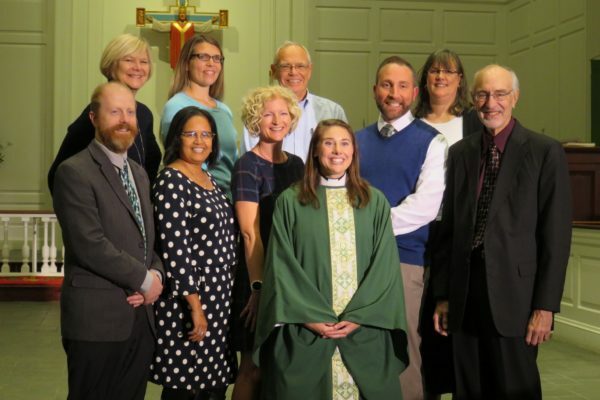 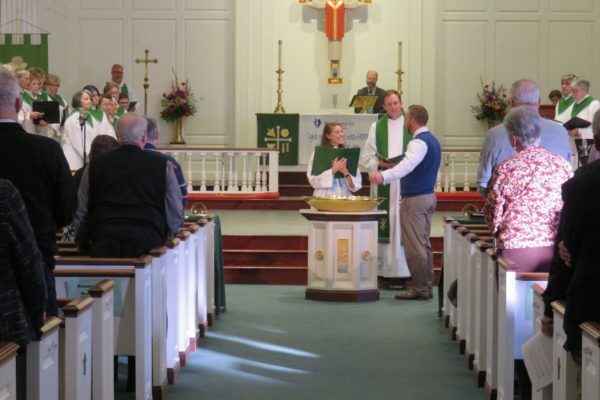 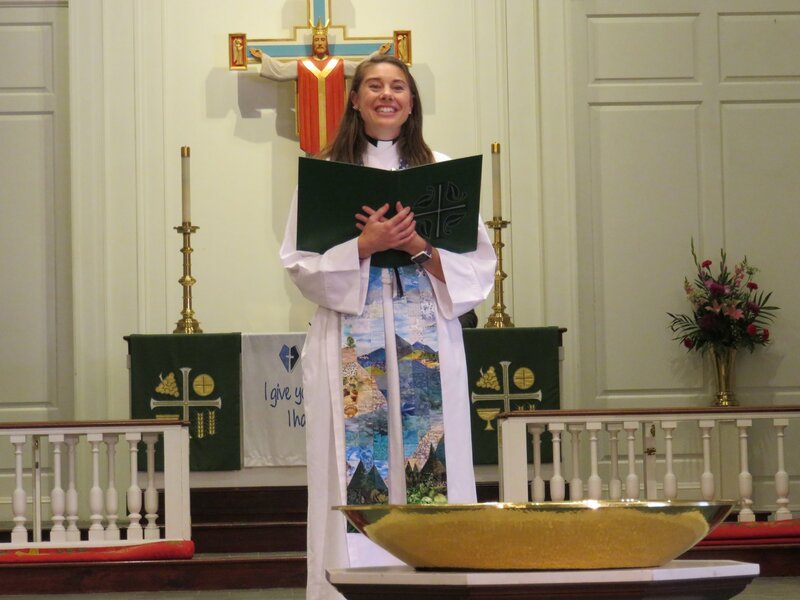 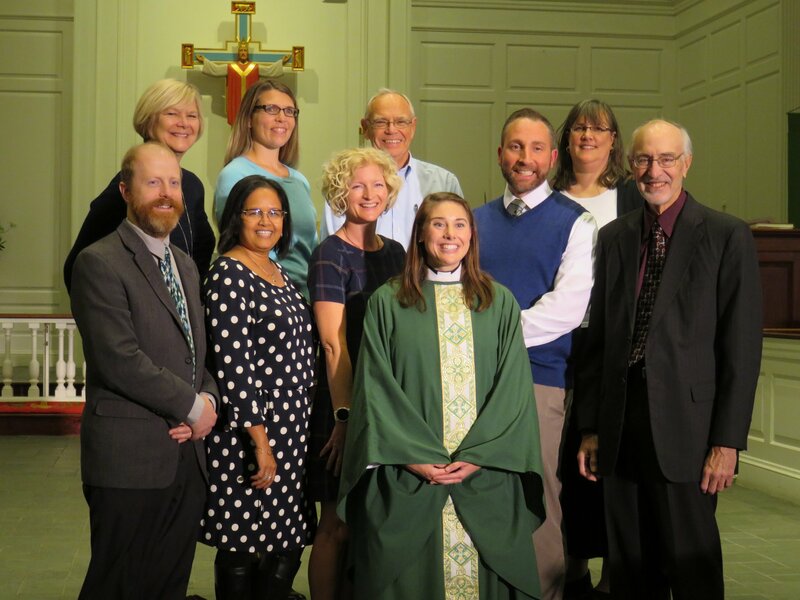 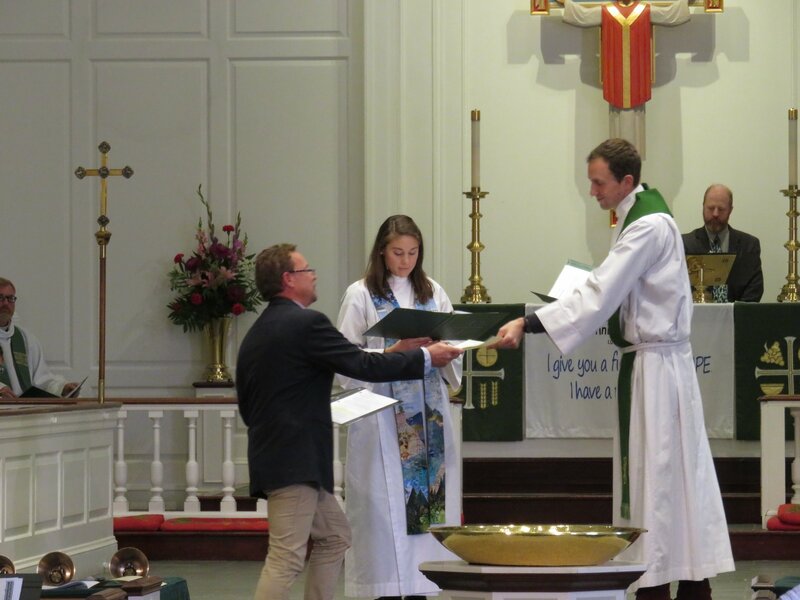 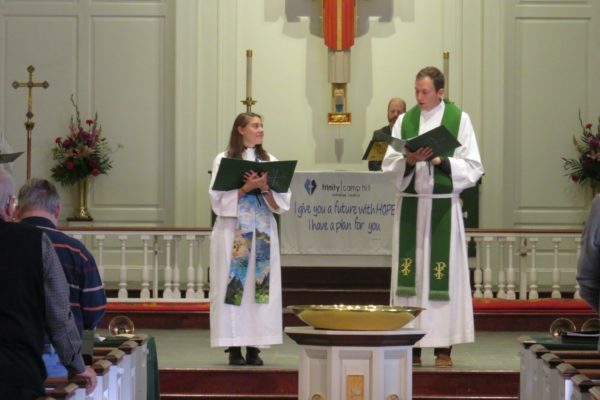 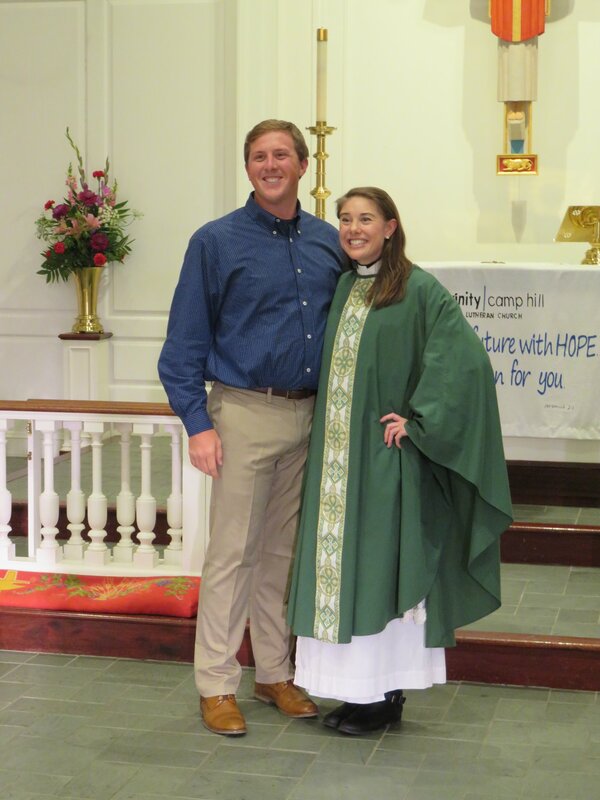 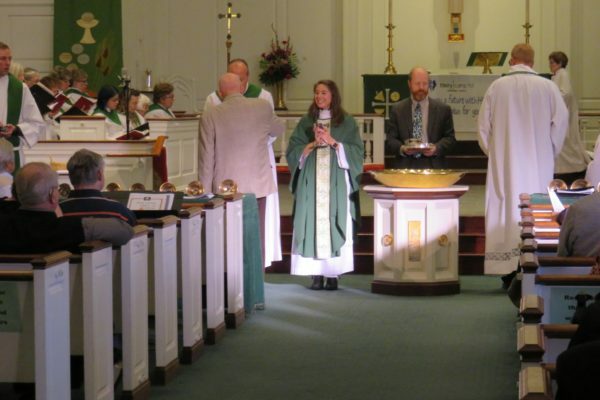 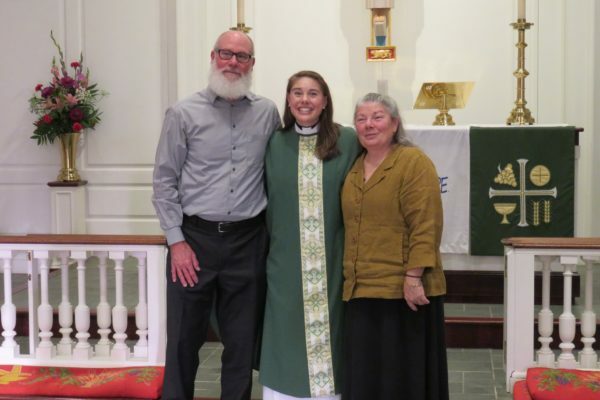 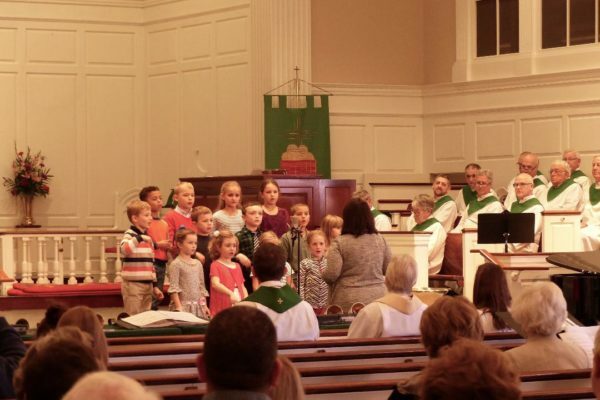 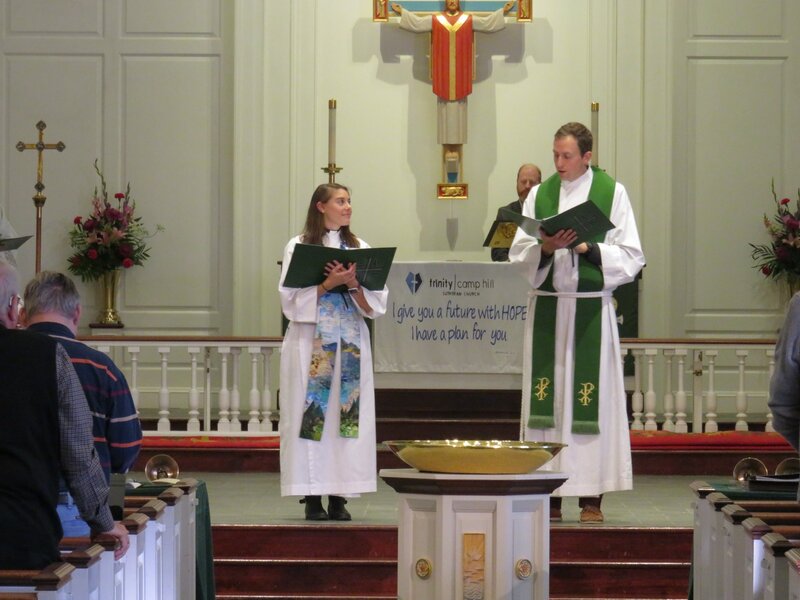 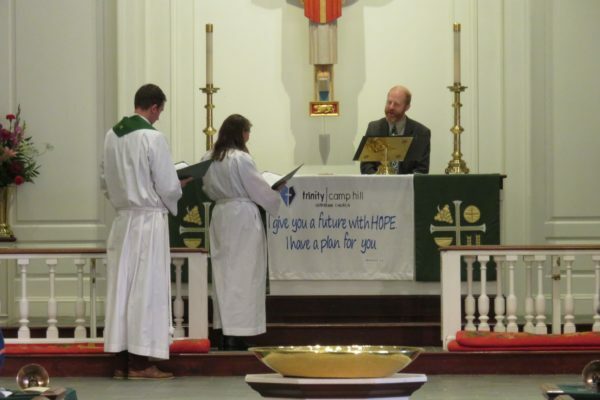 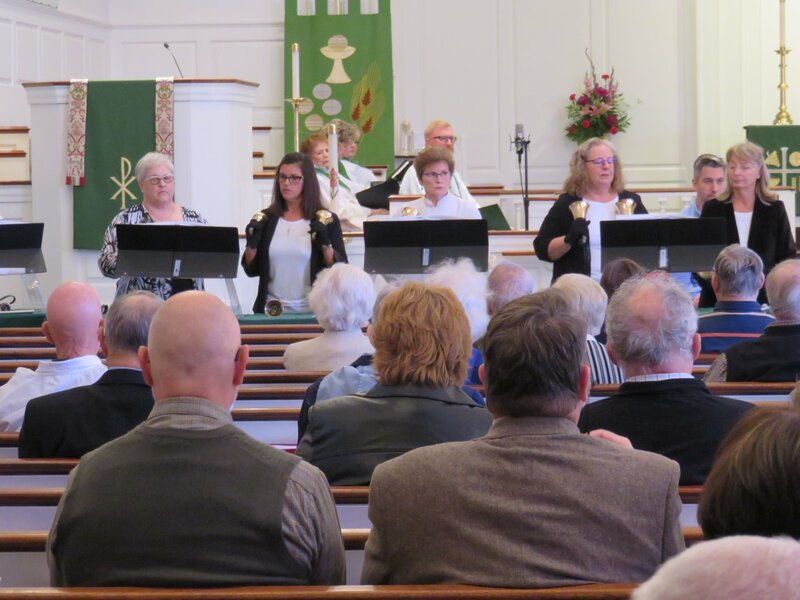 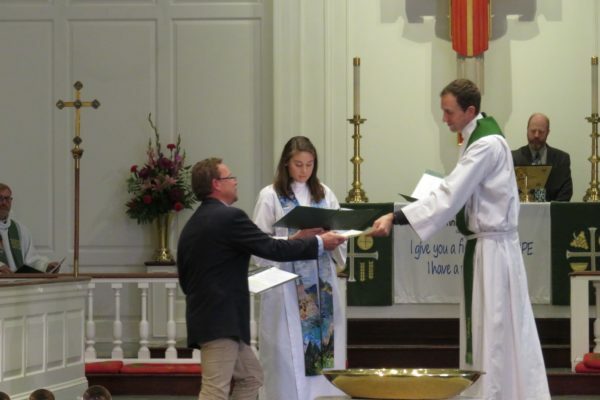 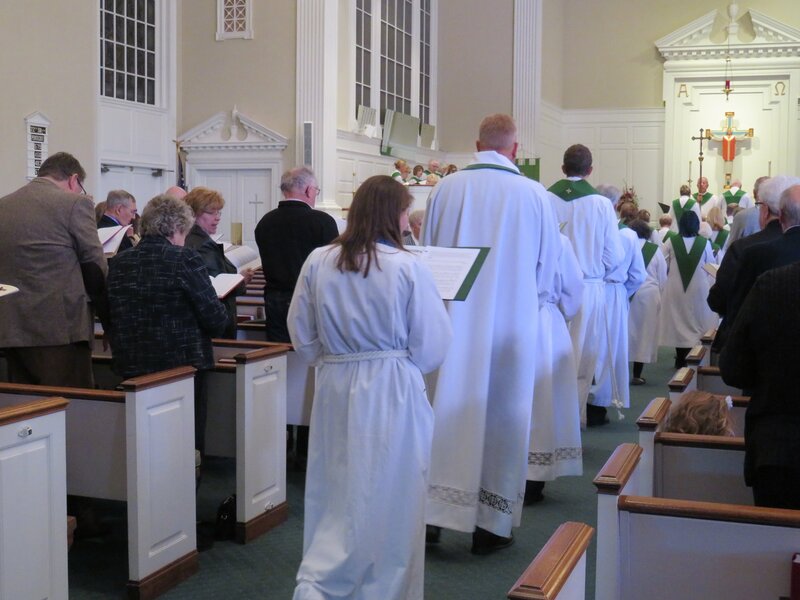 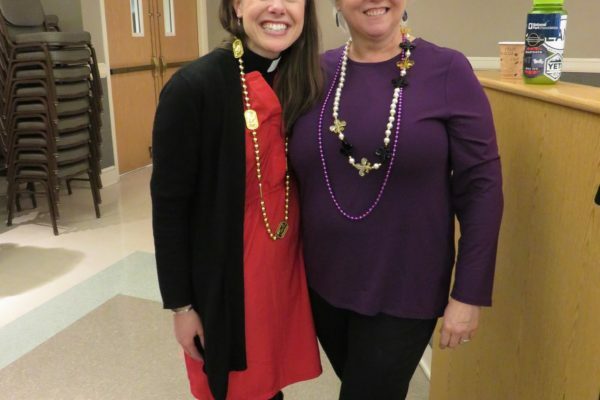 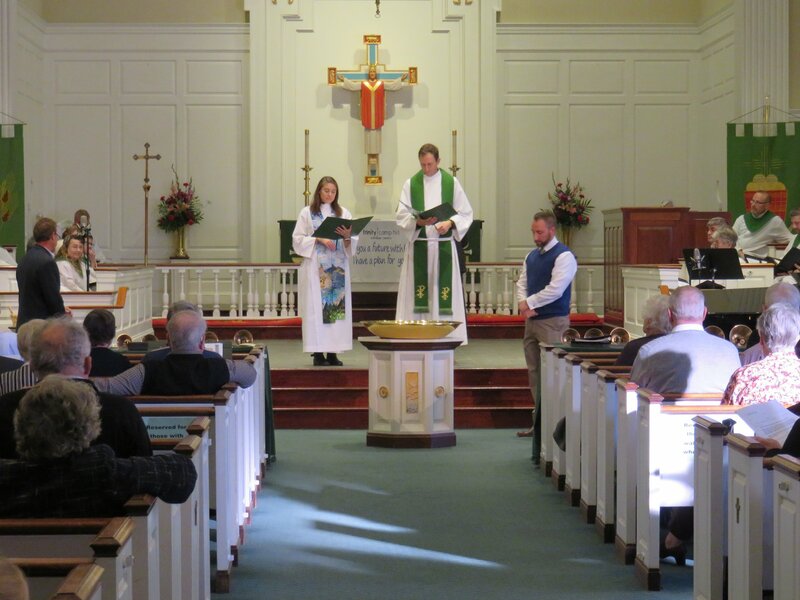 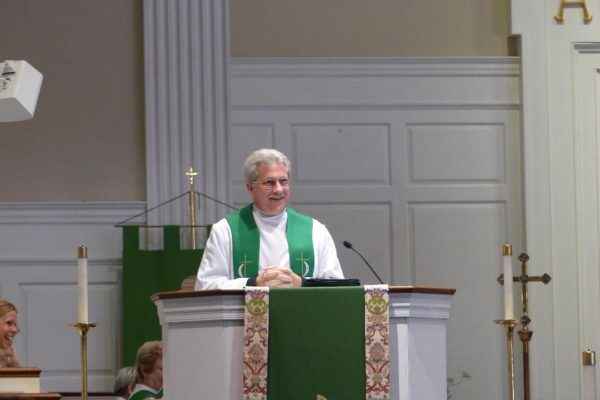 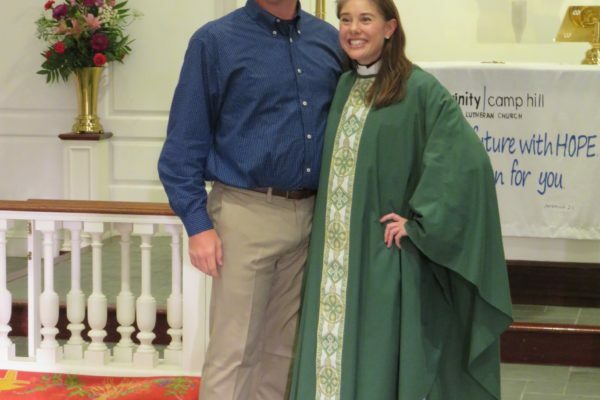 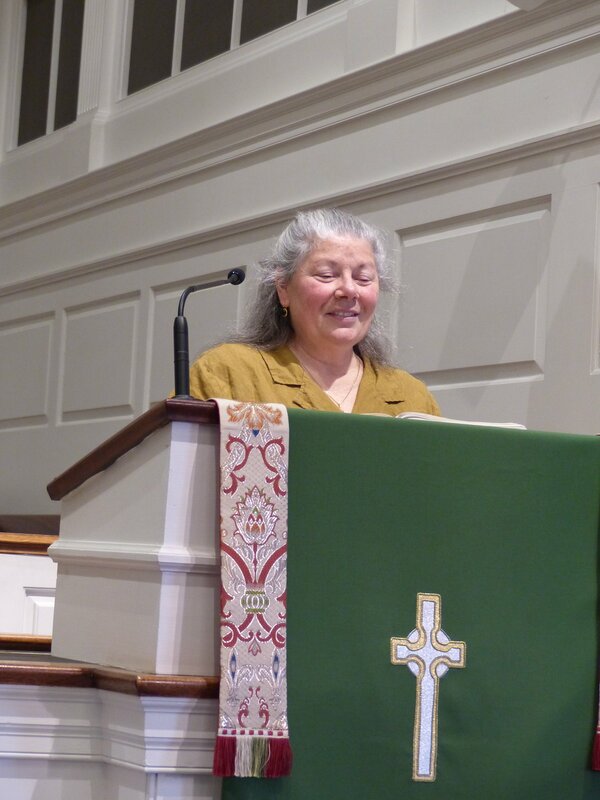 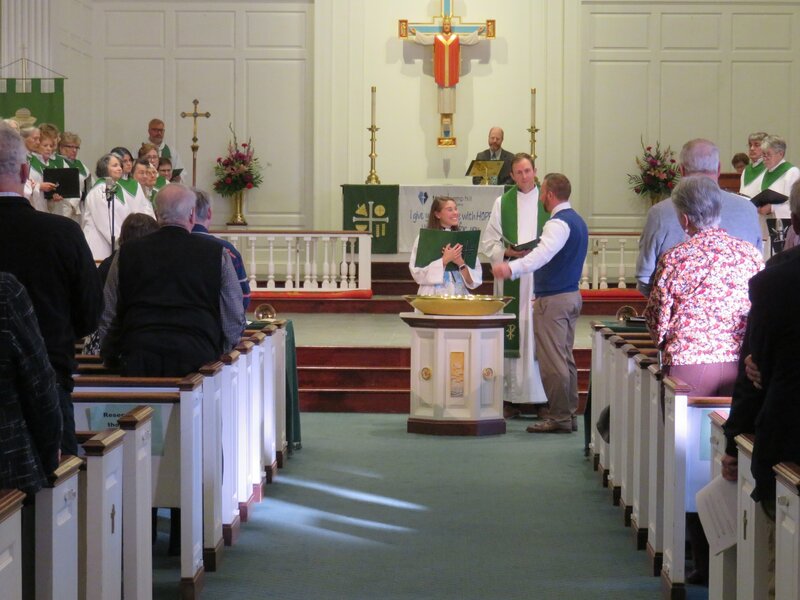 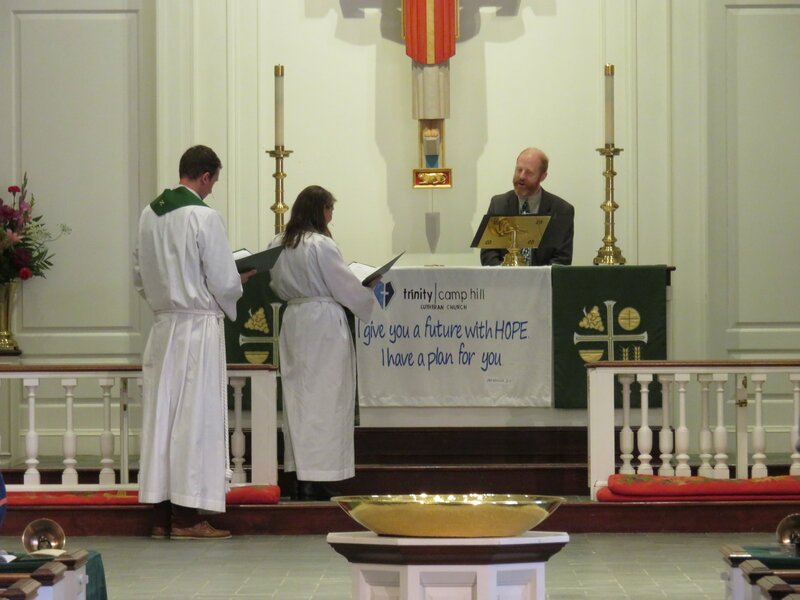 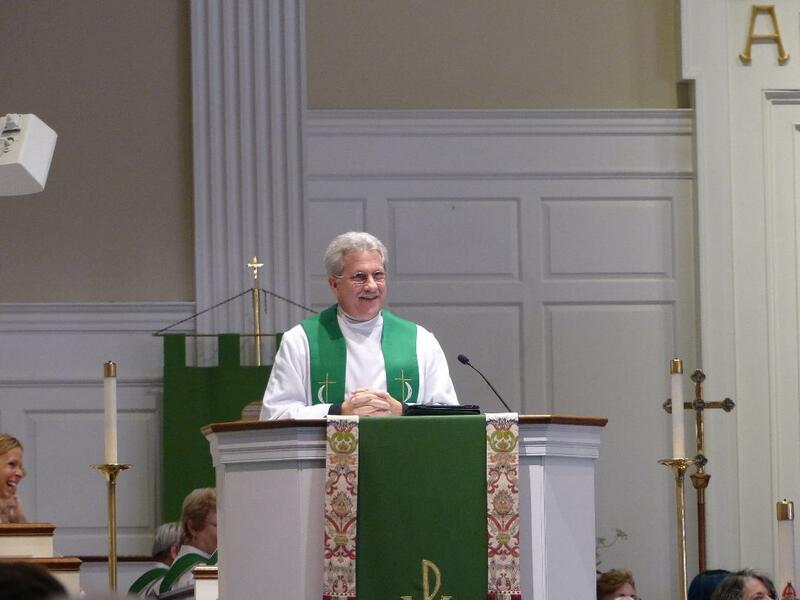 Elizabeth E. Frey was officially installed as an Associate Pastor and Ministry Director for Engagement at Trinity. 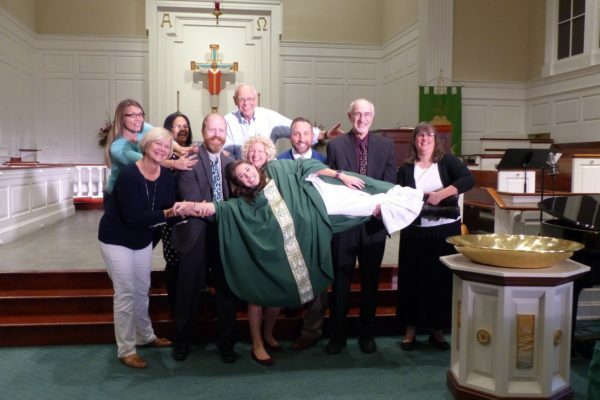 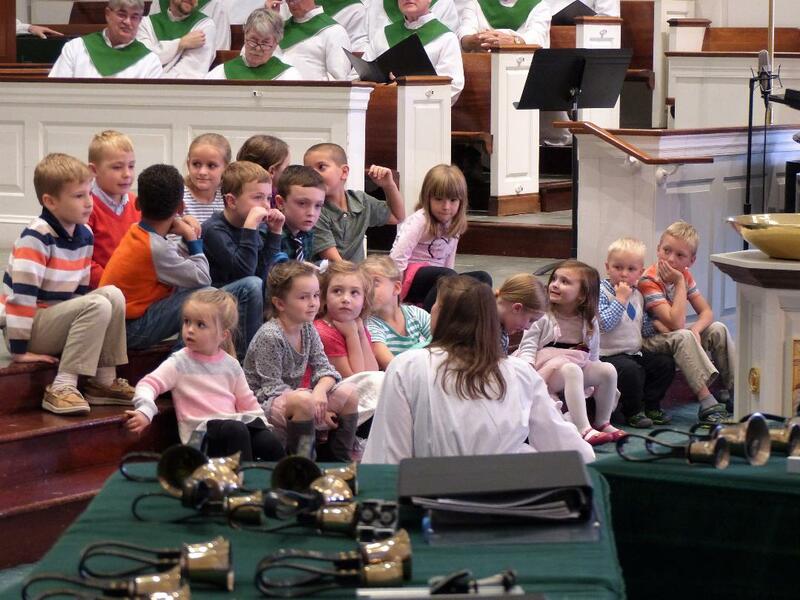 Our congregation is blessed to have Pastor Liz as a part of our family. 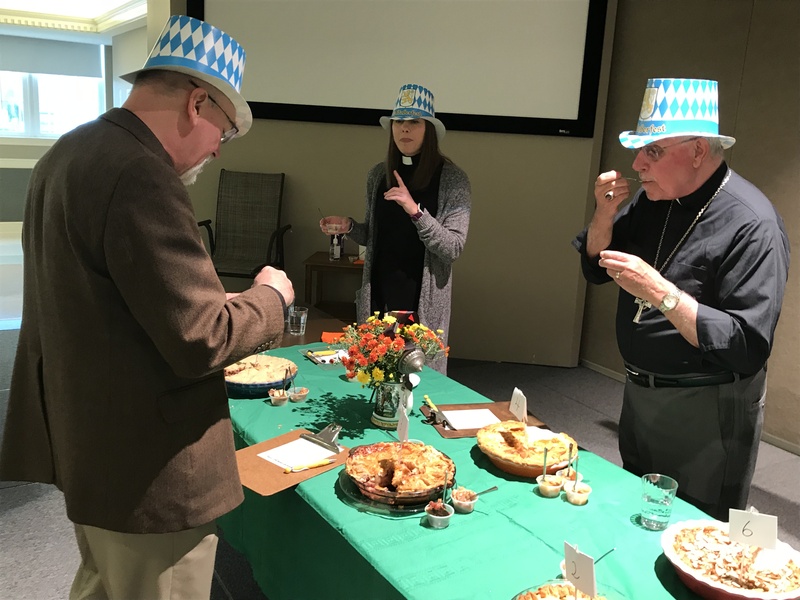 October 14 was Oktoberfest at Trinity! 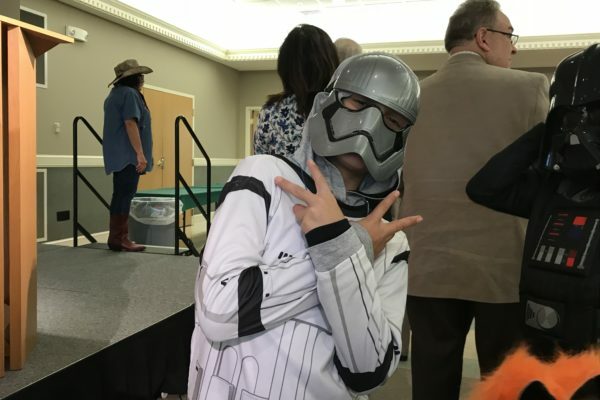 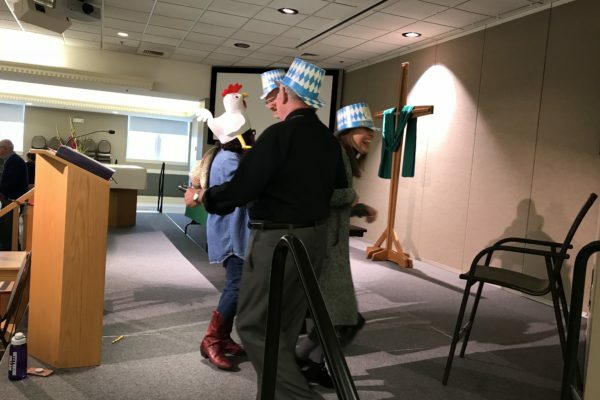 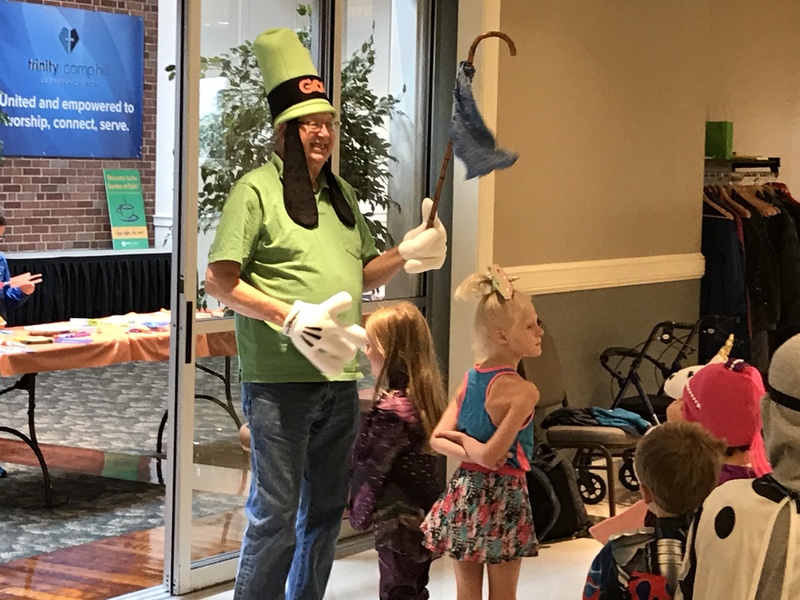 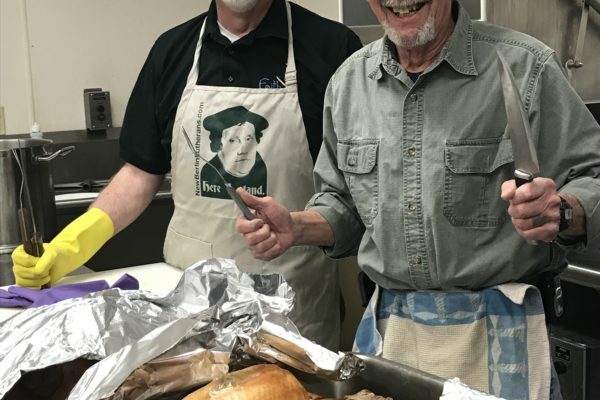 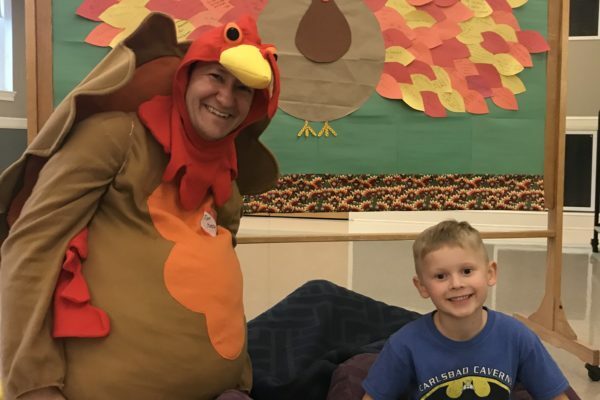 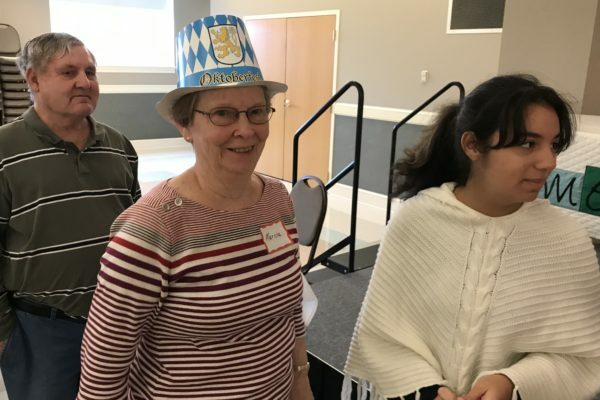 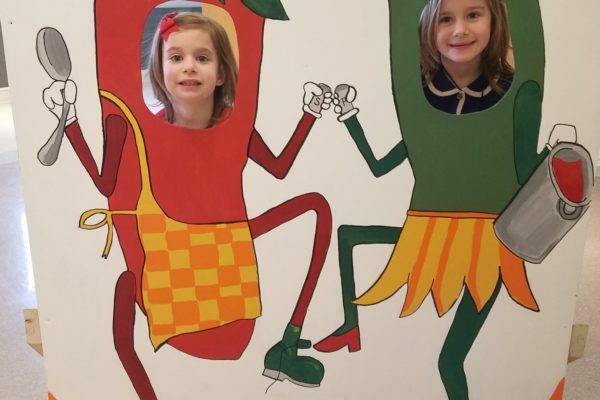 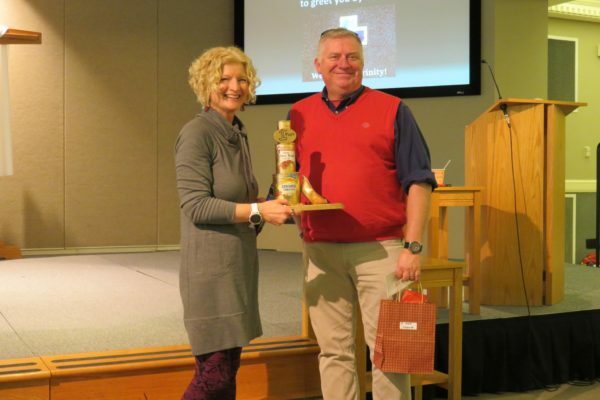 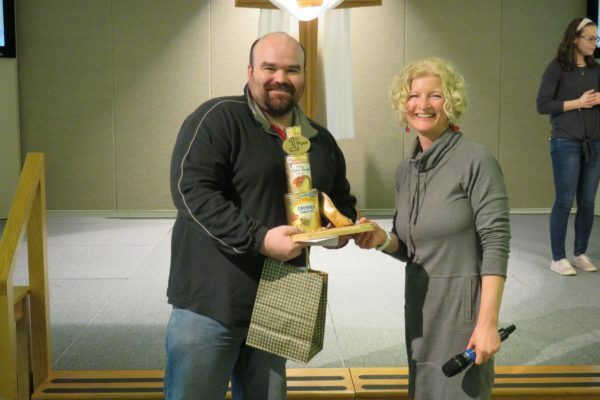 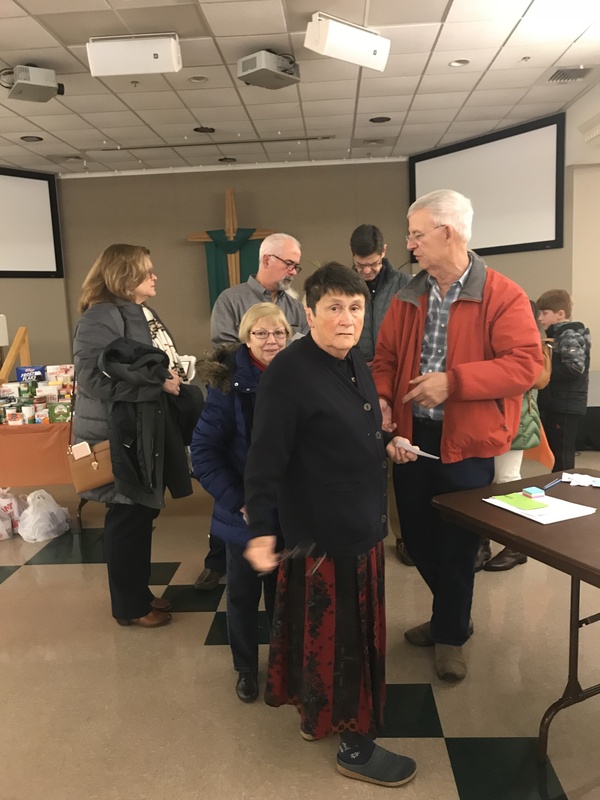 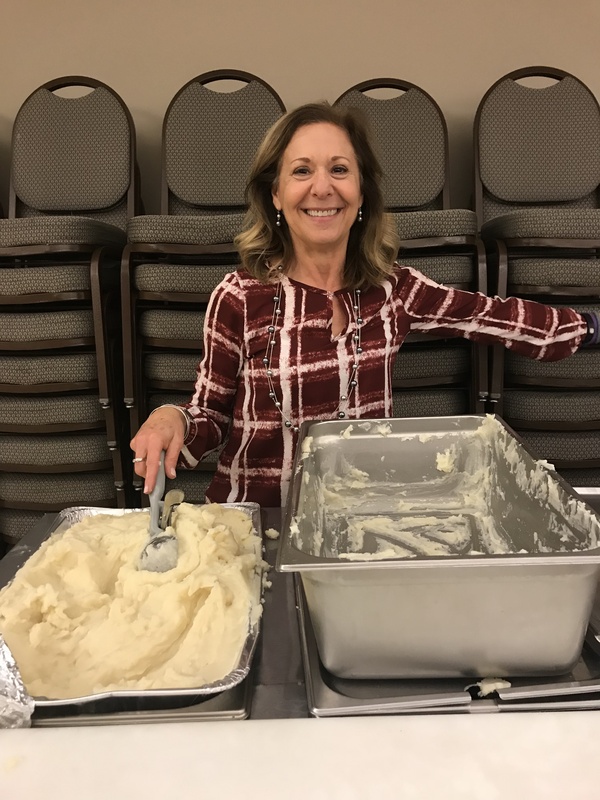 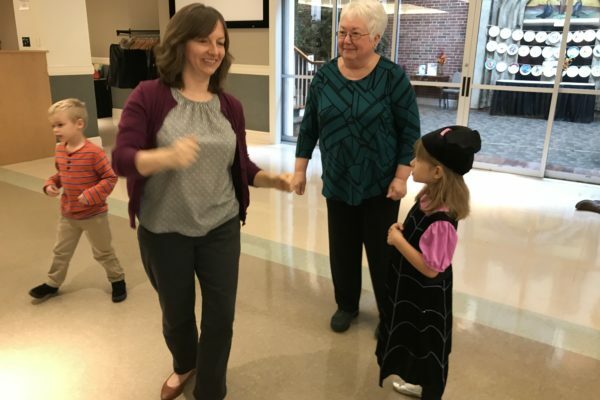 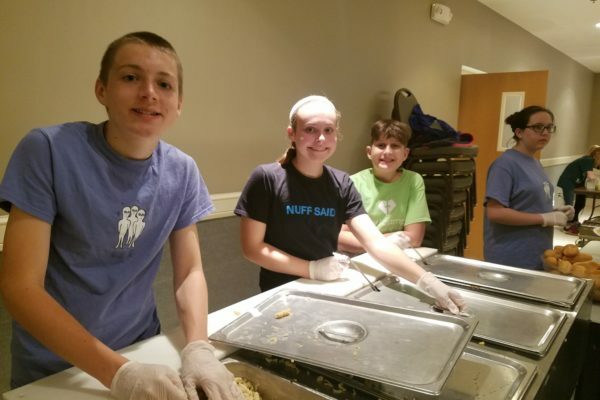 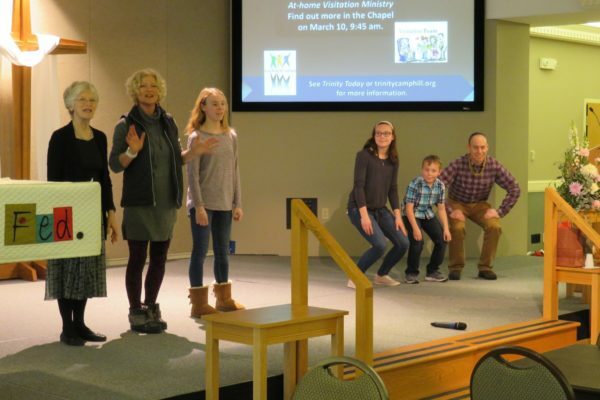 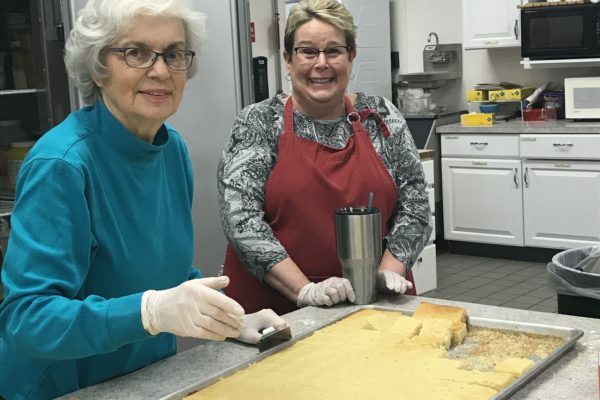 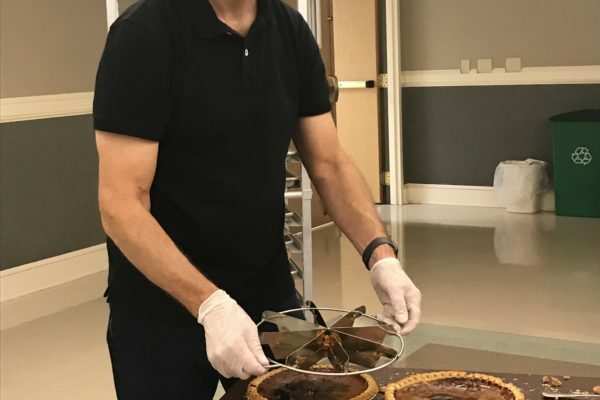 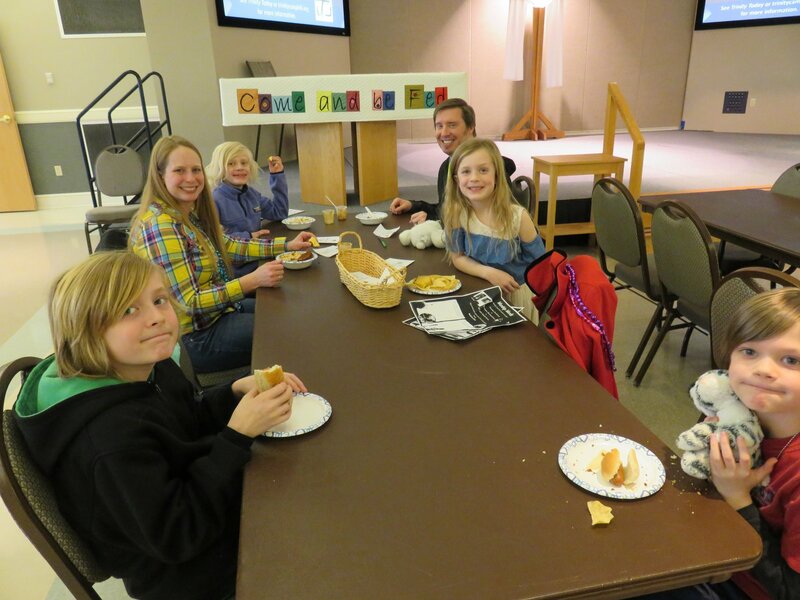 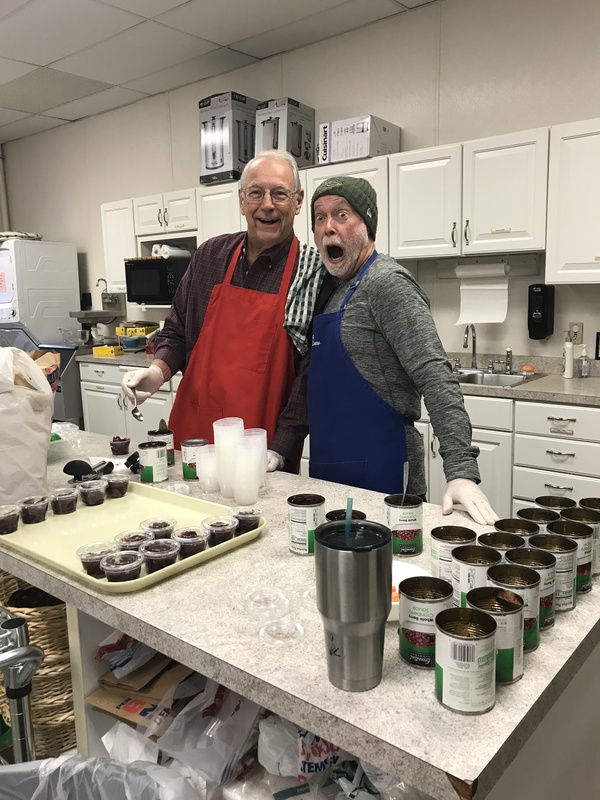 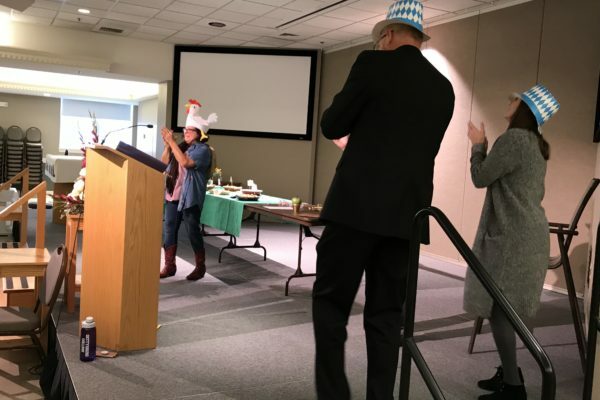 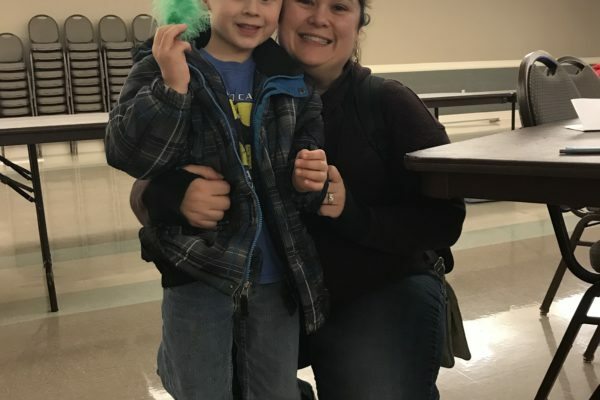 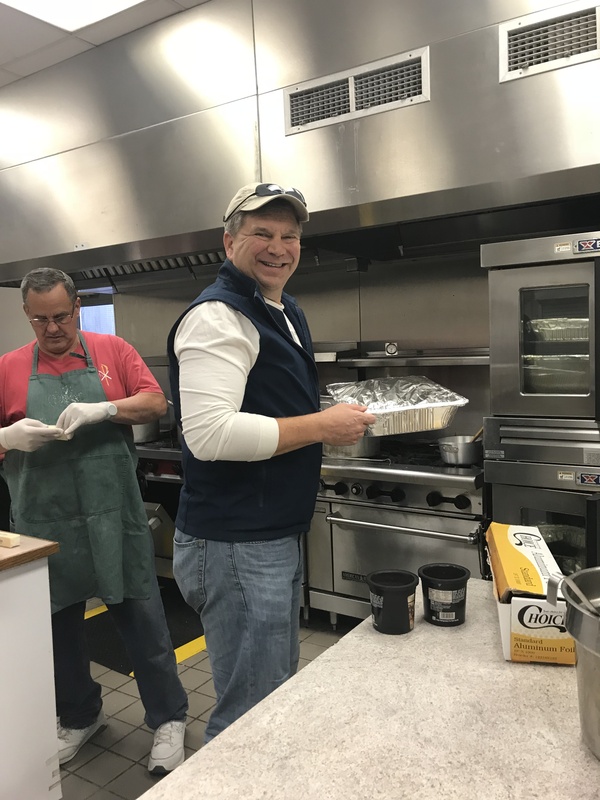 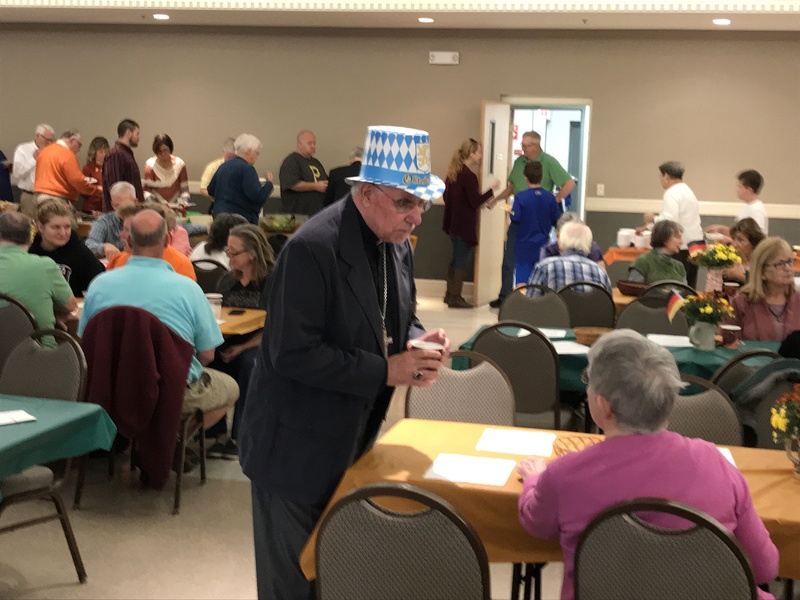 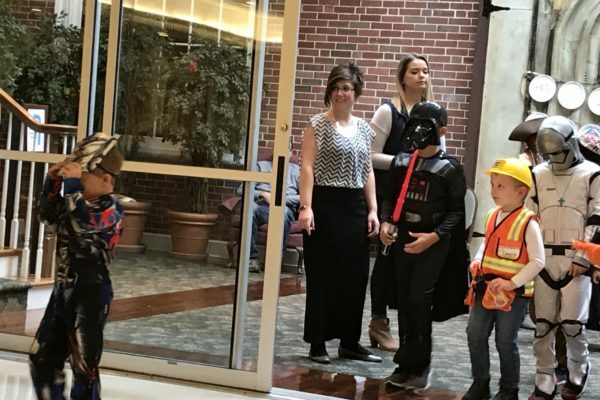 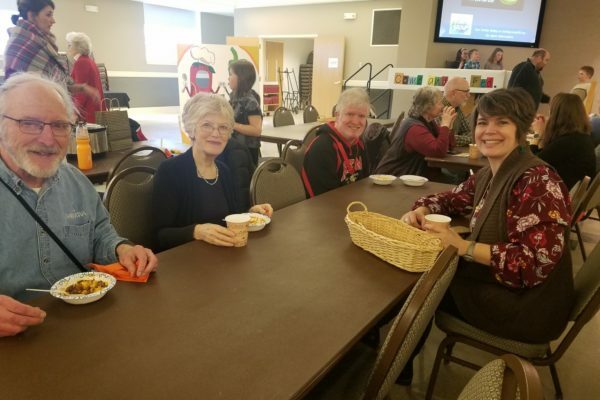 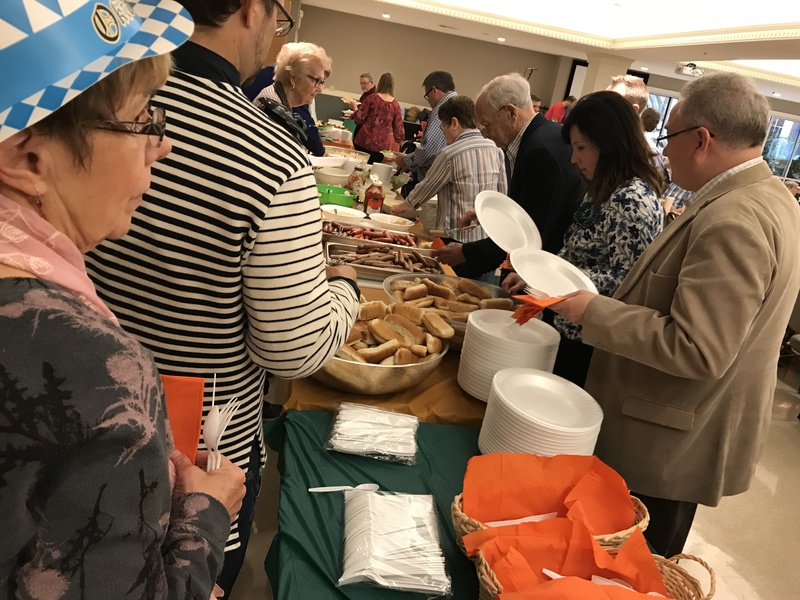 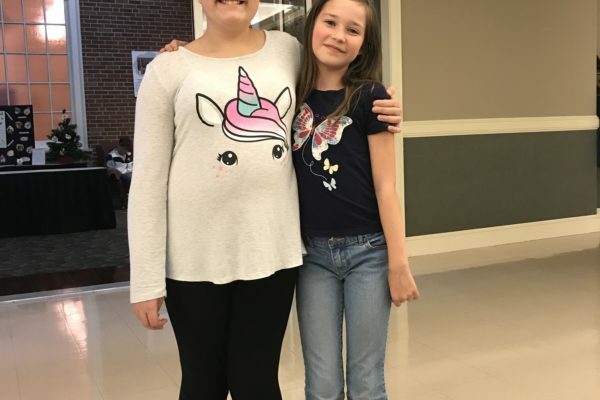 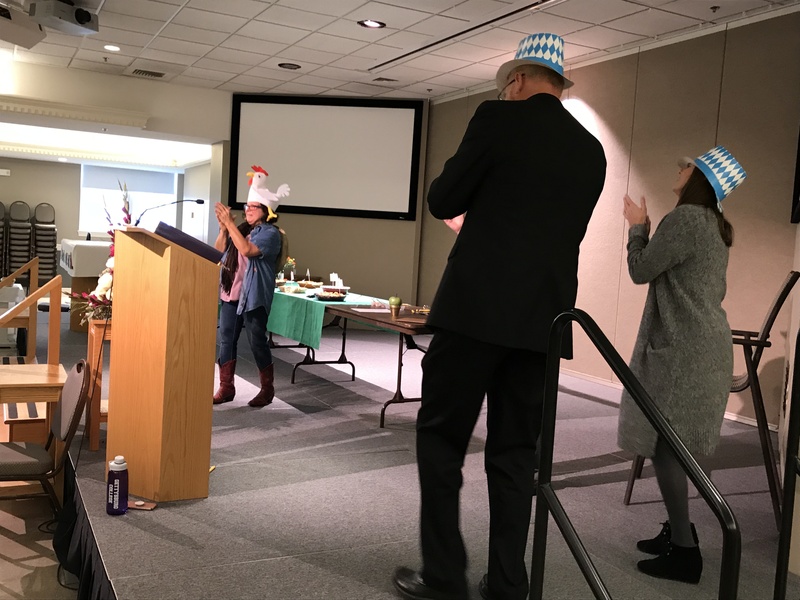 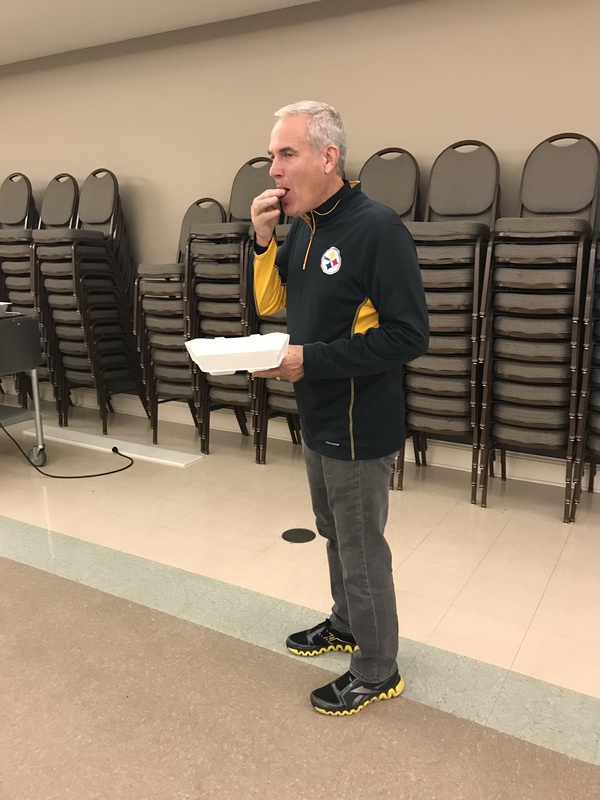 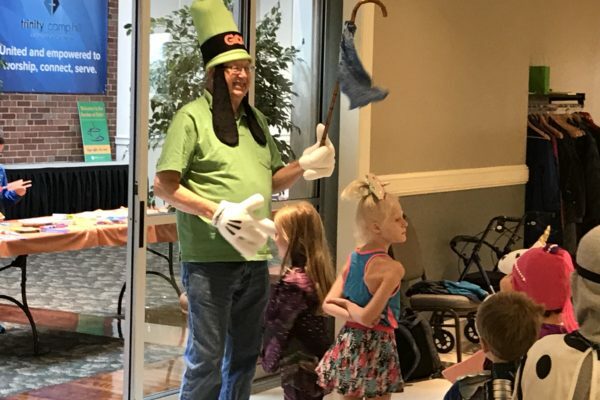 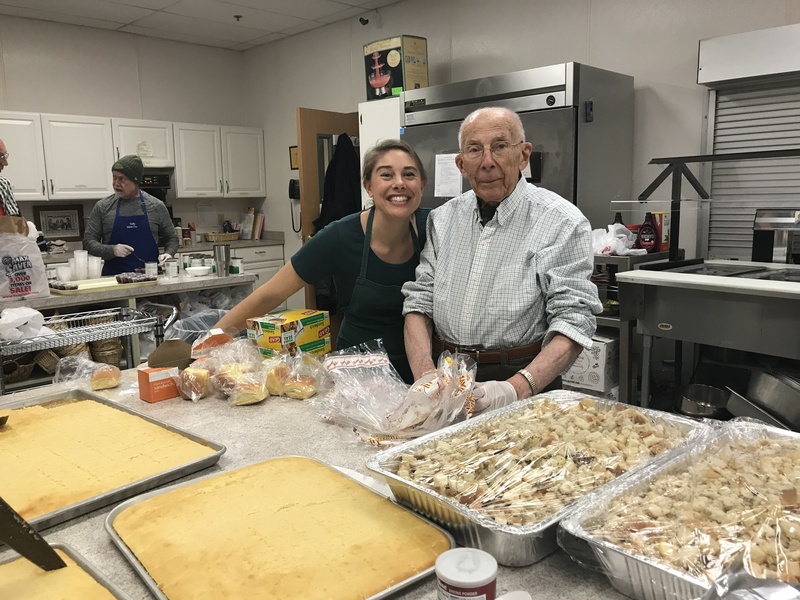 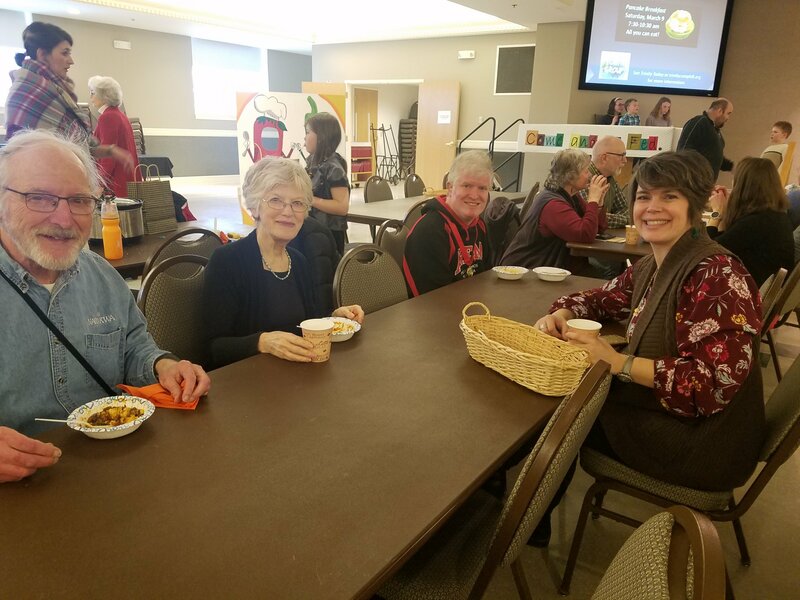 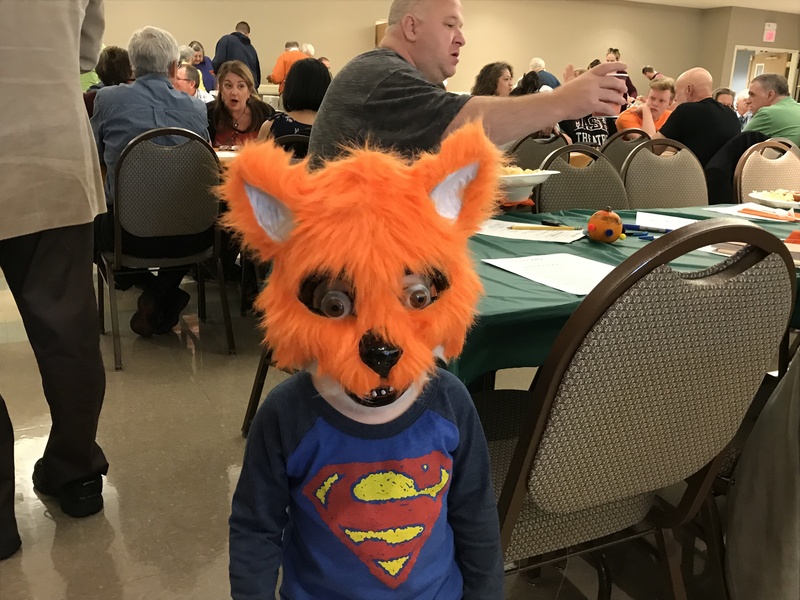 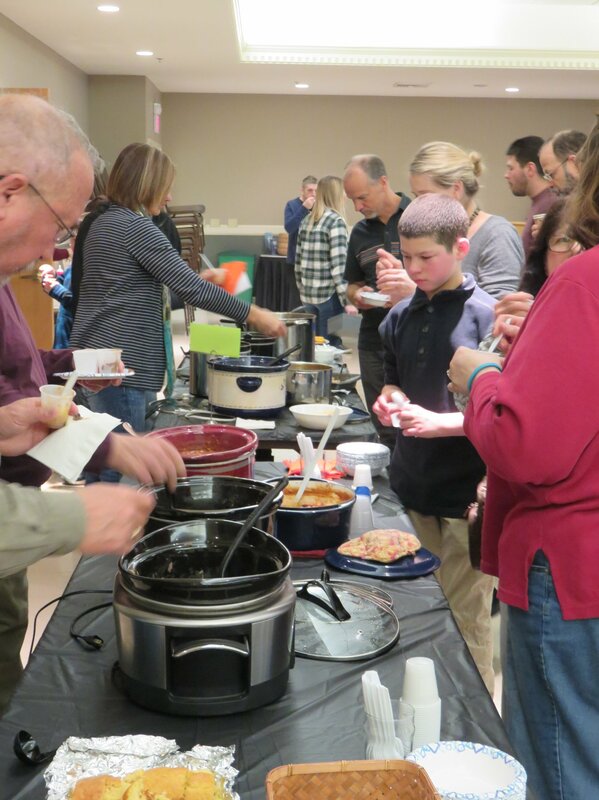 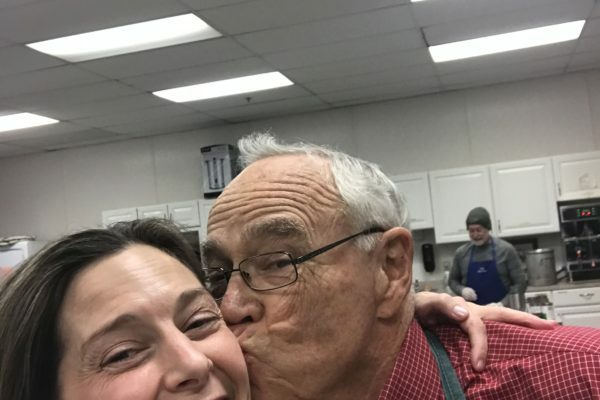 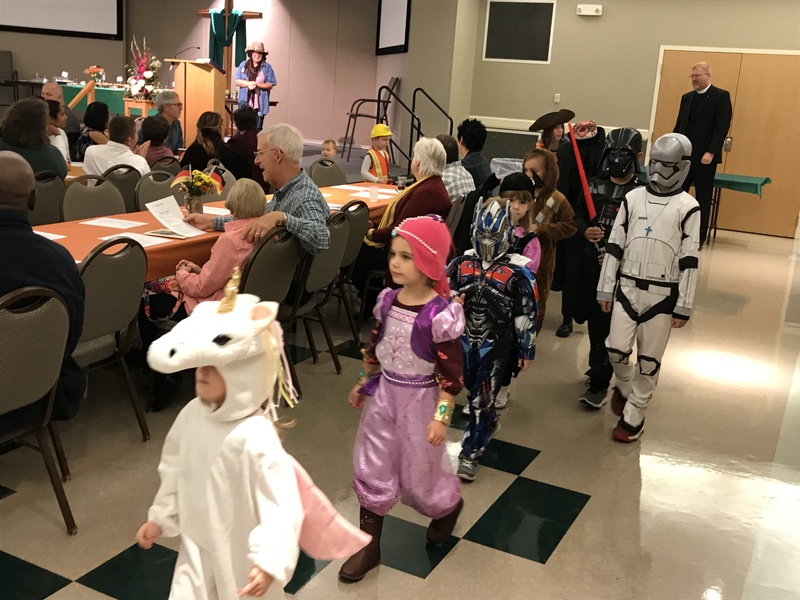 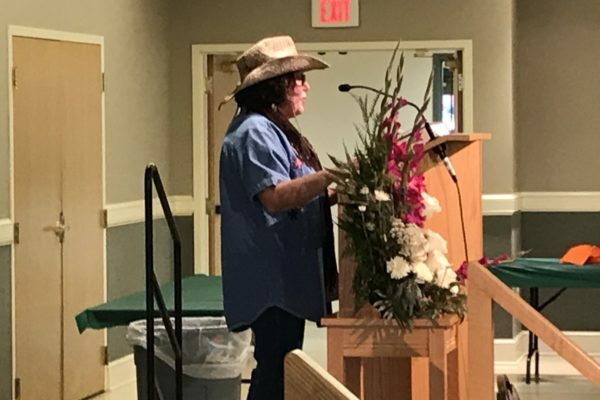 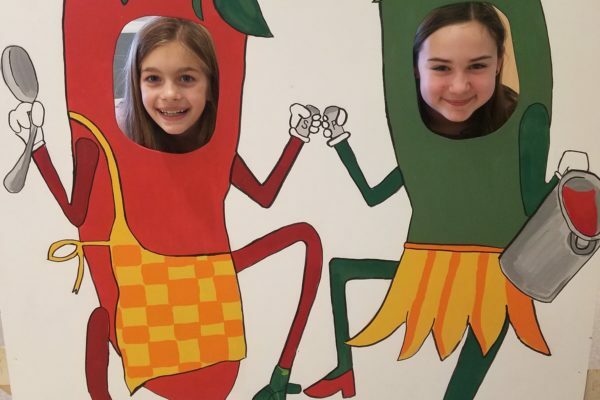 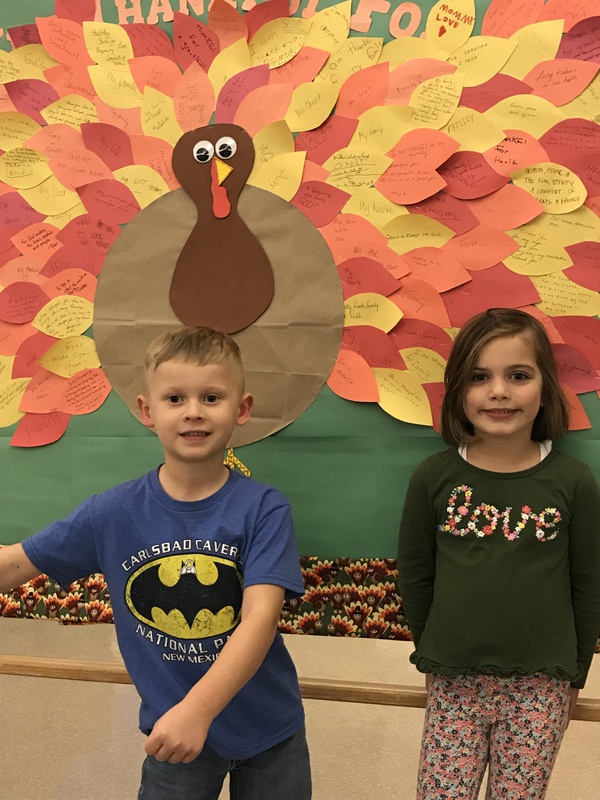 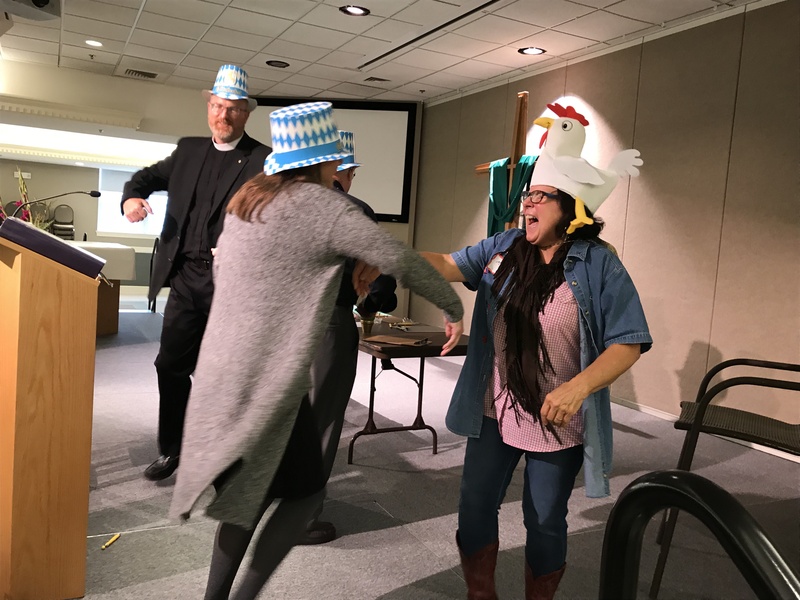 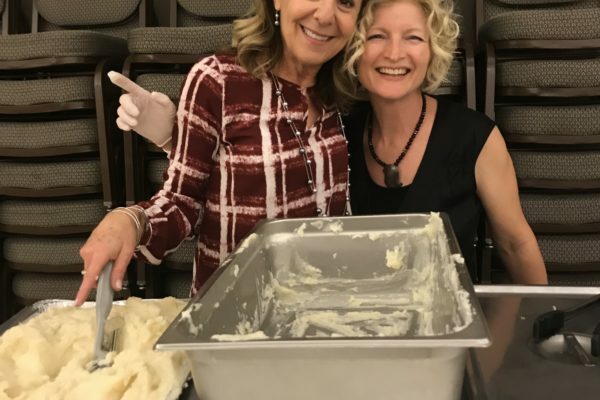 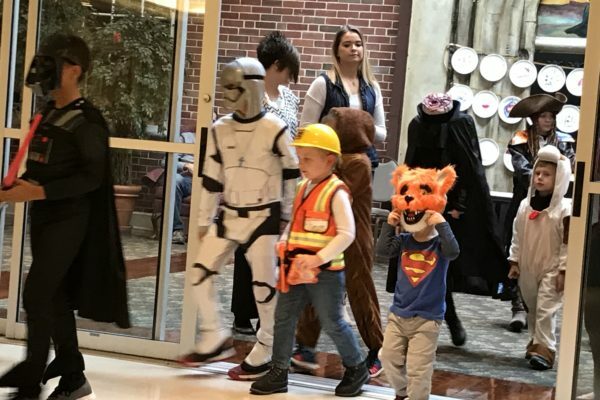 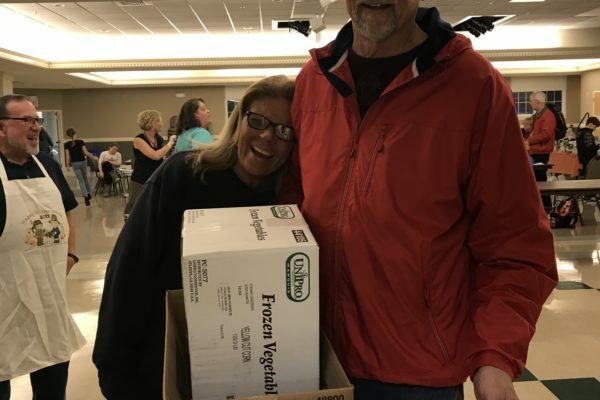 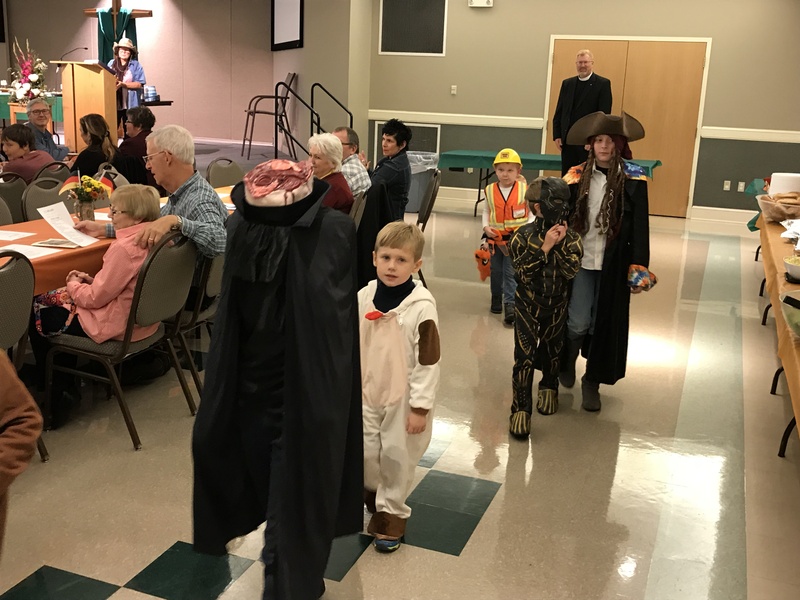 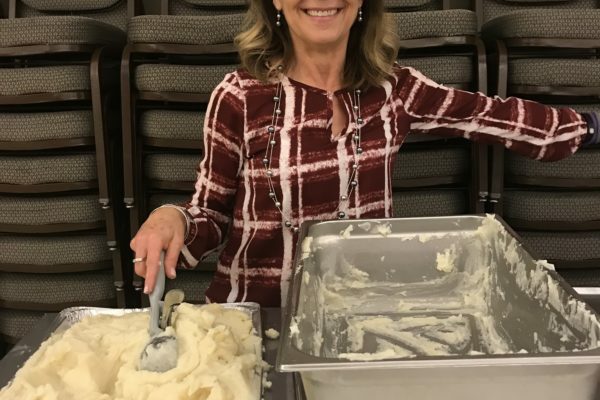 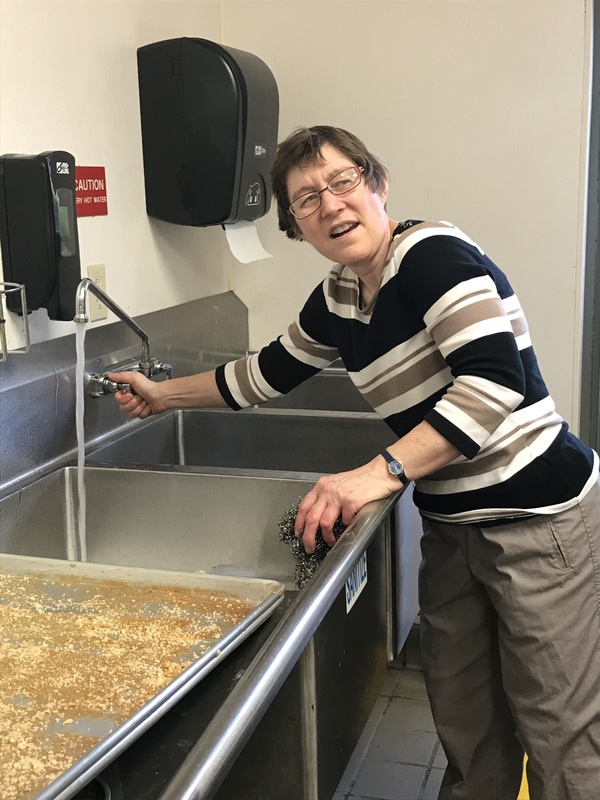 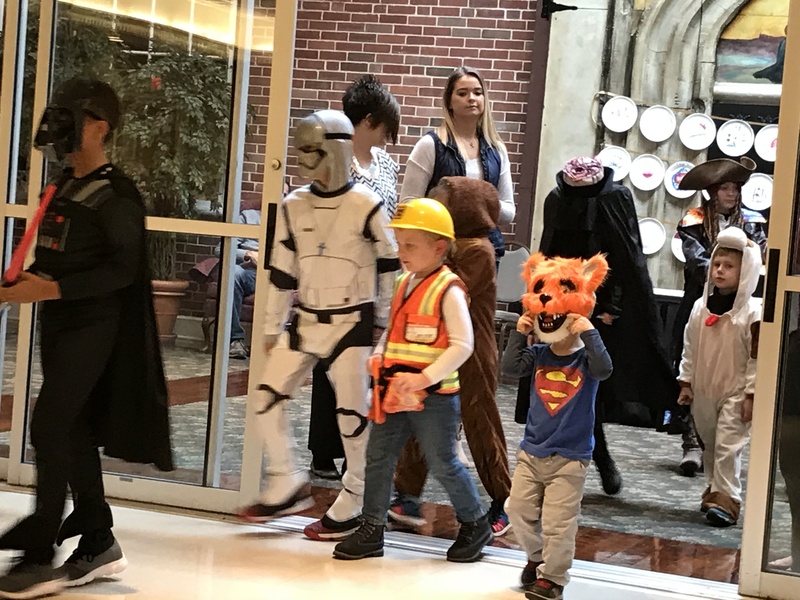 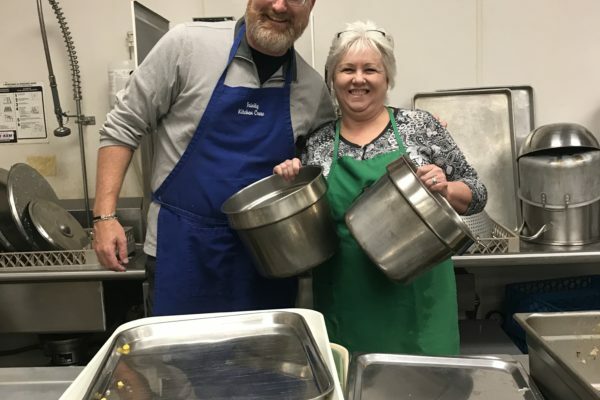 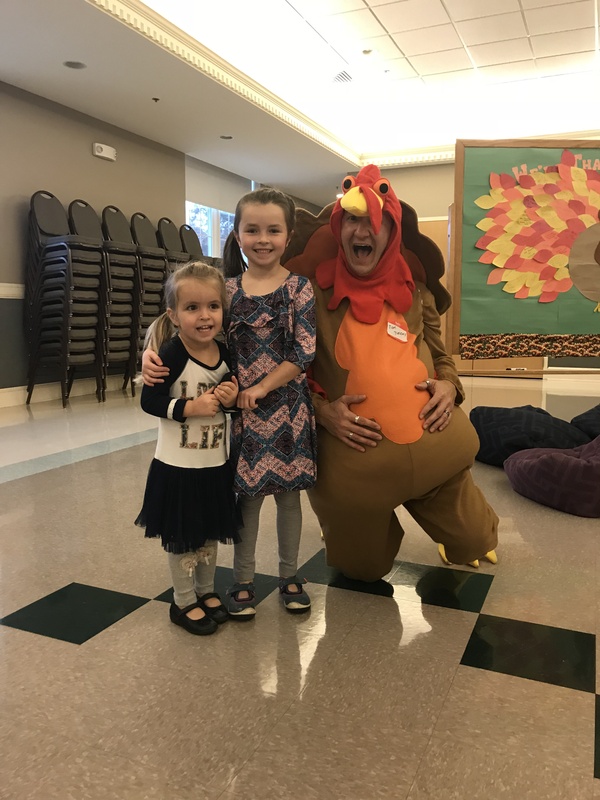 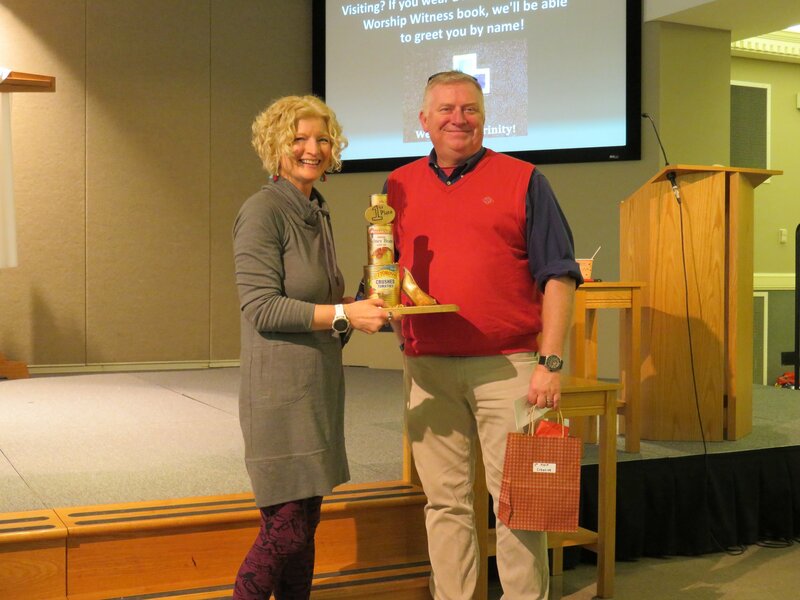 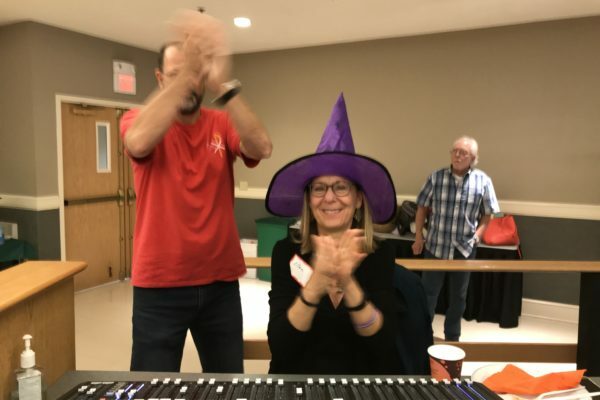 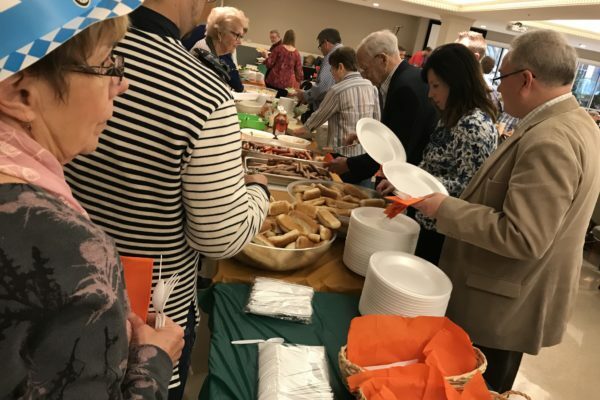 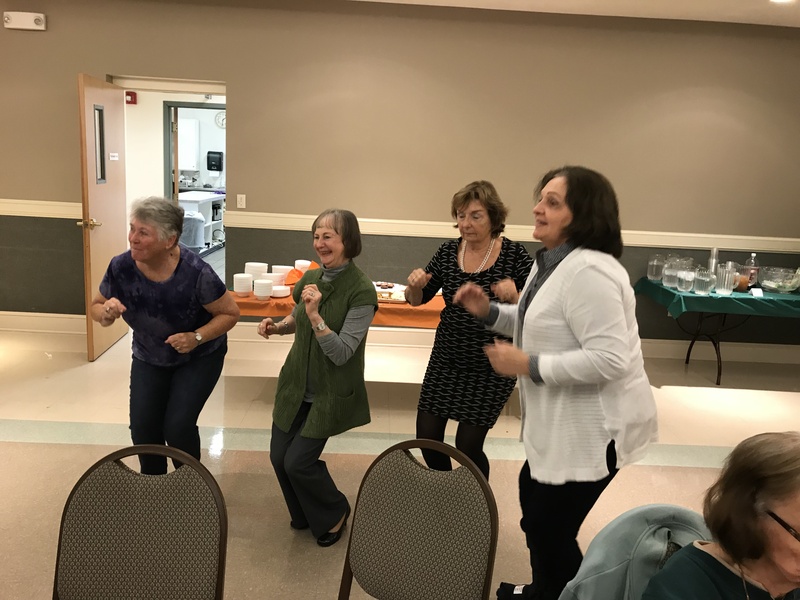 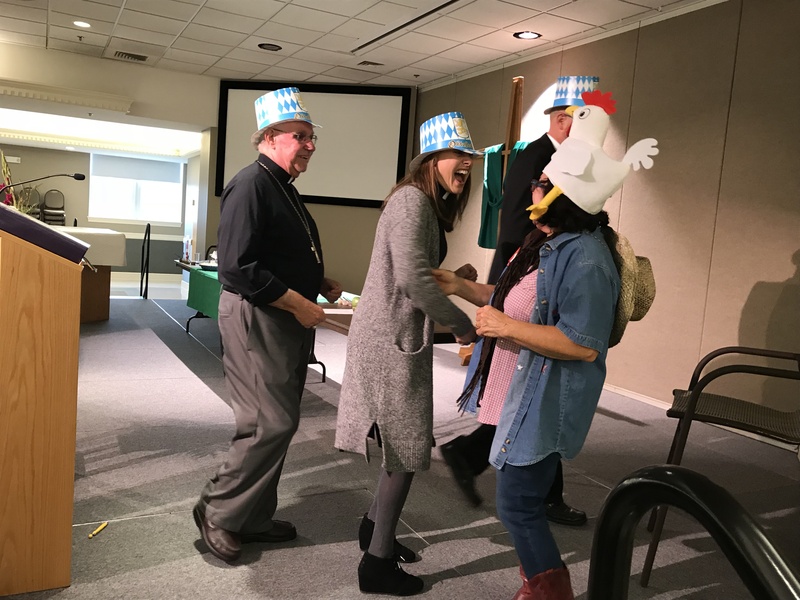 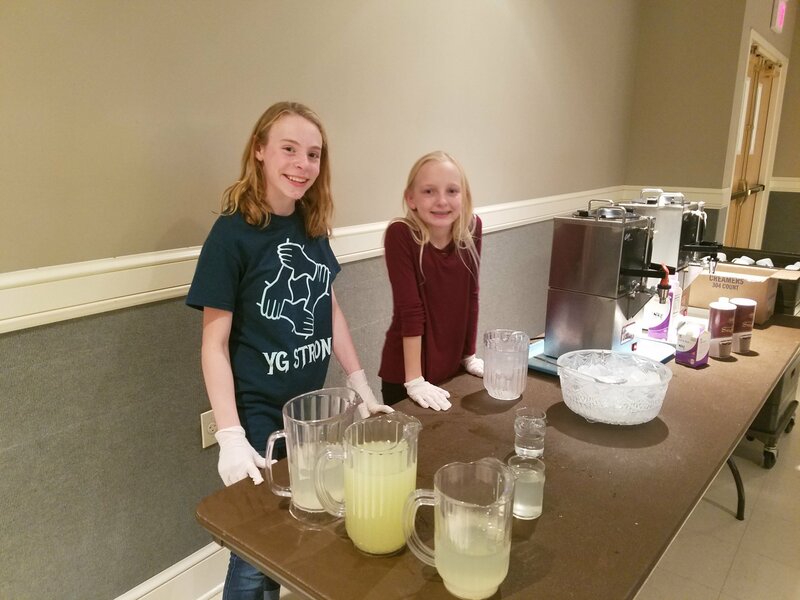 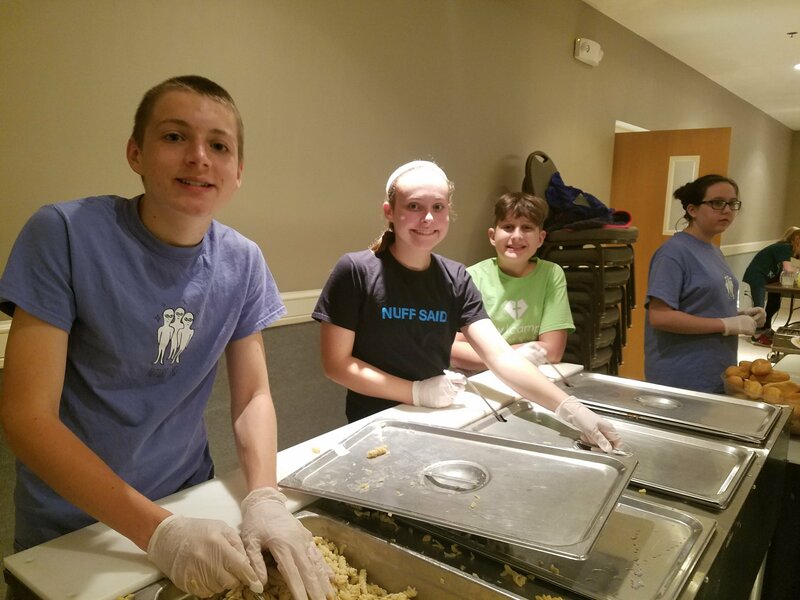 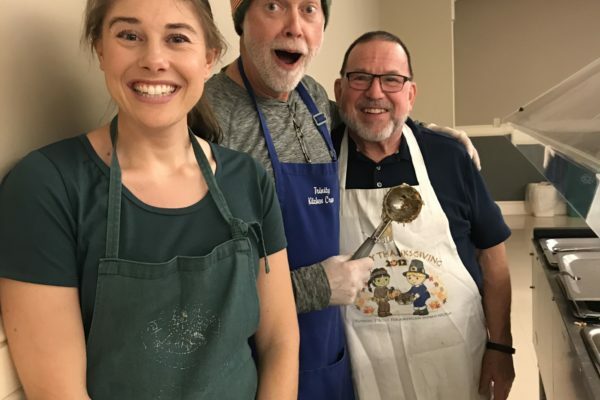 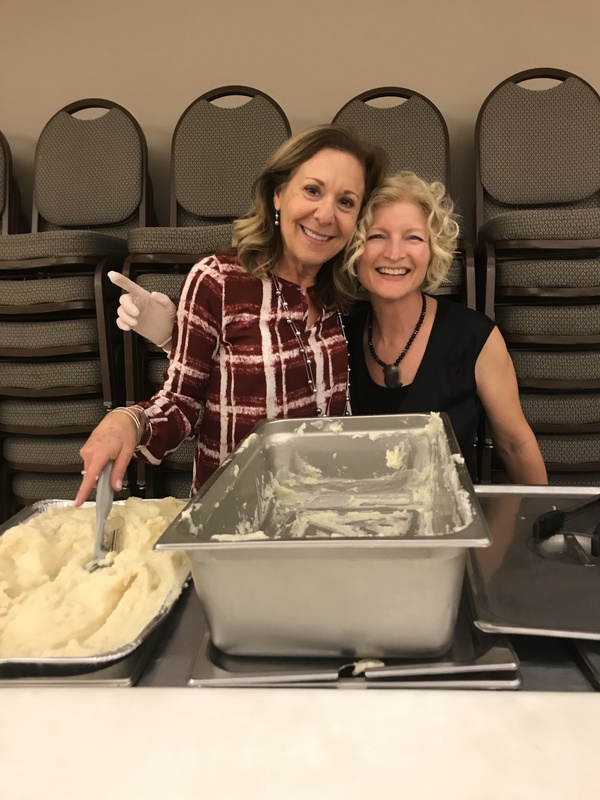 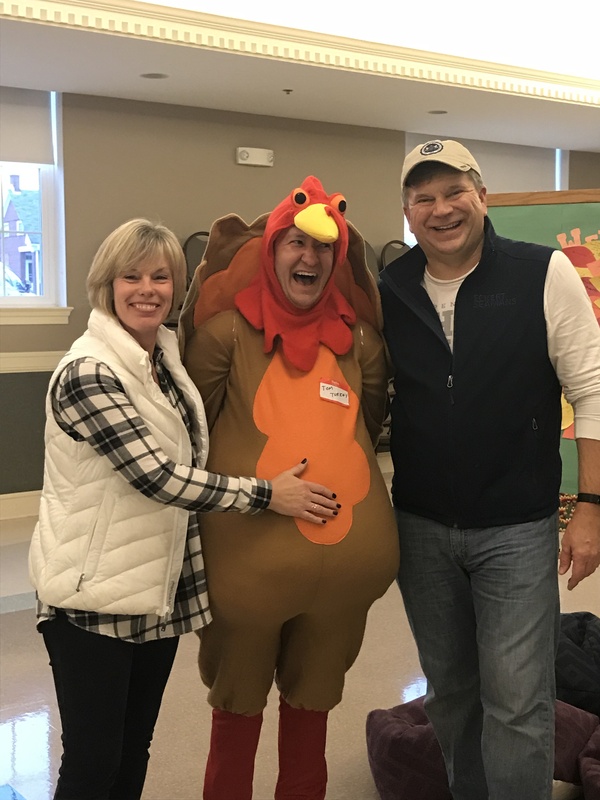 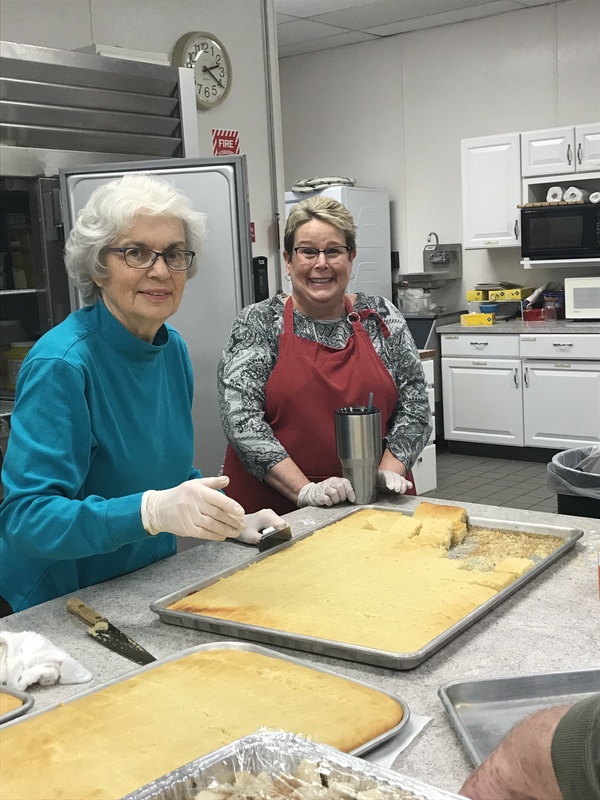 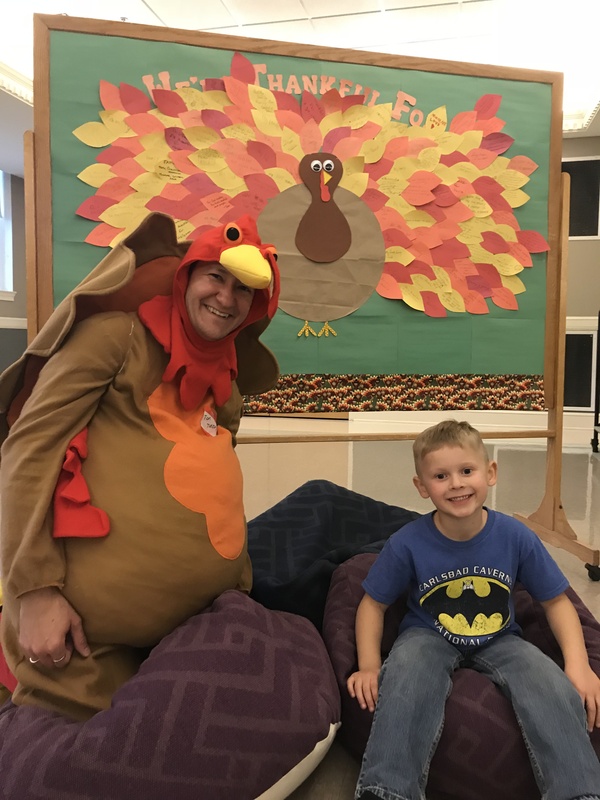 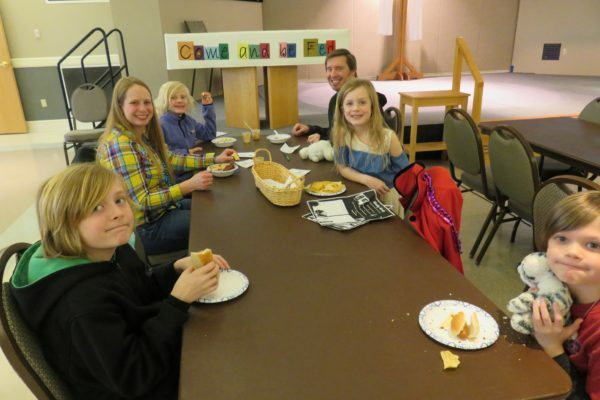 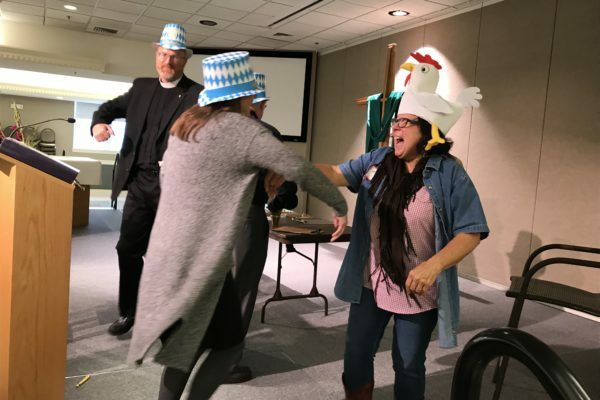 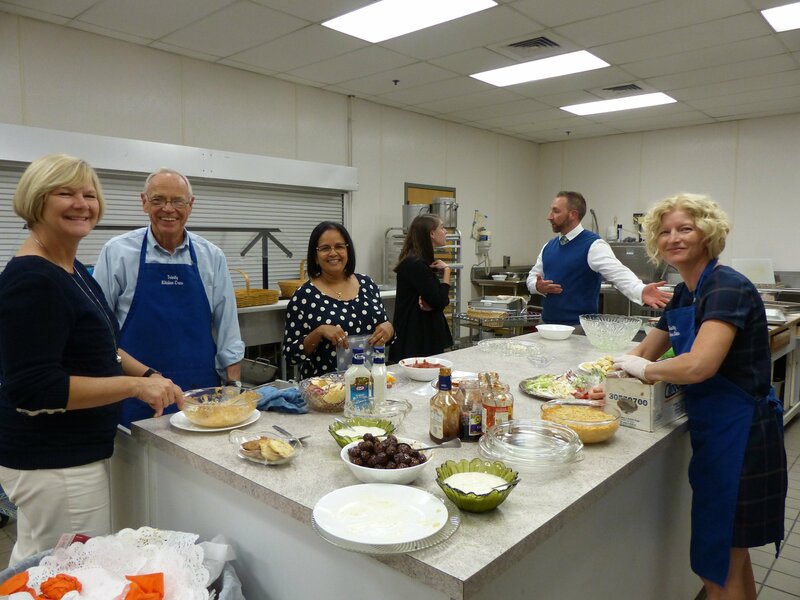 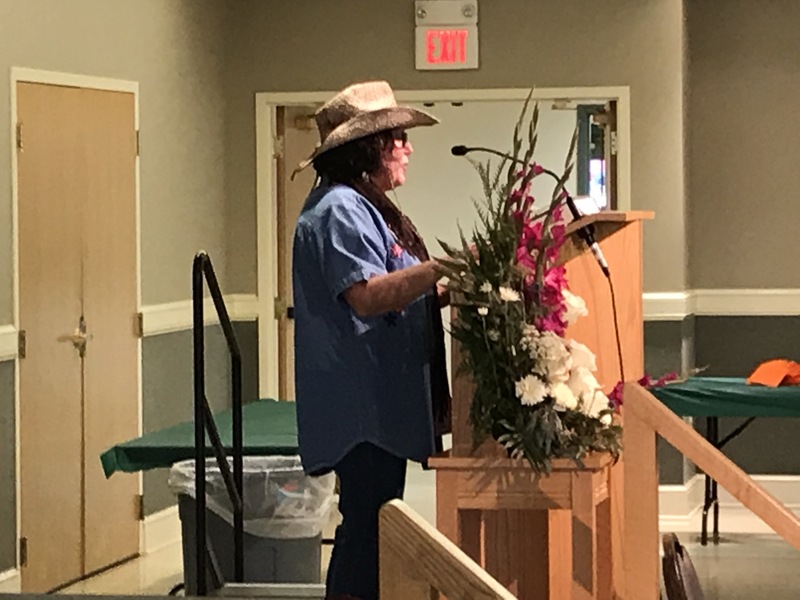 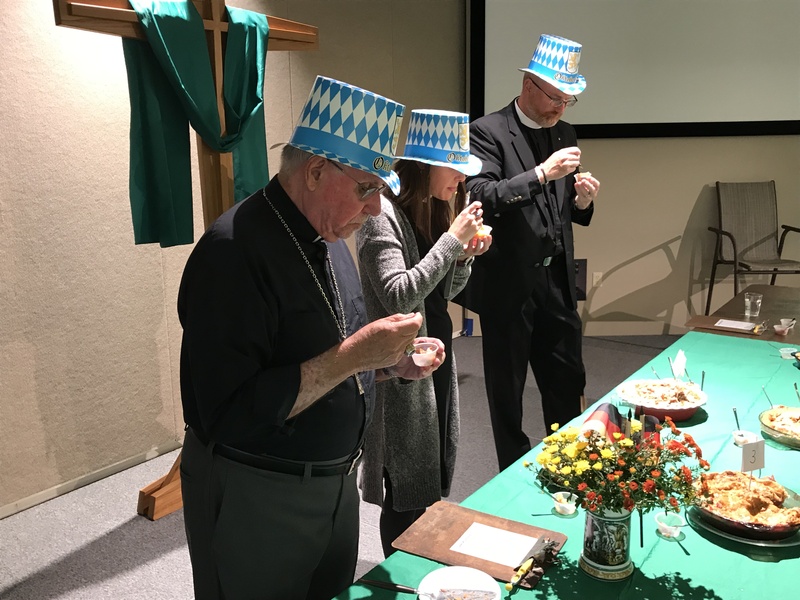 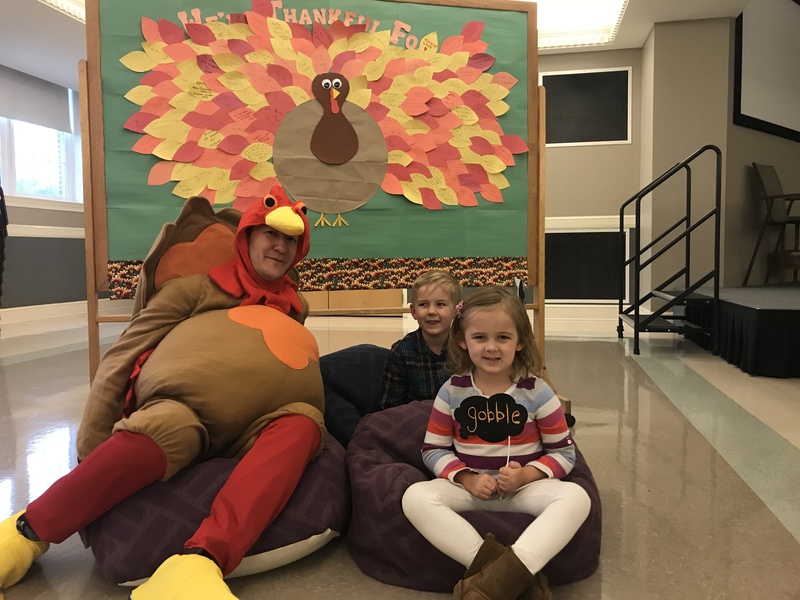 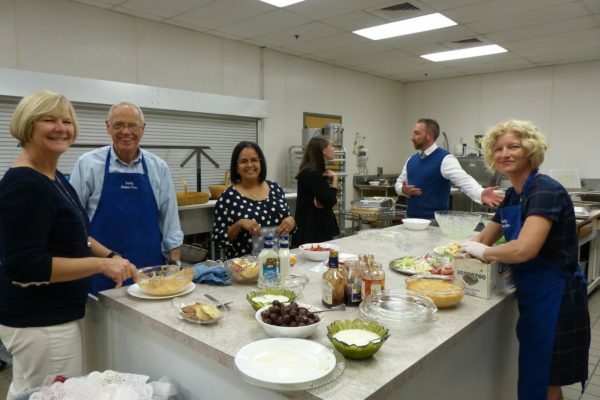 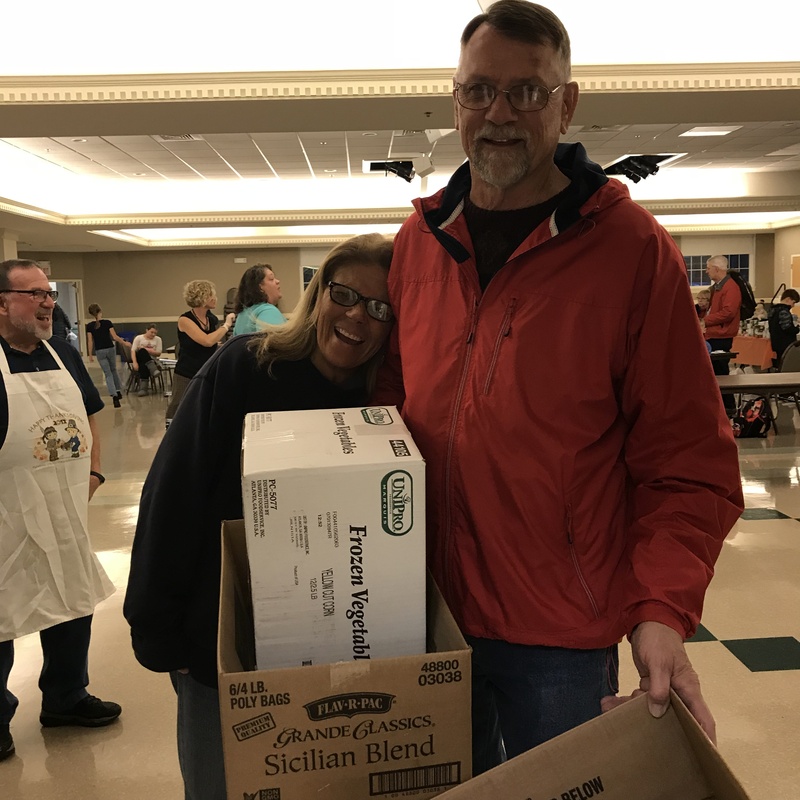 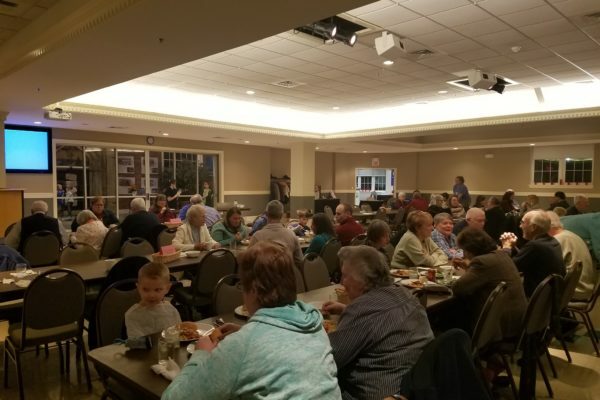 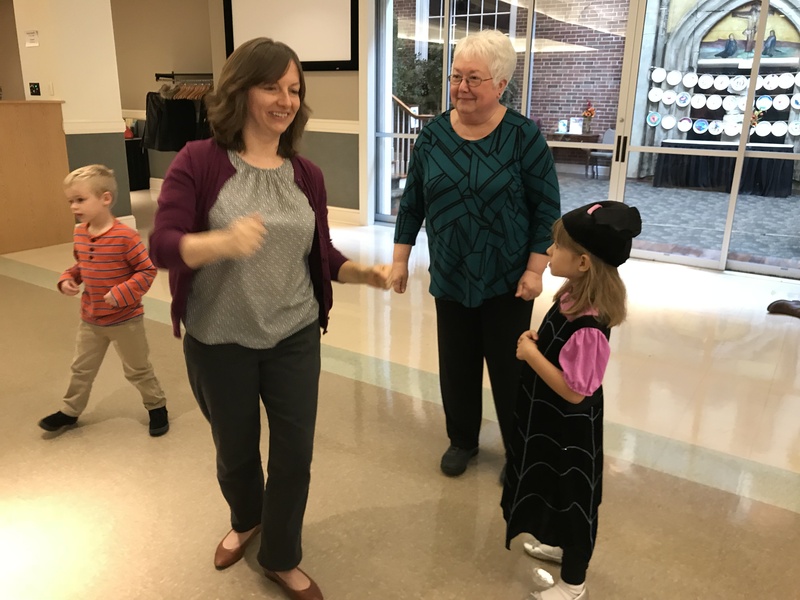 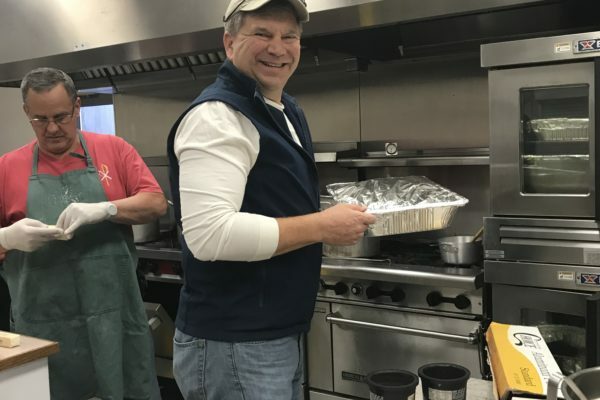 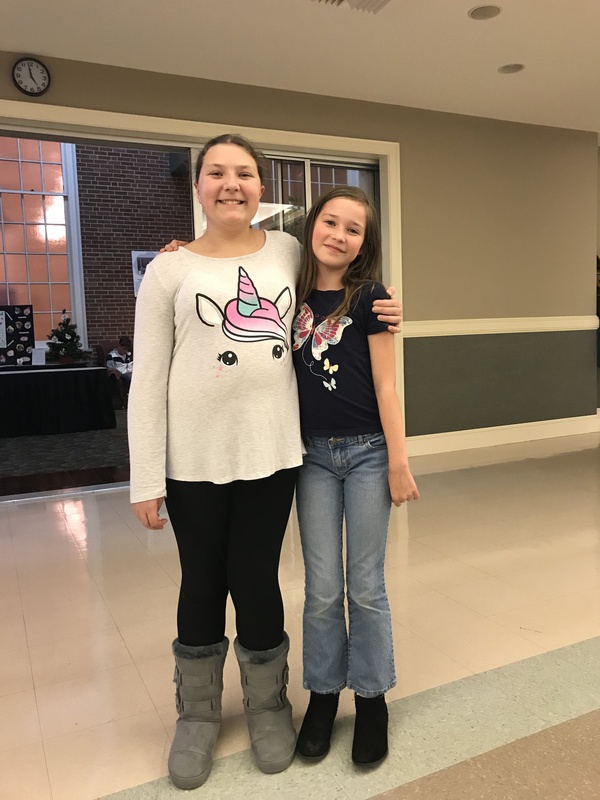 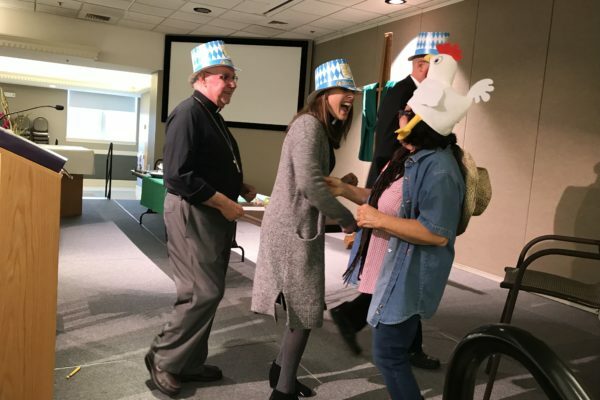 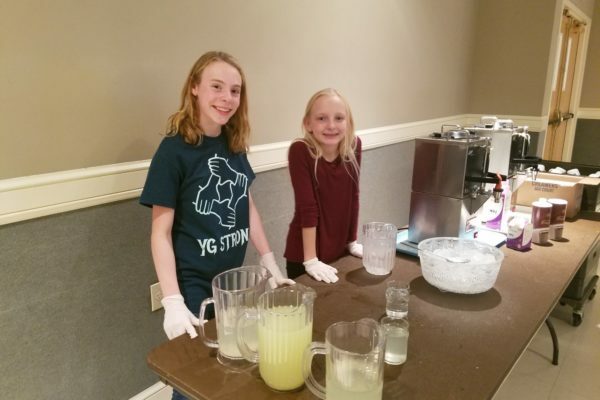 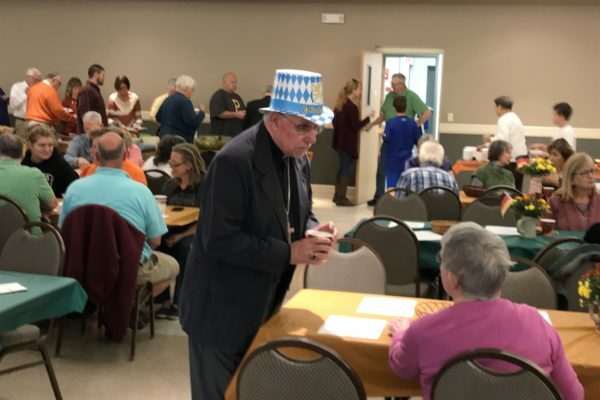 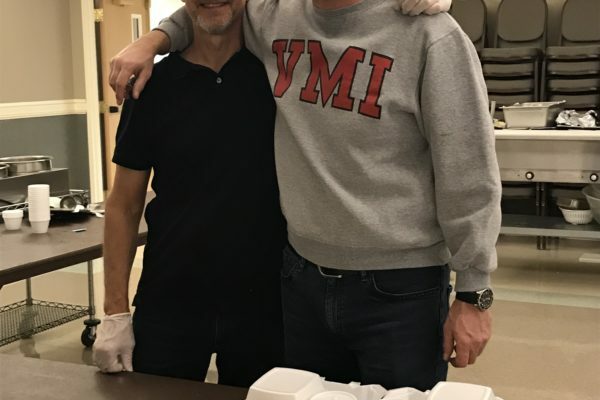 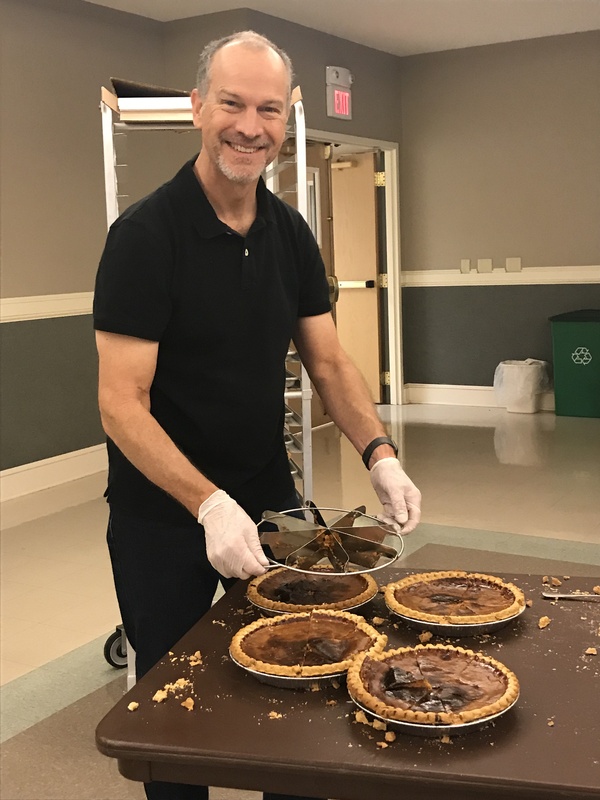 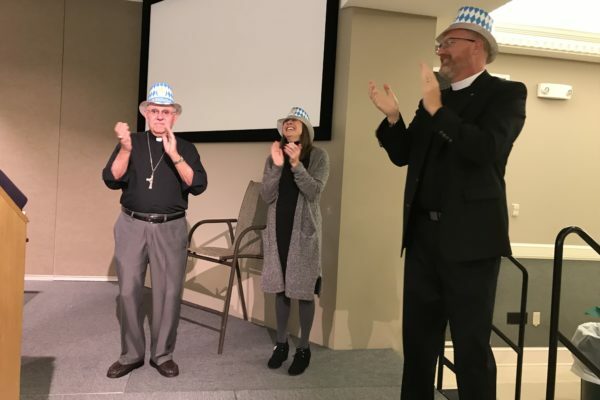 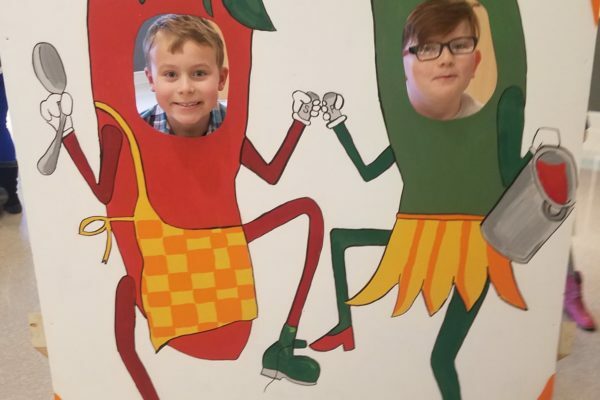 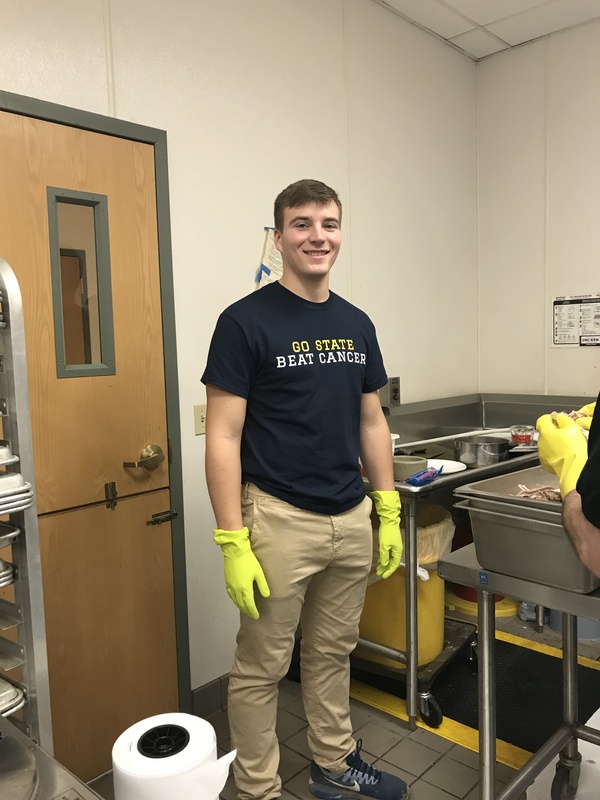 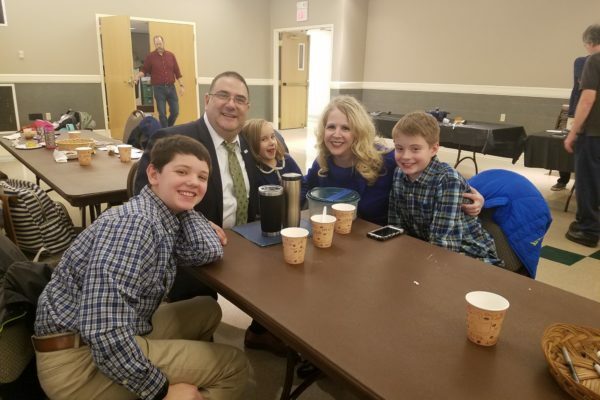 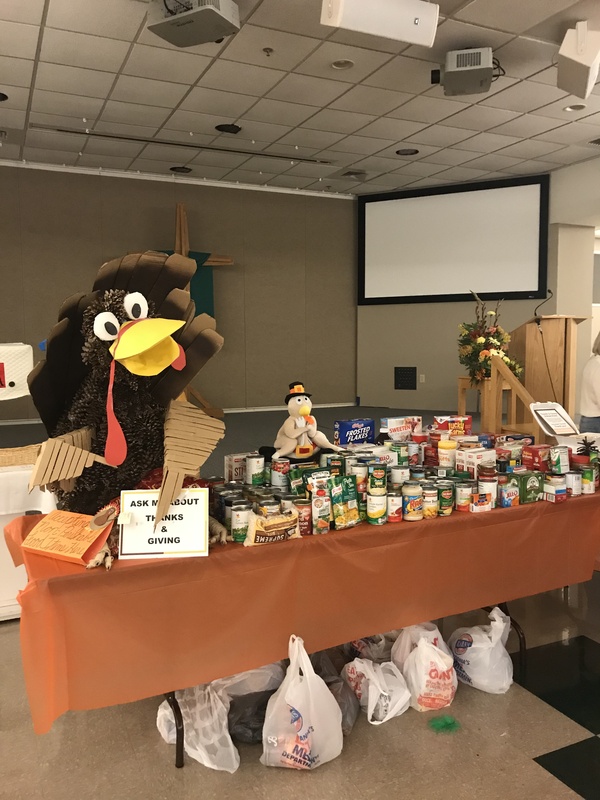 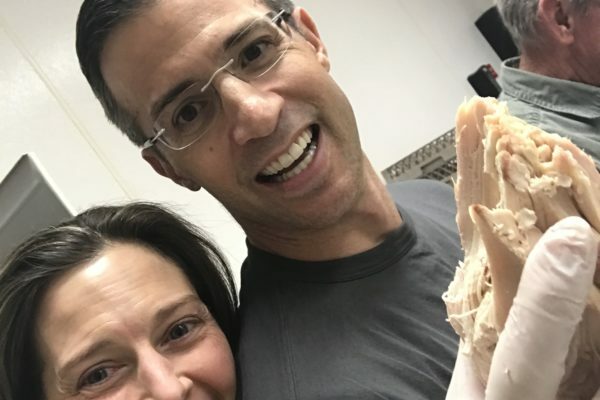 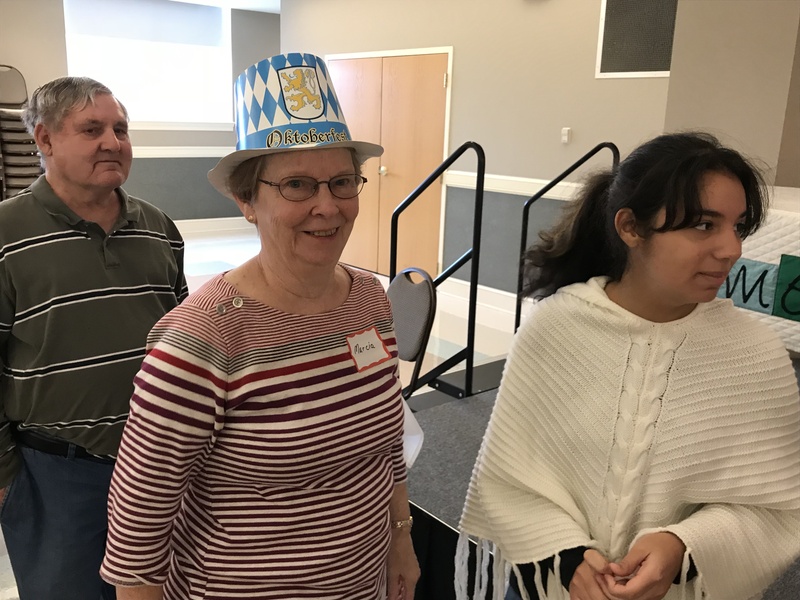 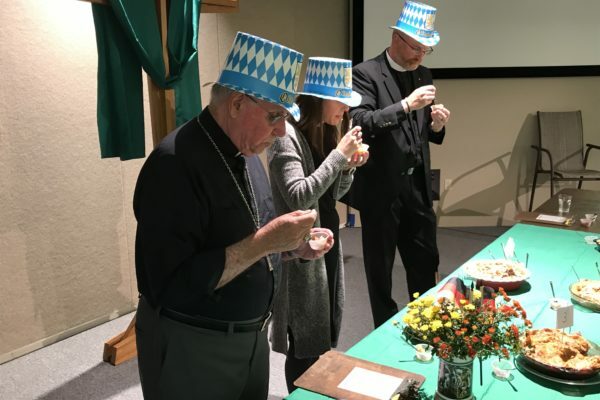 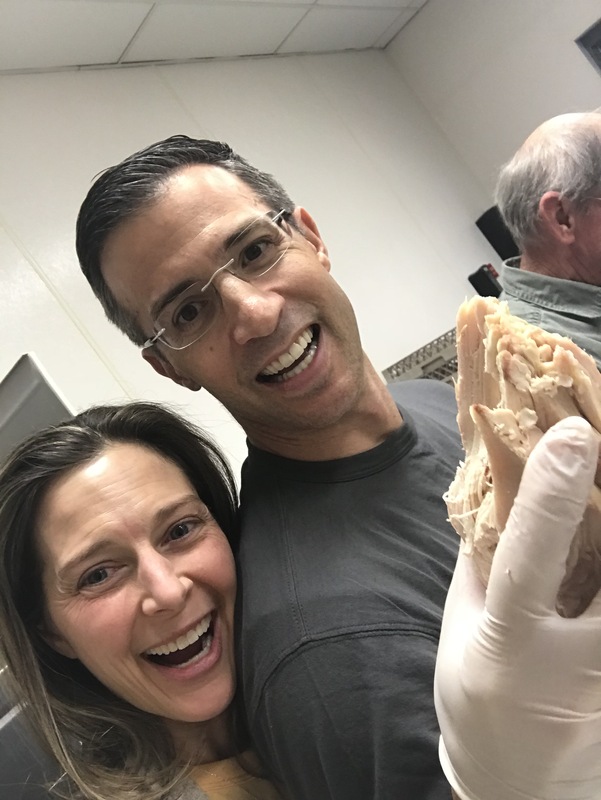 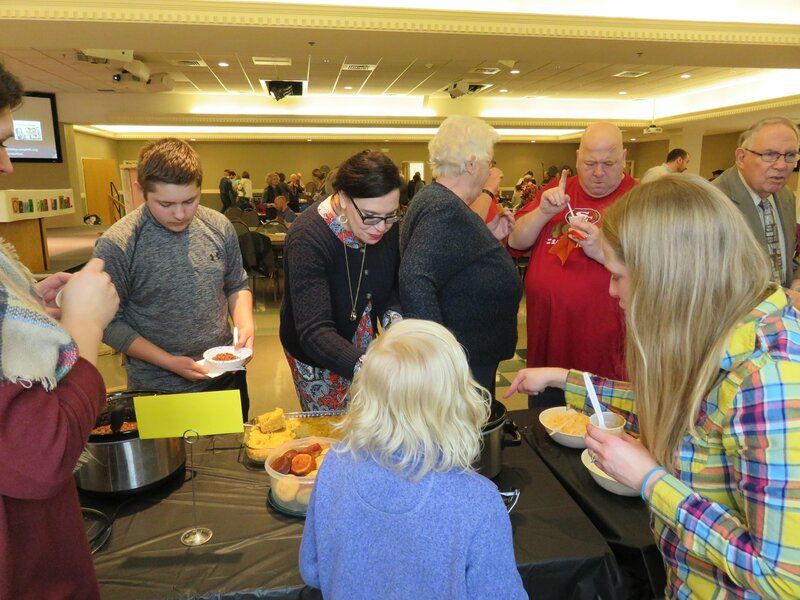 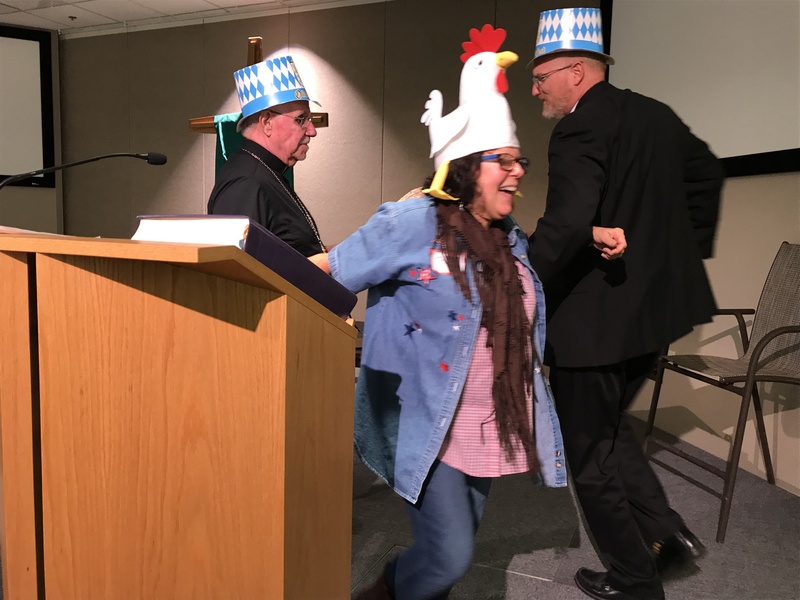 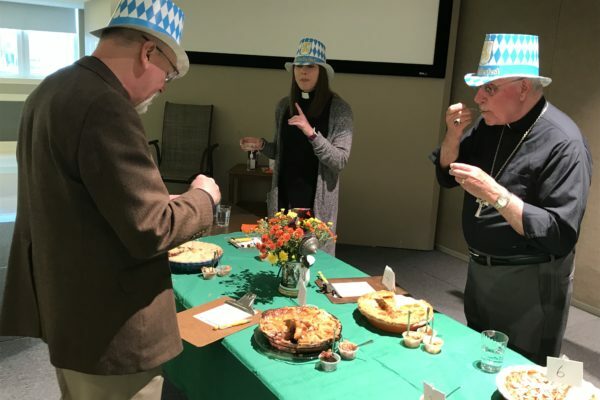 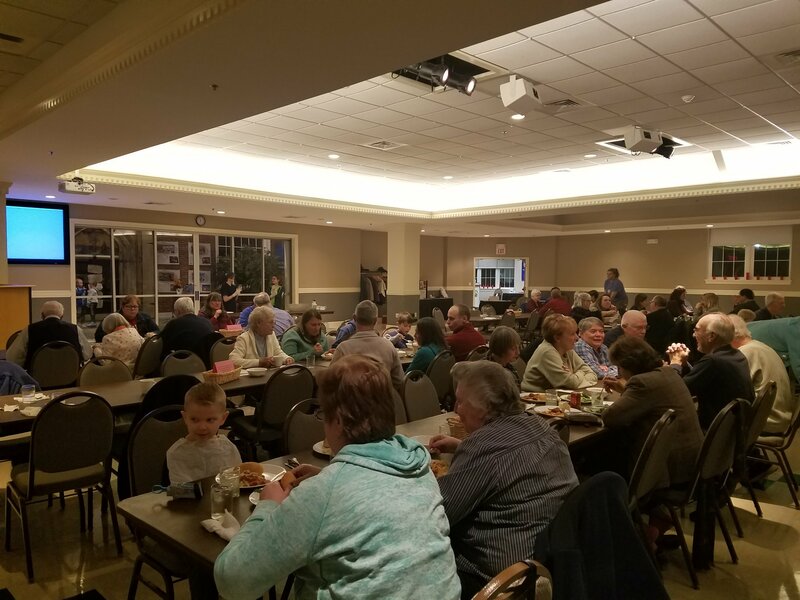 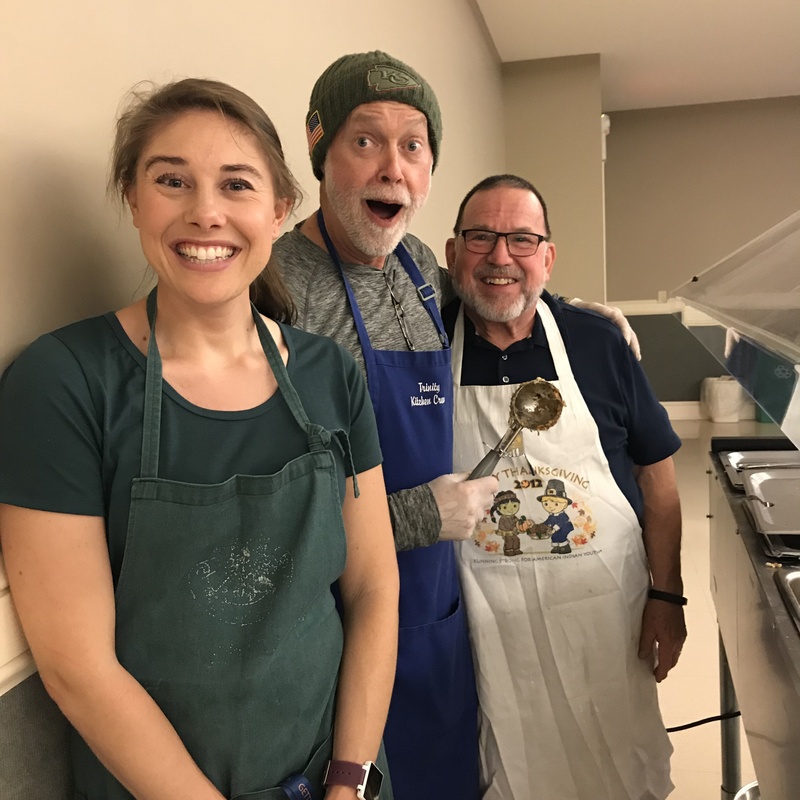 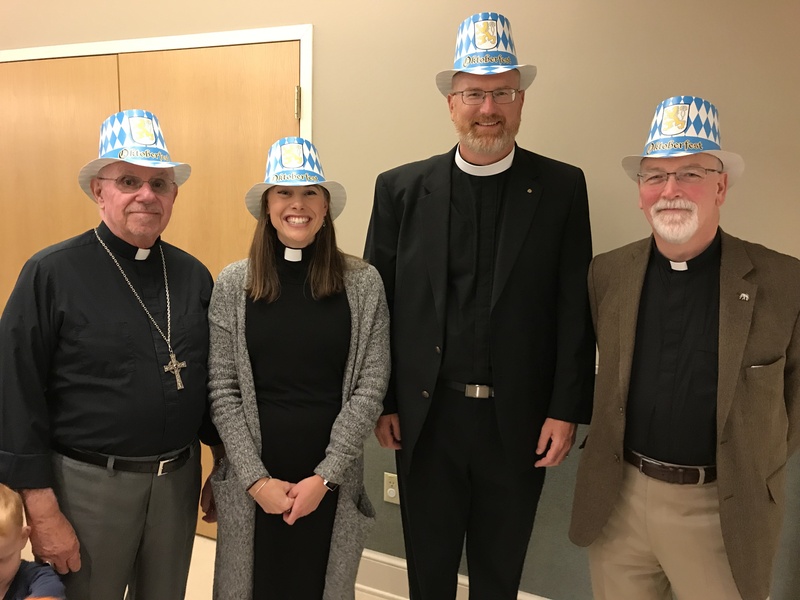 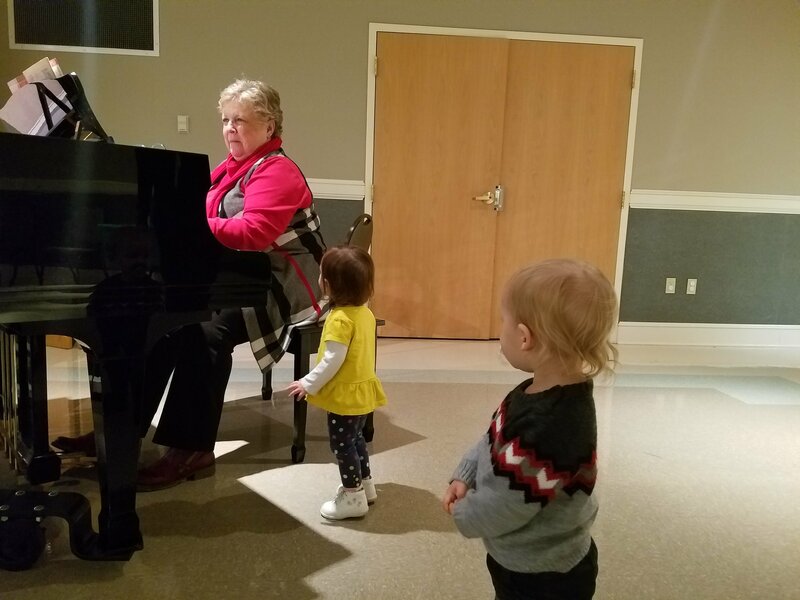 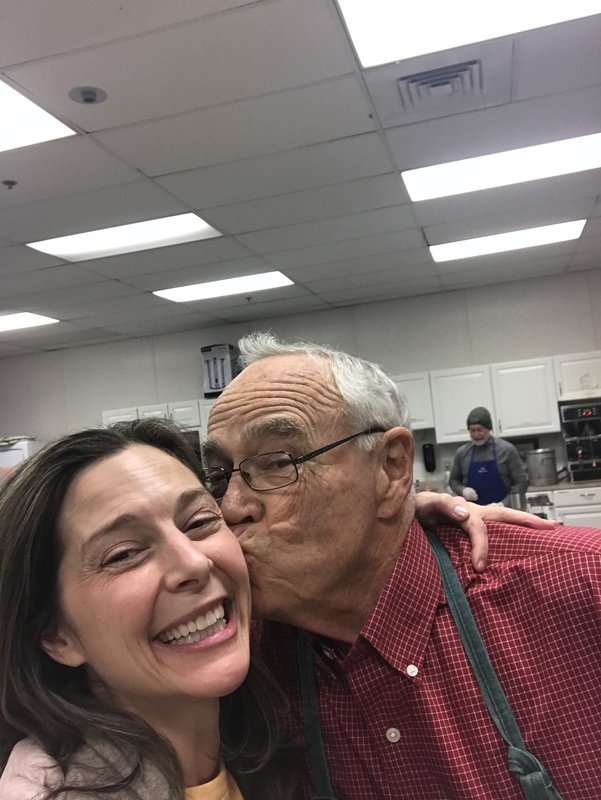 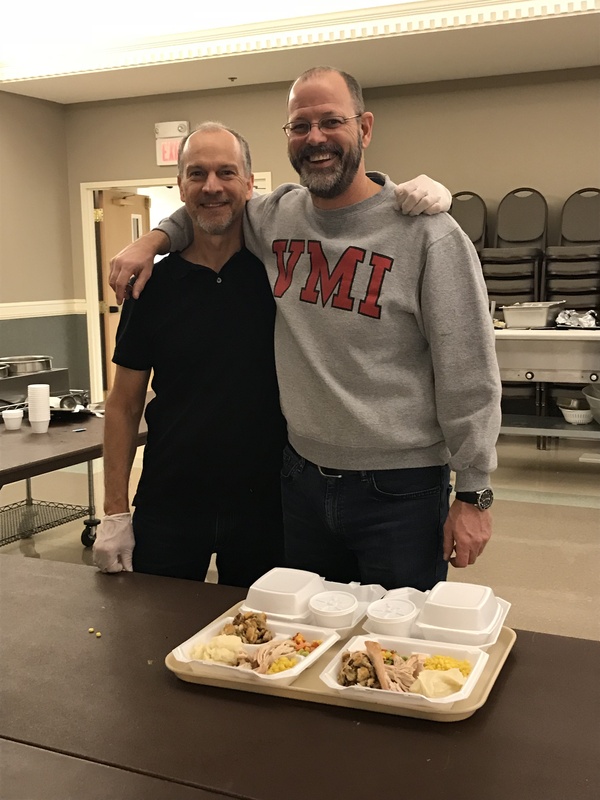 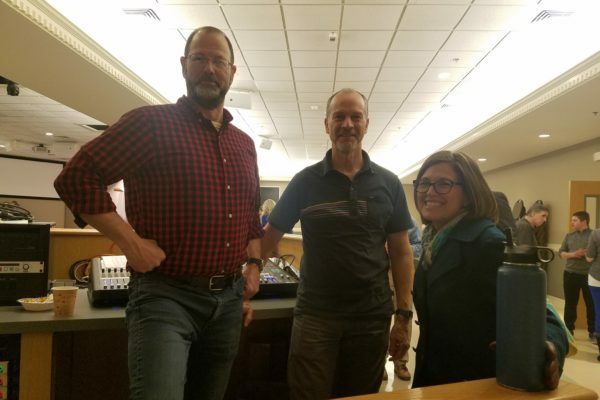 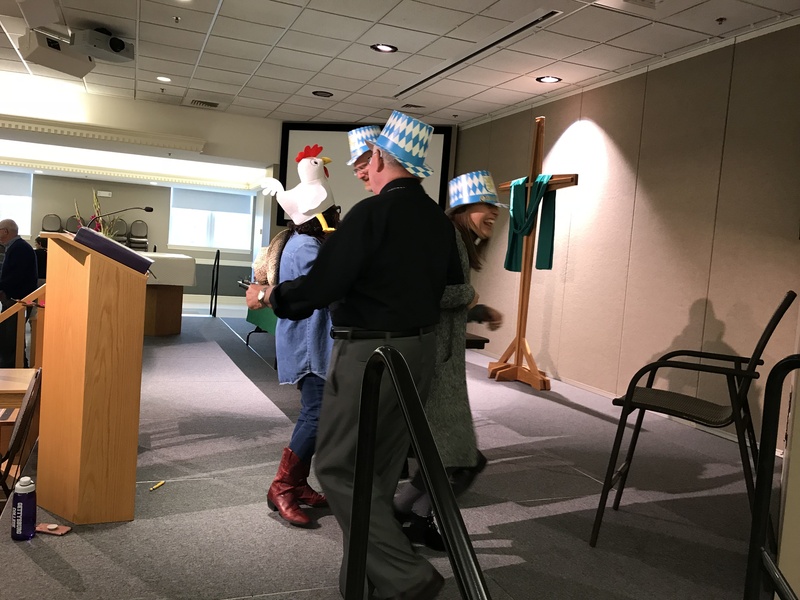 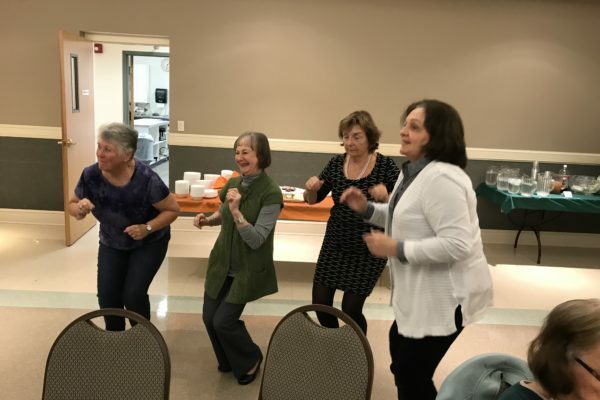 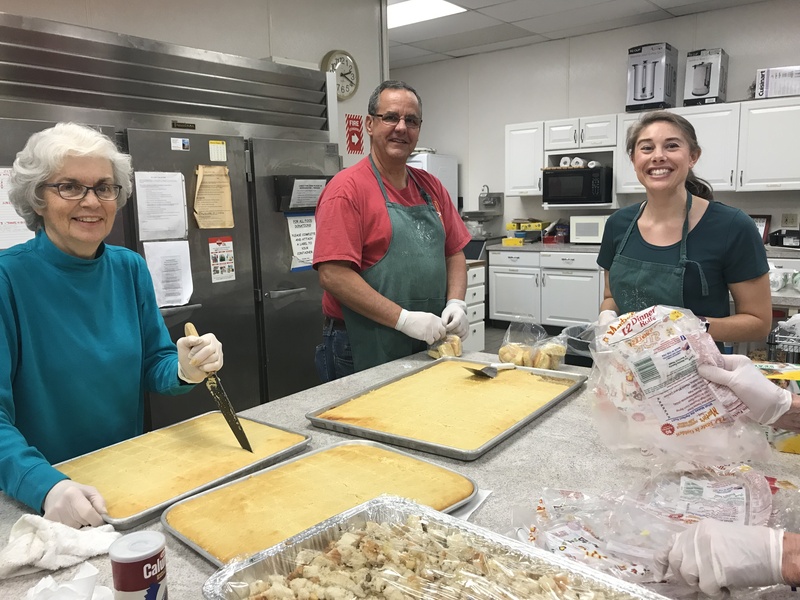 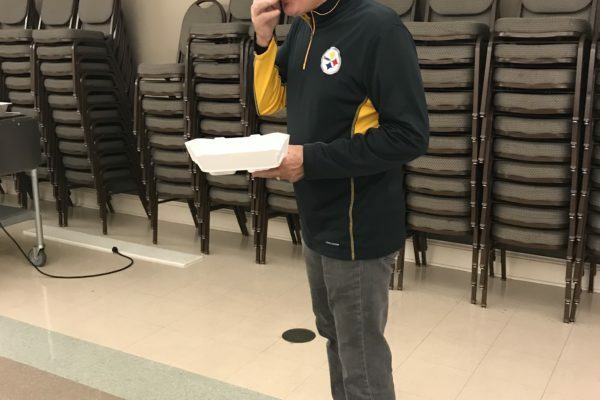 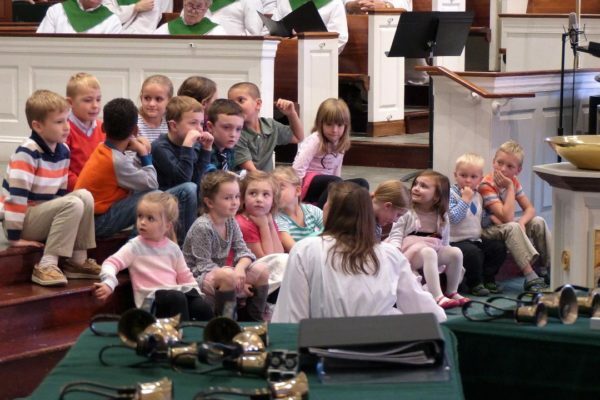 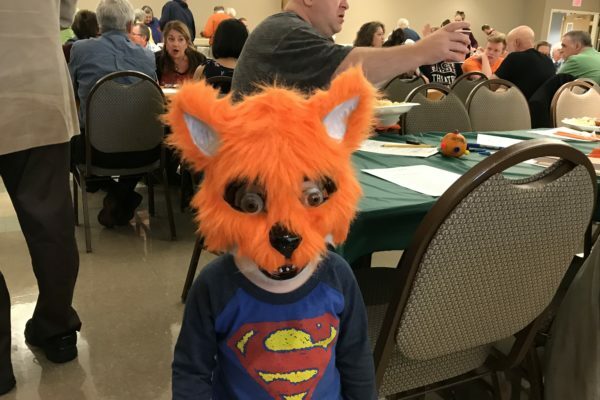 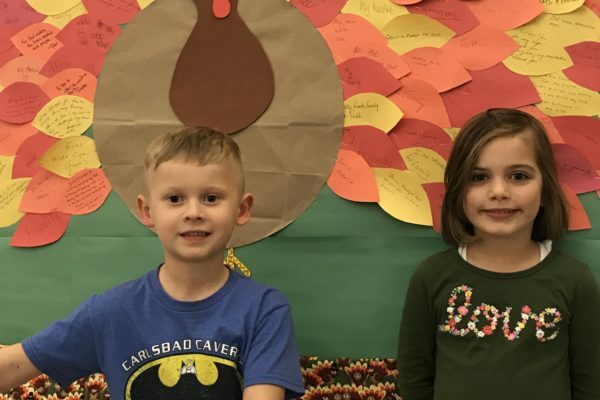 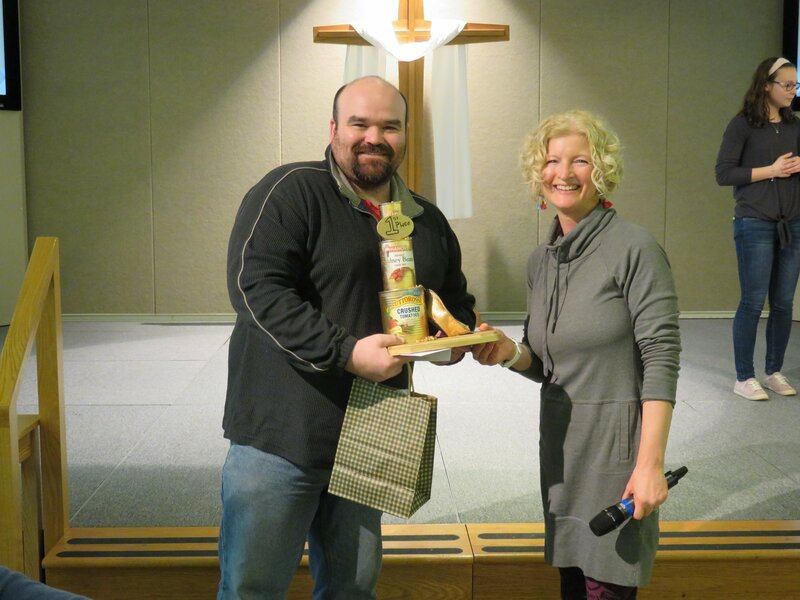 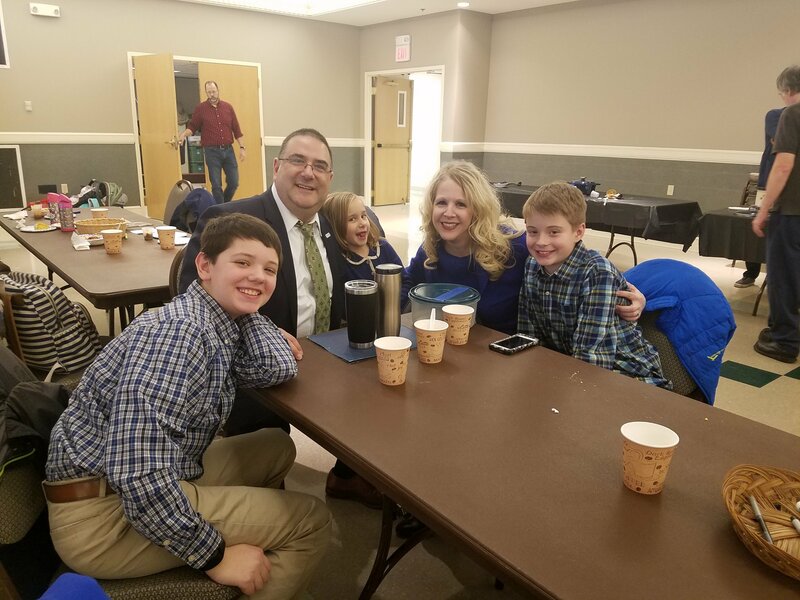 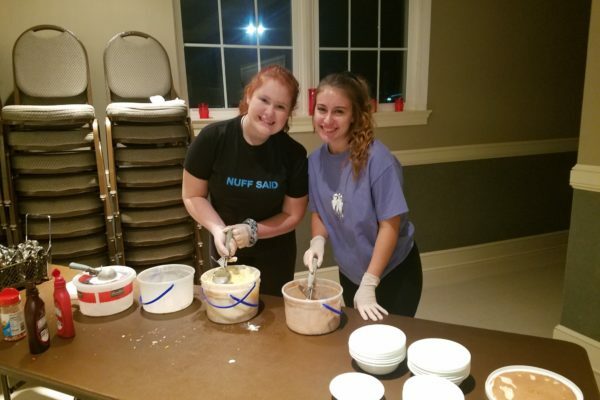 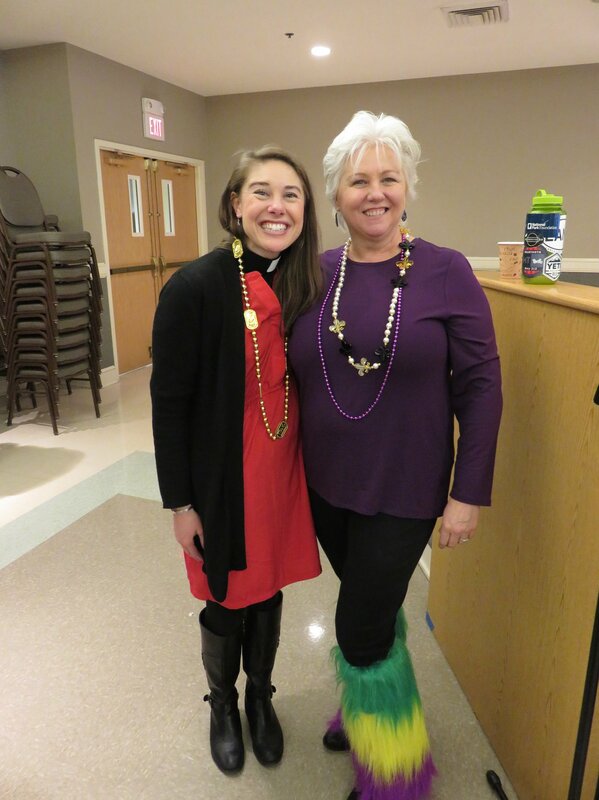 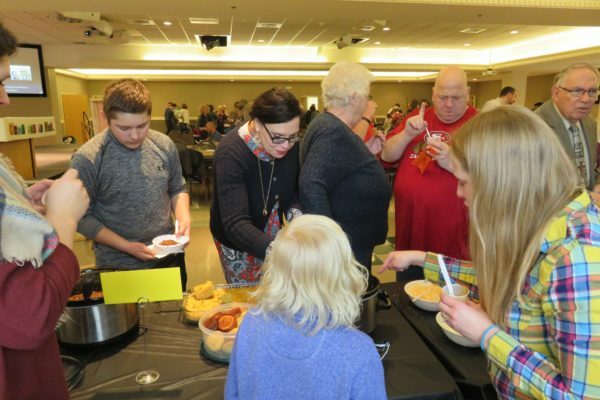 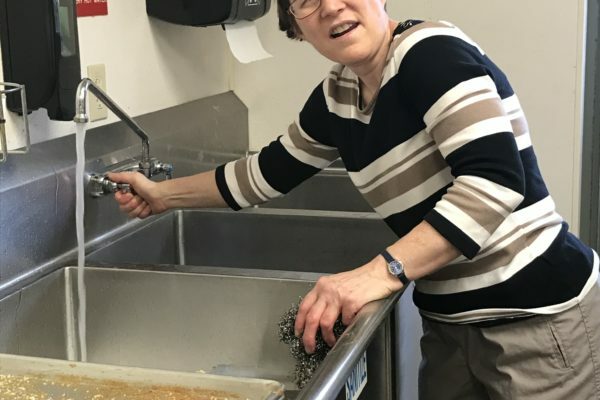 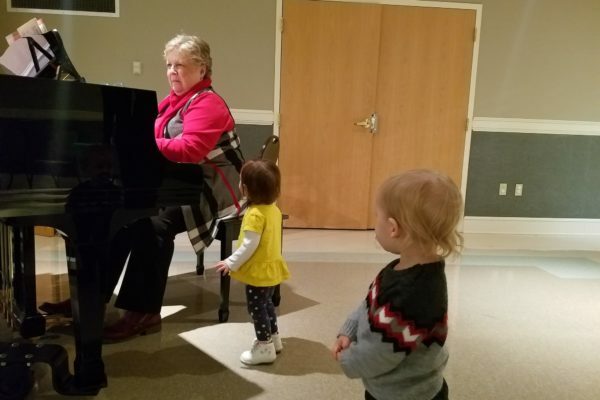 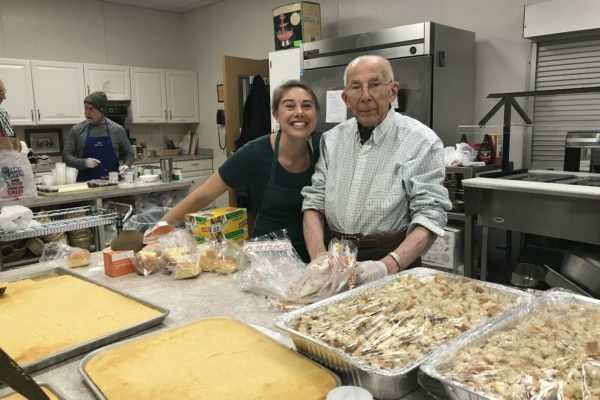 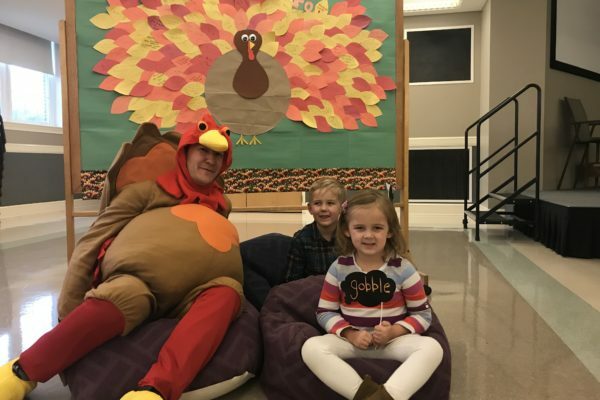 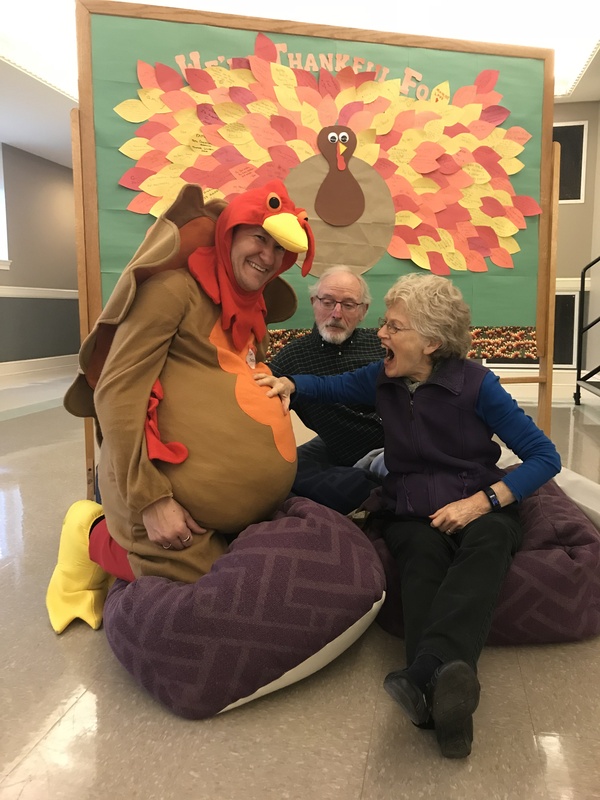 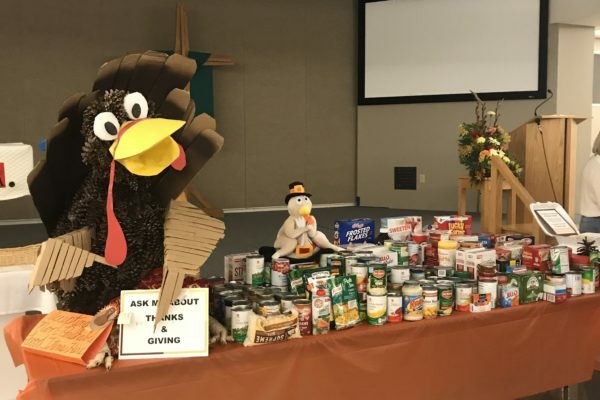 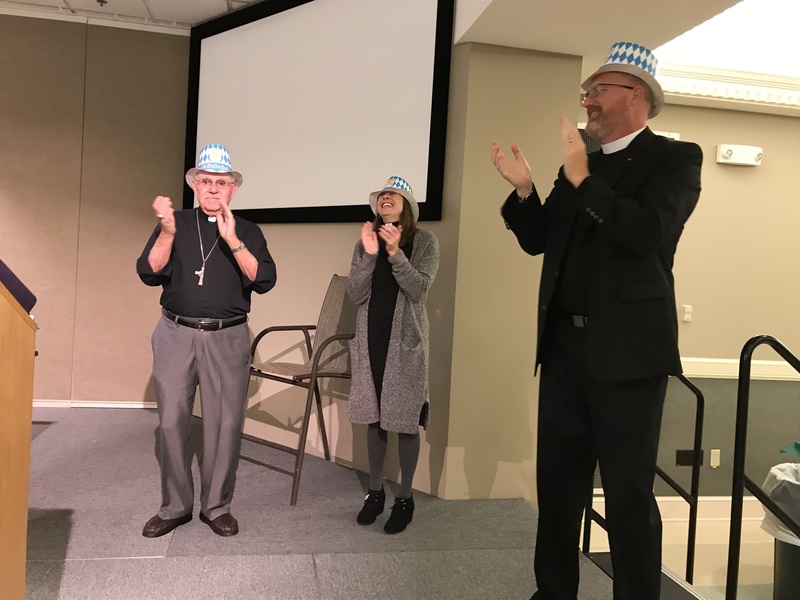 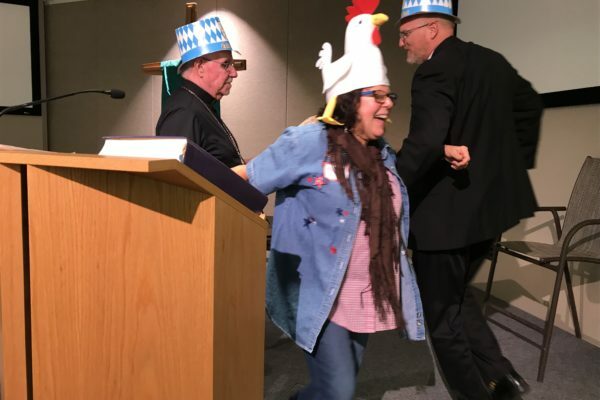 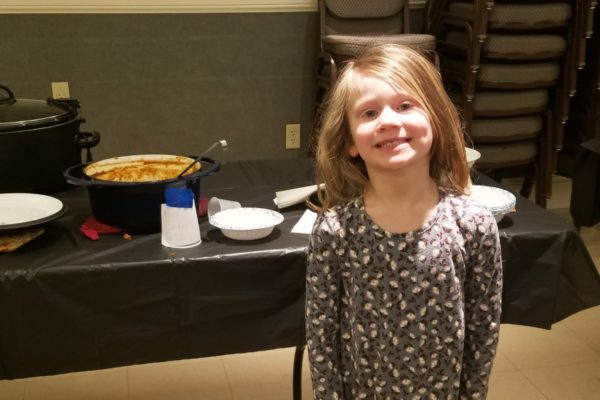 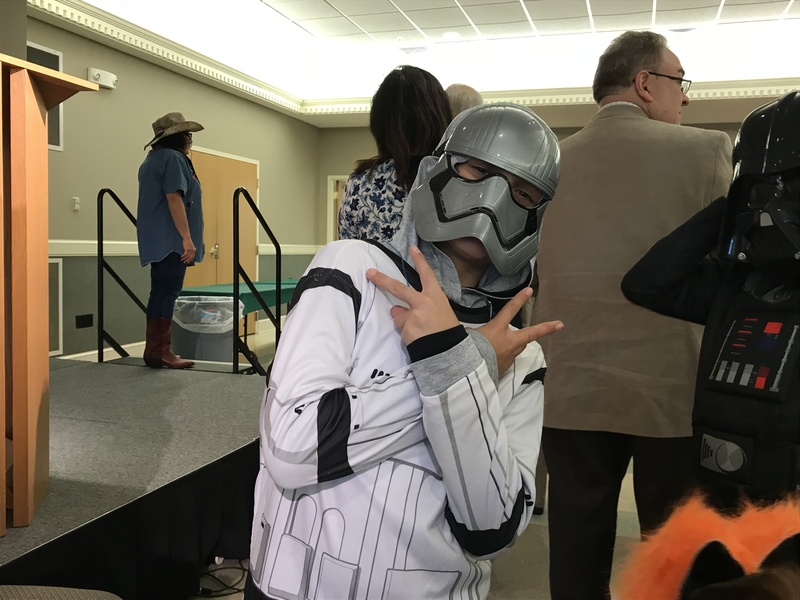 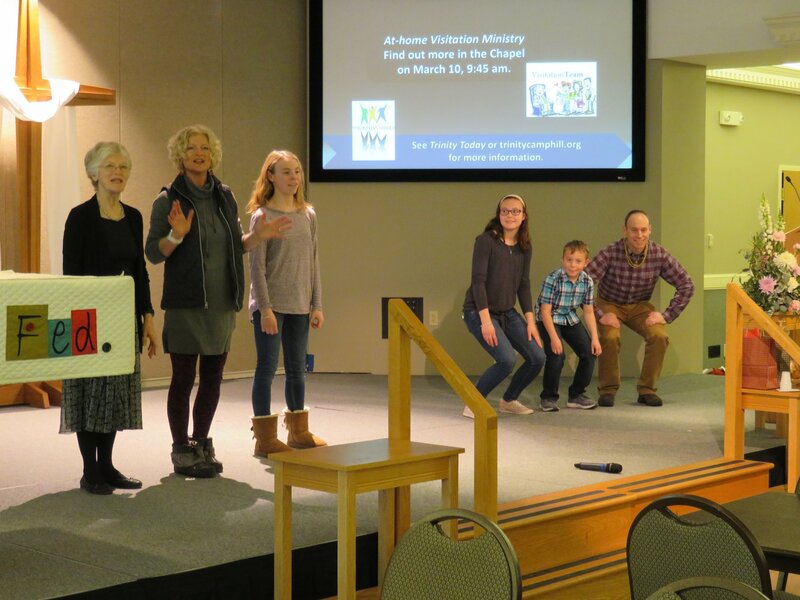 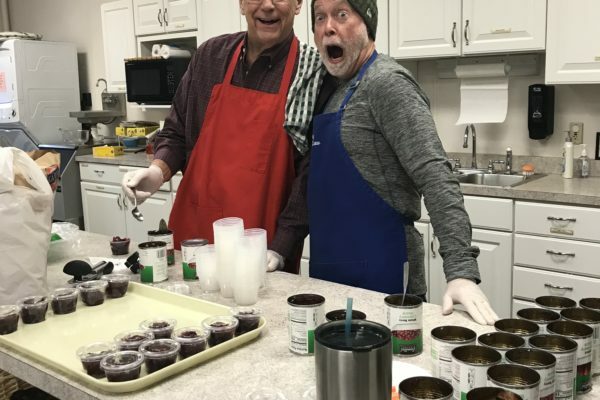 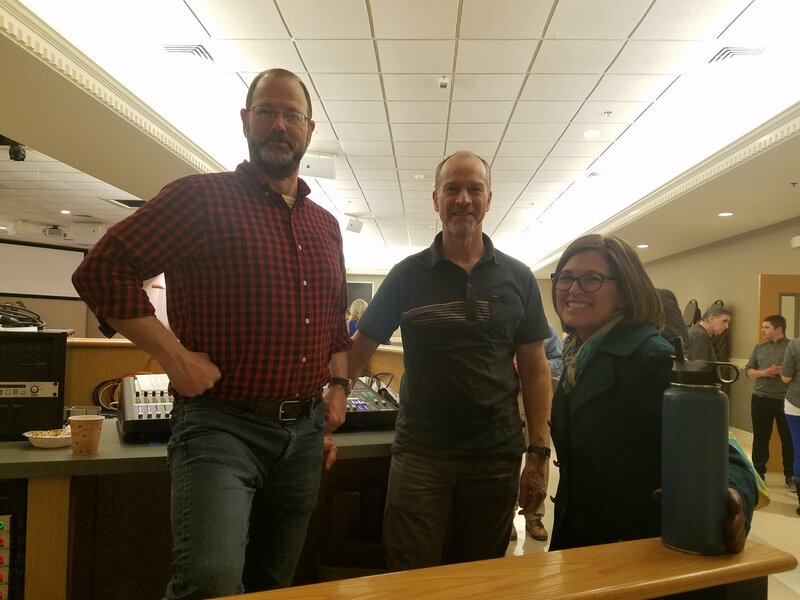 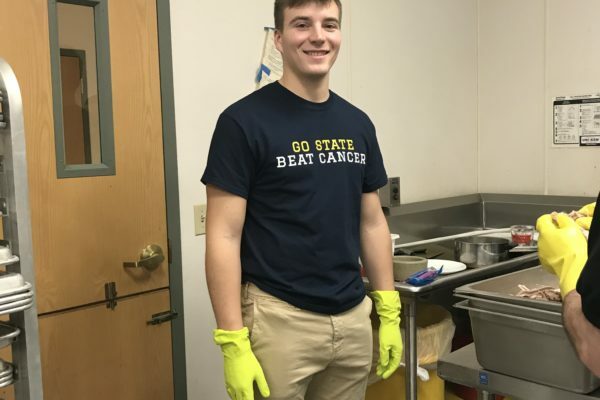 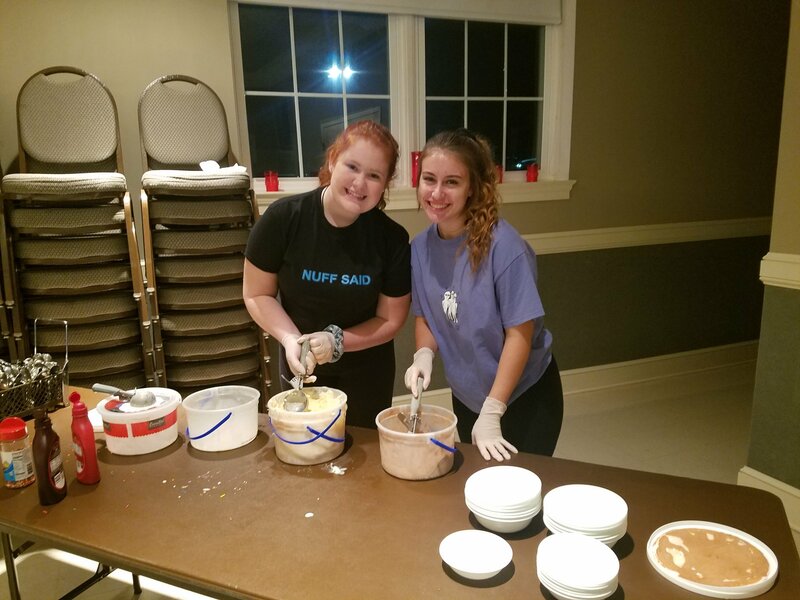 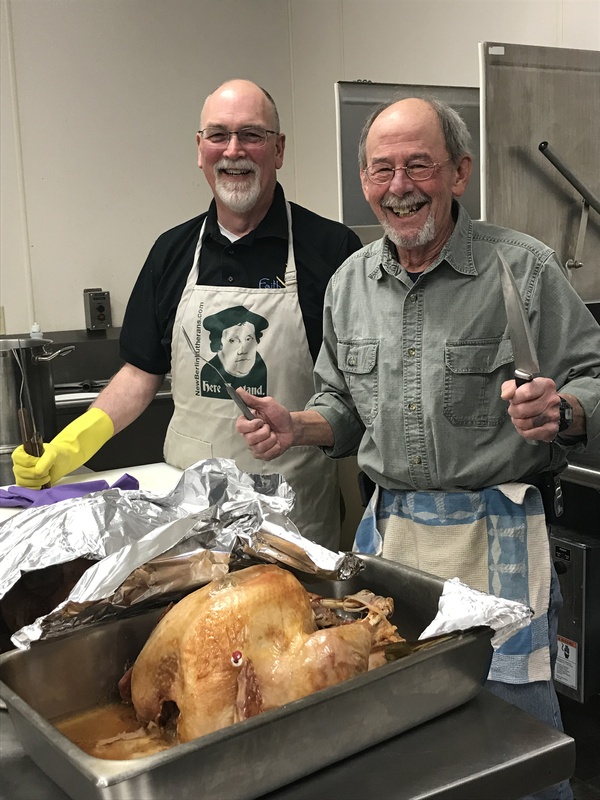 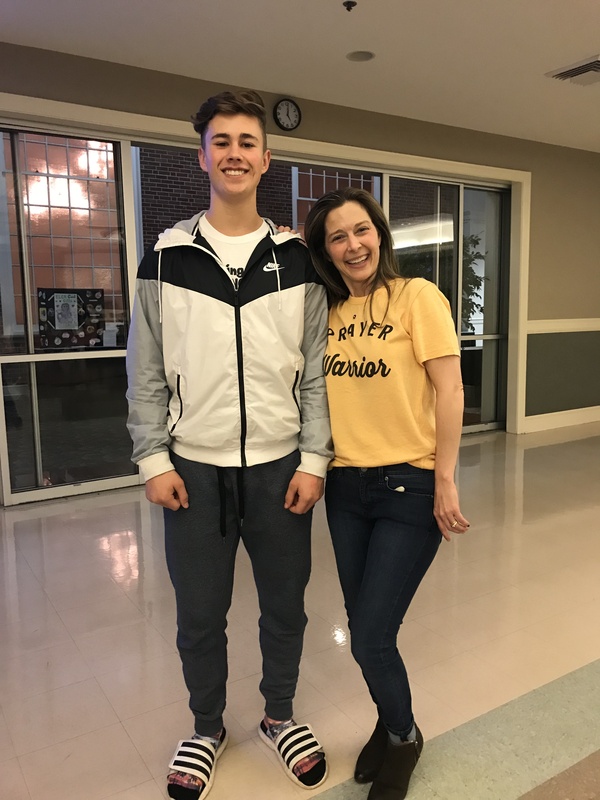 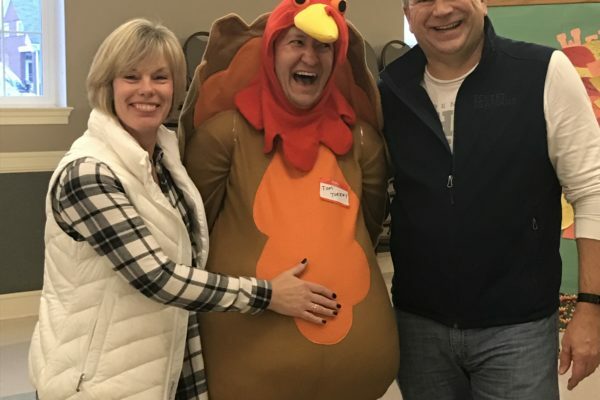 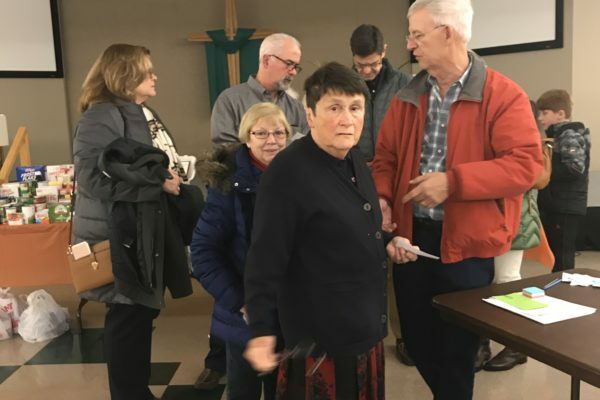 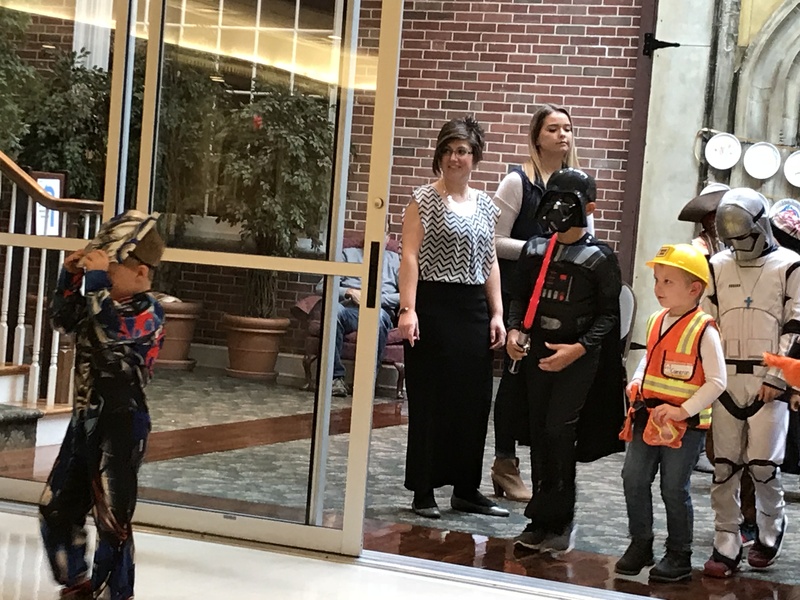 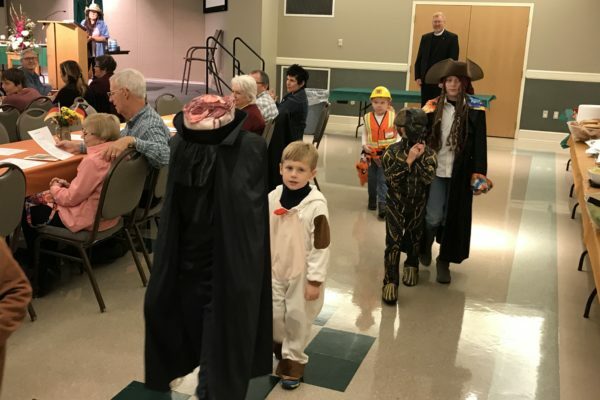 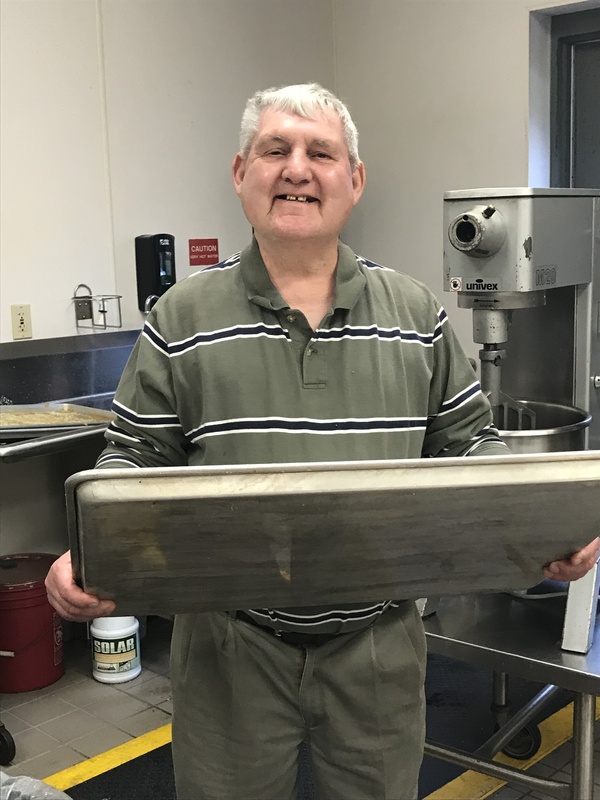 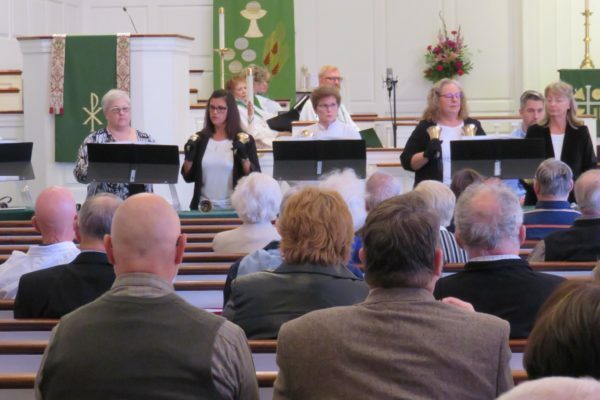 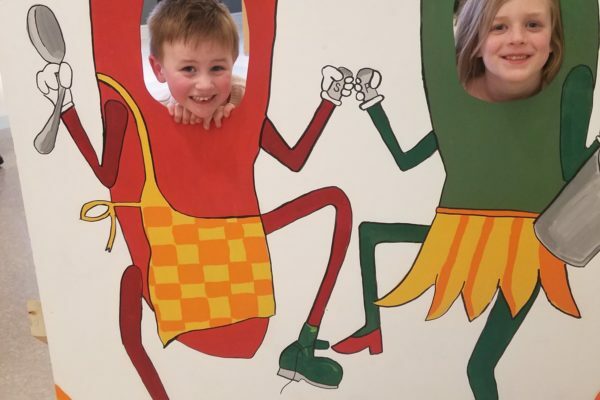 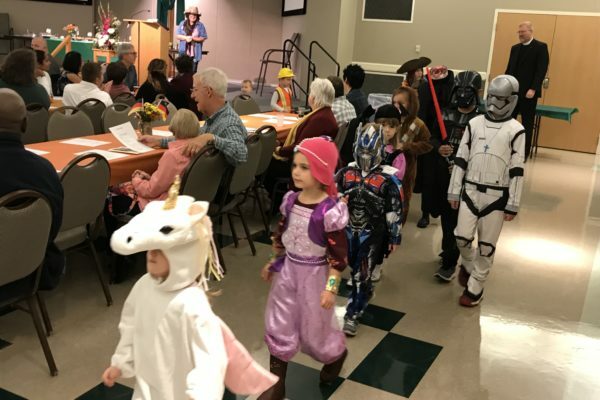 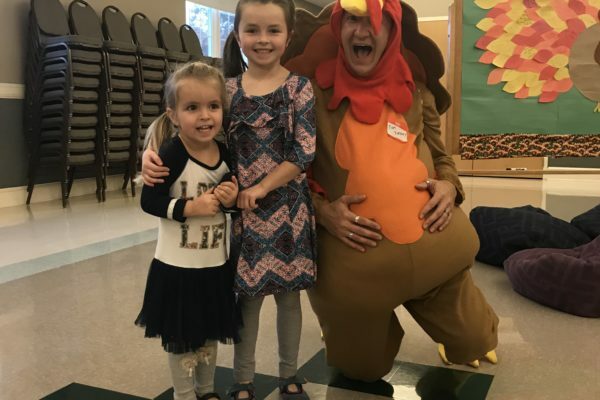 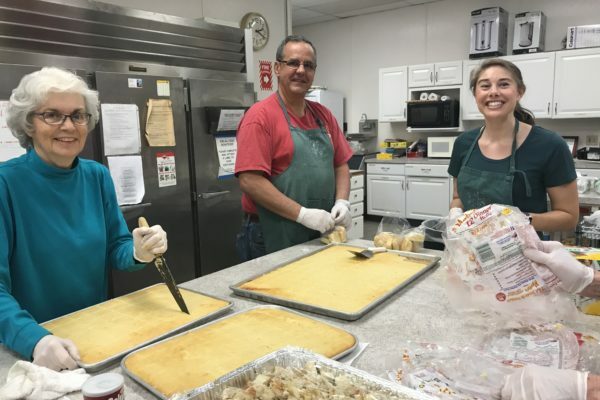 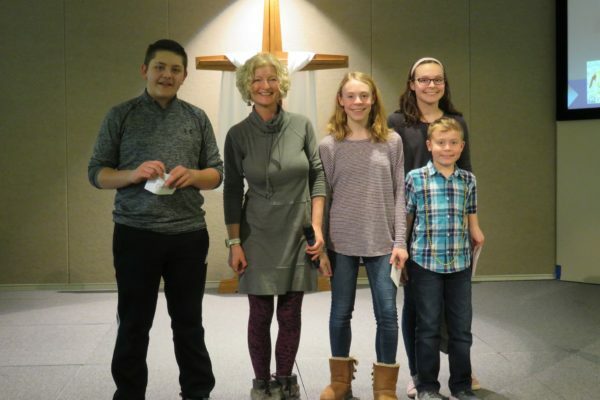 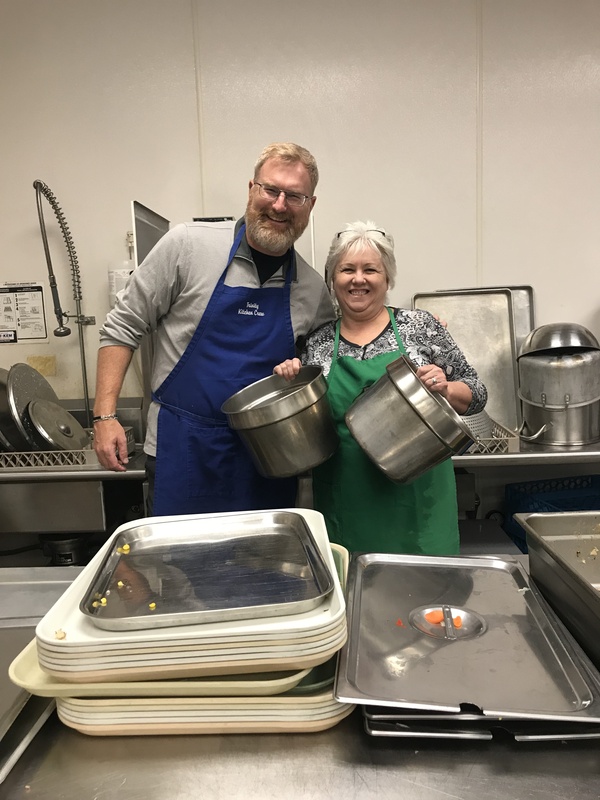 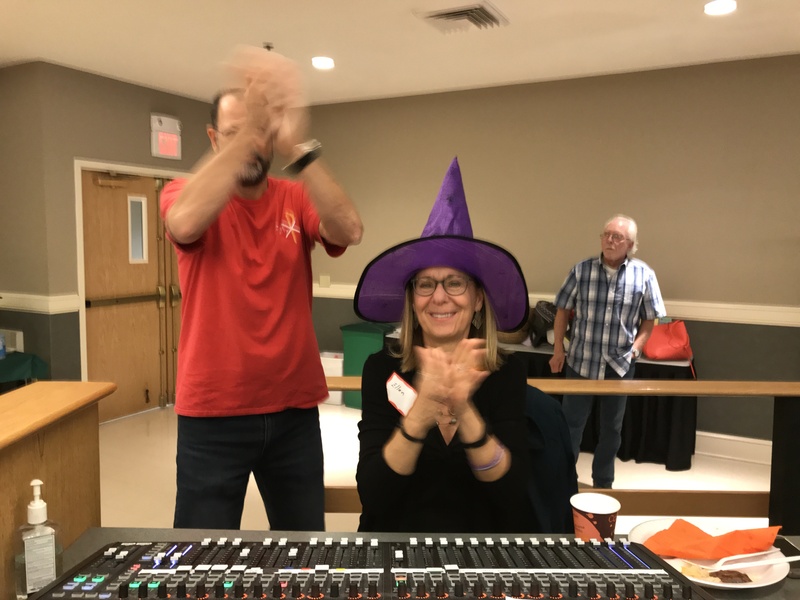 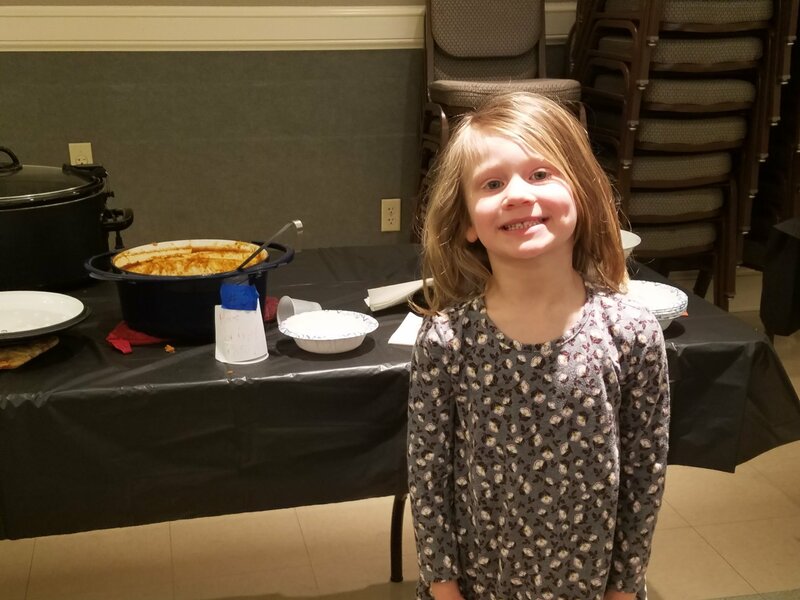 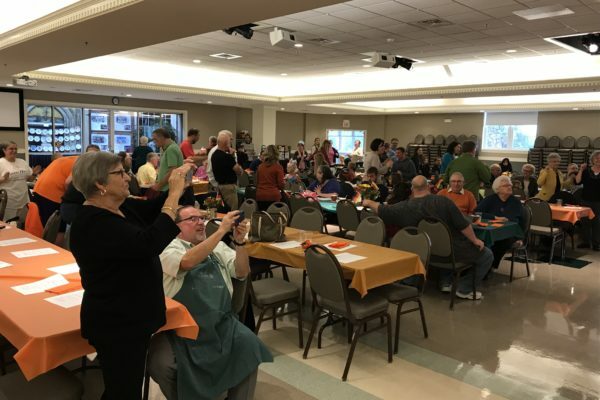 A great time – food (of course – we’re Lutherans), costume parade, apple pie contest (judged by our very unbiased pastors) and finally, the chicken dance. 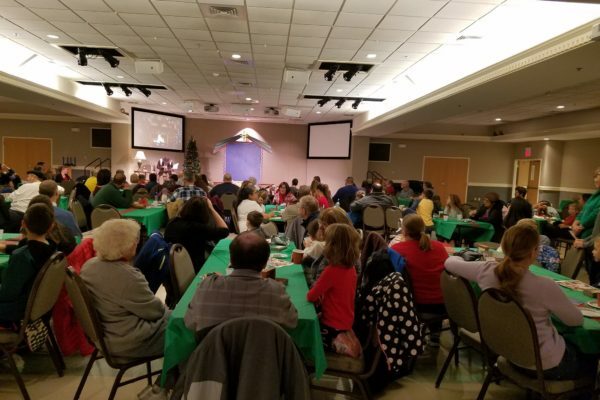 It was a blast enjoyed by all.